Having trouble finding the perfect gift for the special someone(s) in your life? Consider that problem solved with our Holiday Gift Guide! 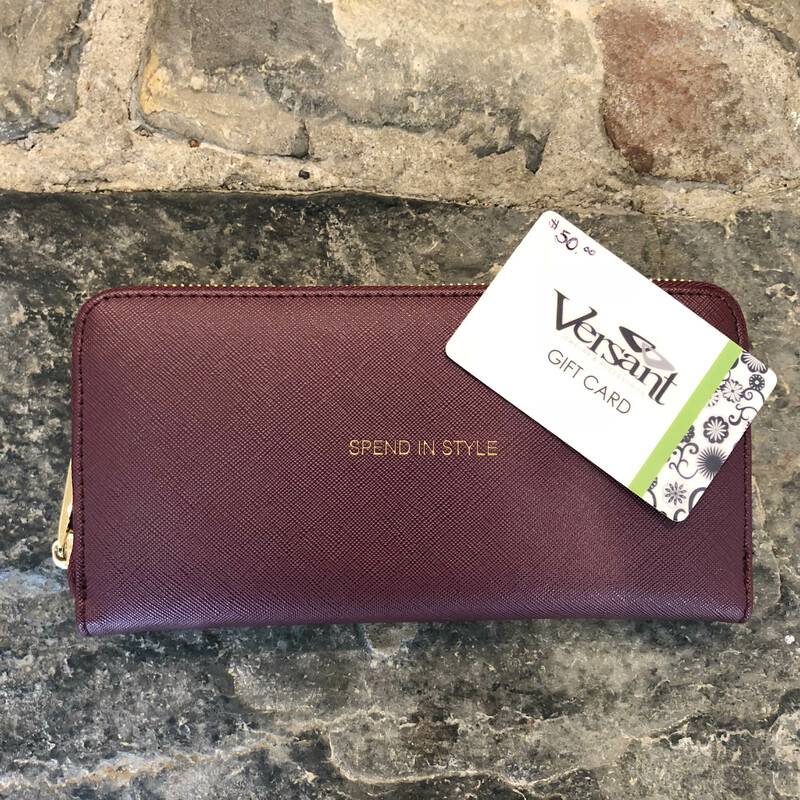 We have hand-selected gifts to match the many personalities we see come through Versant. 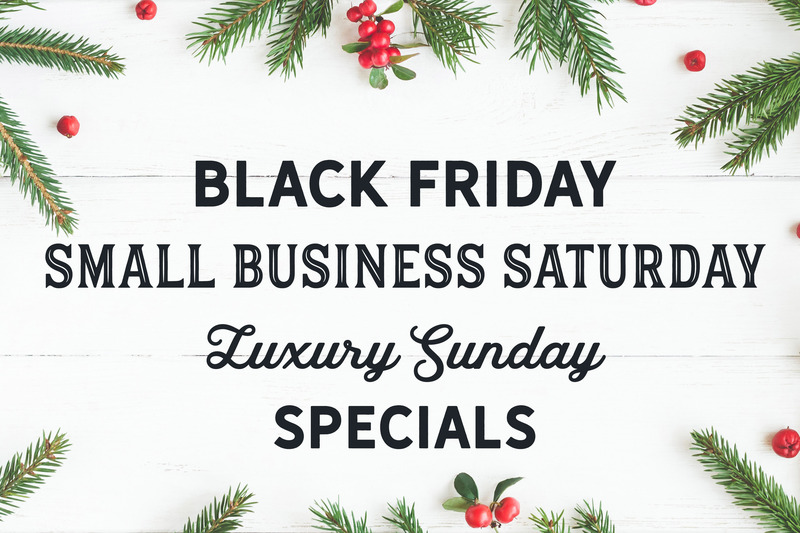 Check out our selections- jump to the personality you are looking for using the links below, or browse through all of our holiday picks! See something you like? Give us a call at 610-691-2270 to have something reserved to pick up in store or shipped to you. The classic beauty gravitates towards clean lines, tried-and-true styles, and simple silhouettes with a little bit of sparkle. 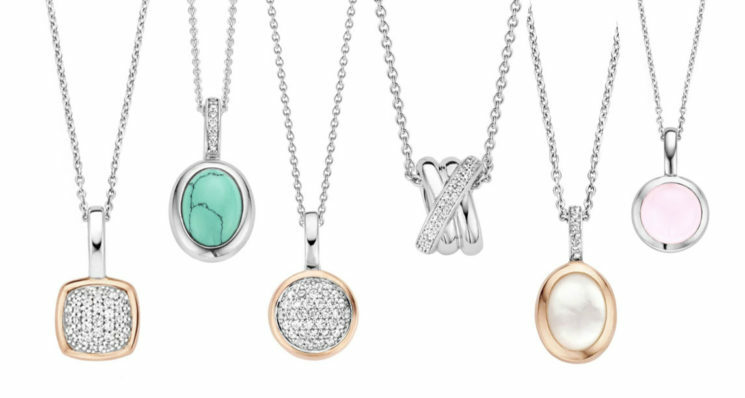 Trending towards smooth textures in silver or white gold, the classic girl likes pieces that will look good today and twenty years from now. 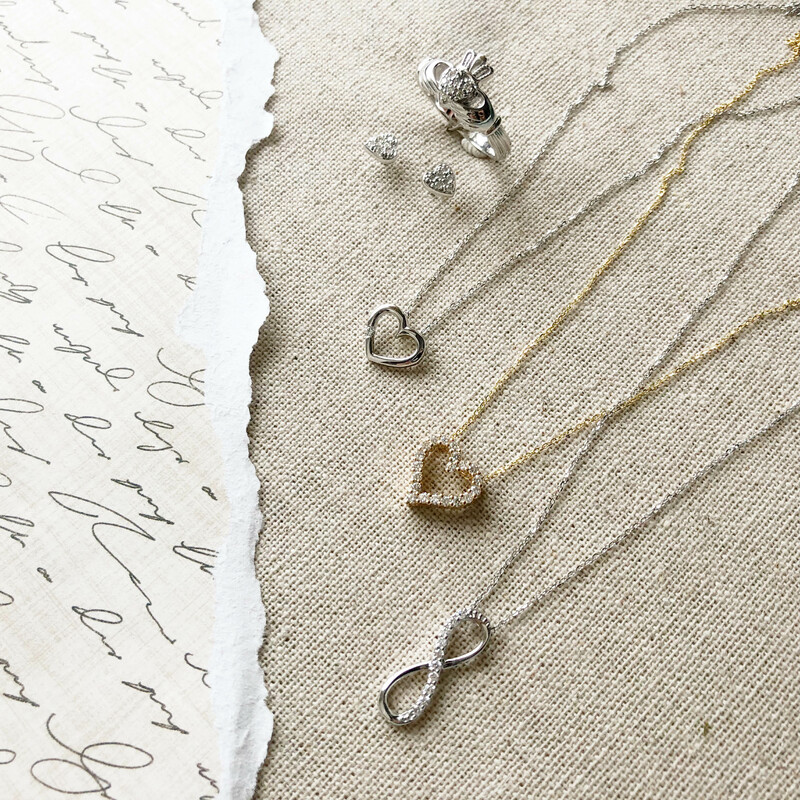 One of our favorite choices for the girl with a classic style is Ti Sento Milano jewelry. Made from solid sterling silver with a rhodium plated to maintain shine and prevent tarnishing, this beautiful jewelry line embodies elegance. Pavé stones, soft colors, and classic textures add something extra to make each piece really stand out. 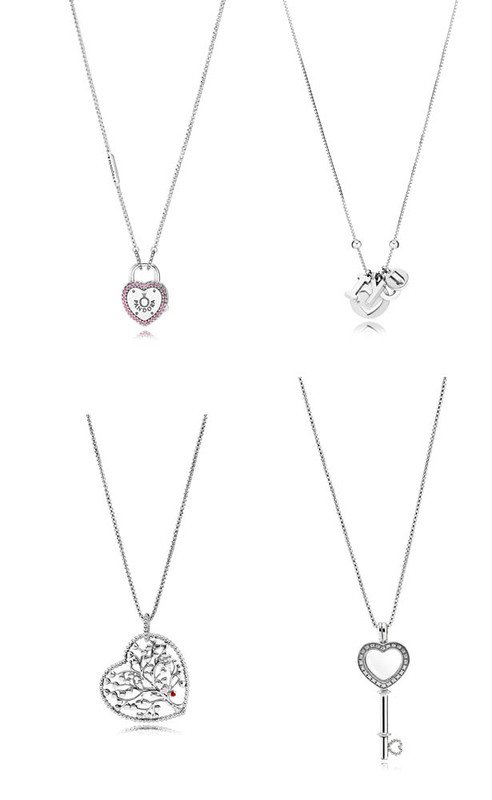 We particularly love these beautiful pendant necklaces. Providing a pop of color or sparkle on a small chain, they are a great quality gift at an affordable price. 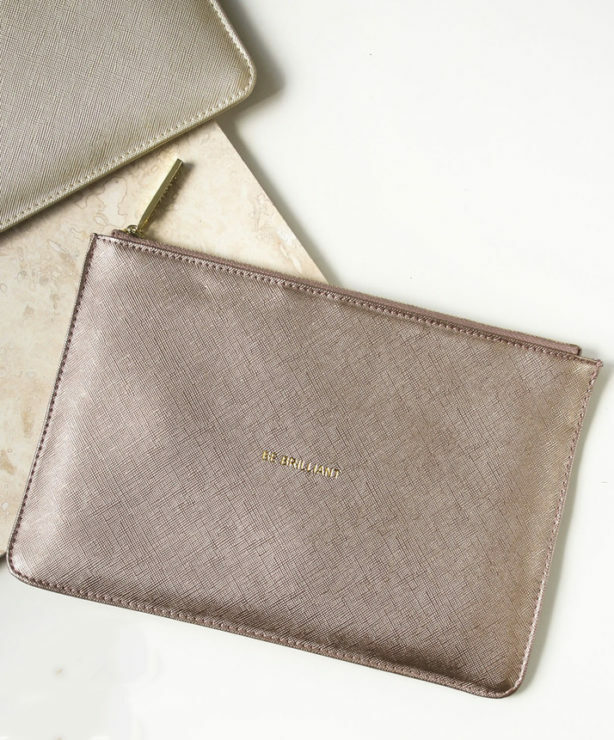 For the classic girl who prefers a handbag to a piece of jewelry, we love Katie Loxton’s vegan leather bags. 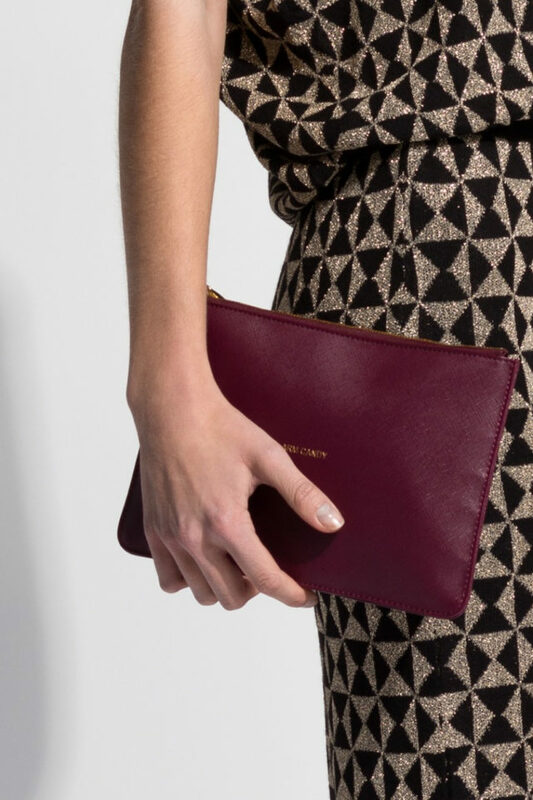 These handbags and clutches are made in modern colors with a classic, minimalist silhouette. 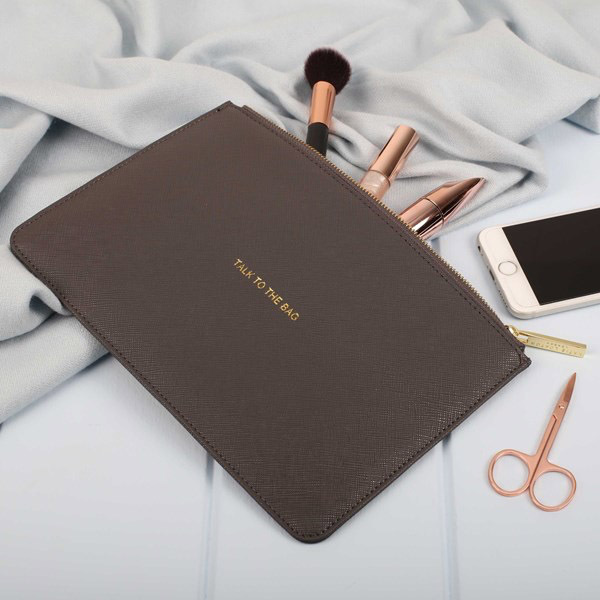 We love the witty pieces in Katie Loxton’s Perfect Pouch collection. 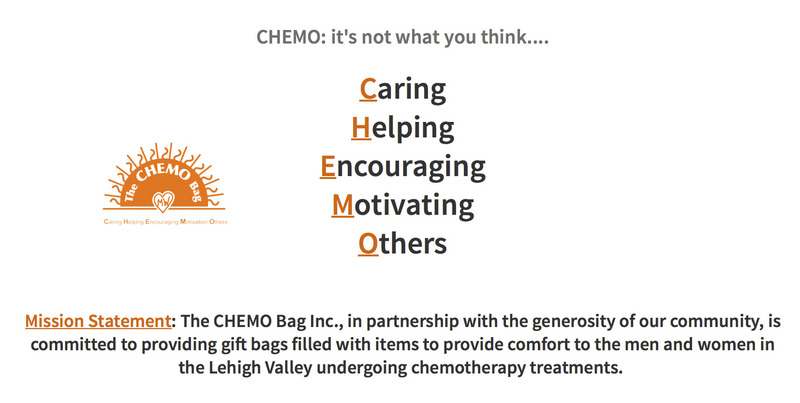 Available in a wide range of beautiful colors, each pouch has a fun phrase to reflect an outgoing personality. The clutches are great for storing your glam essentials or taking out as a purse for a night on the town! 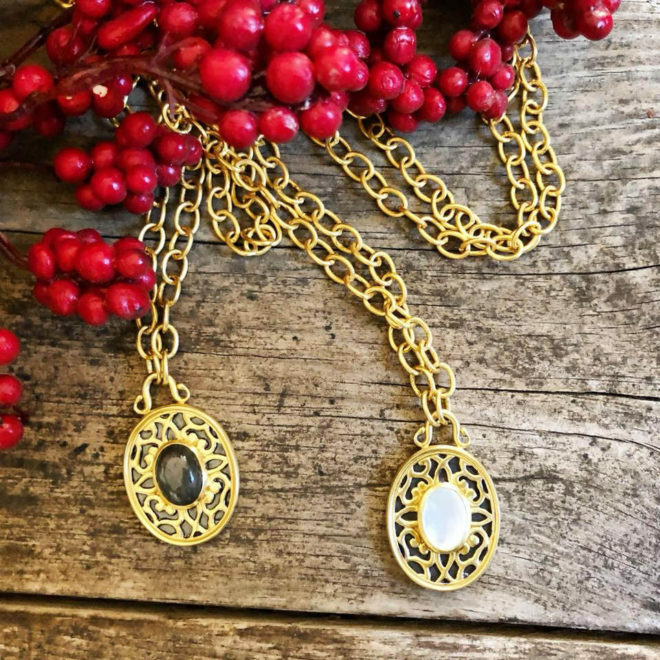 Another great gift for the classic girl is Gabriel & Company’s fashion jewelry. 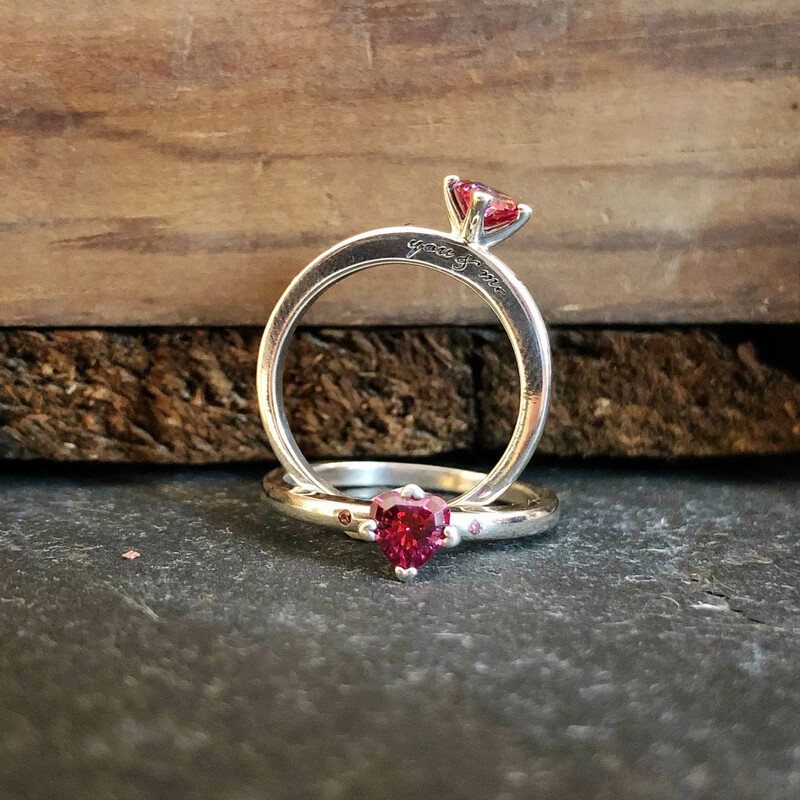 Made by the purveyors of fine and bridal jewelry, the fashion line is made from sterling silver and gemstones. Gabriel updates classic shapes and styles with unique textures and stones to make pieces that really stand out in a crowd. 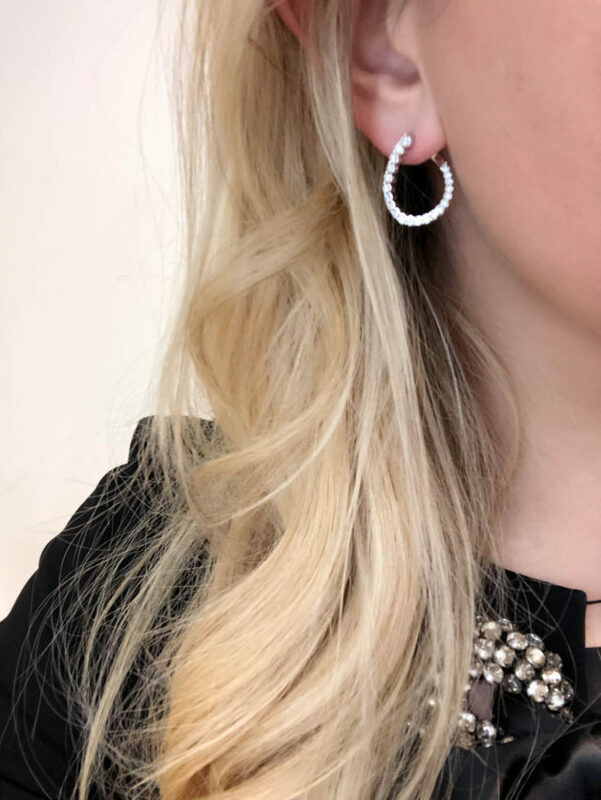 Unlike many fashion jewelry lines that use cubic zirconia for added sparkle, Gabriel & Co uses natural stones, such as white topaz or diamonds. Shopping for someone that likes to be on ahead of the pack when it comes to new styles? Check out selections in mixed metals or gold (yes it is back!) in innovative shapes and designs. 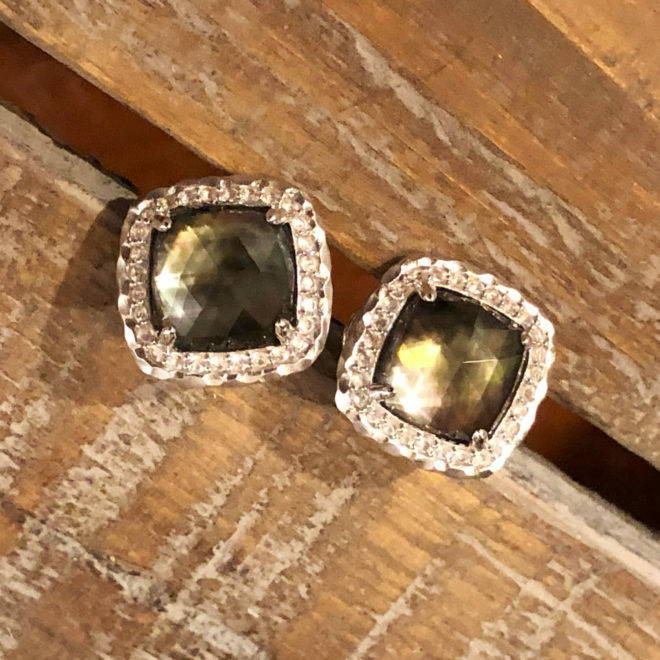 Freida Rothman jewelry is perfect for someone who has a more metropolitan style- it has a splash of sparkle set against dark oxidized silver with gold accents. 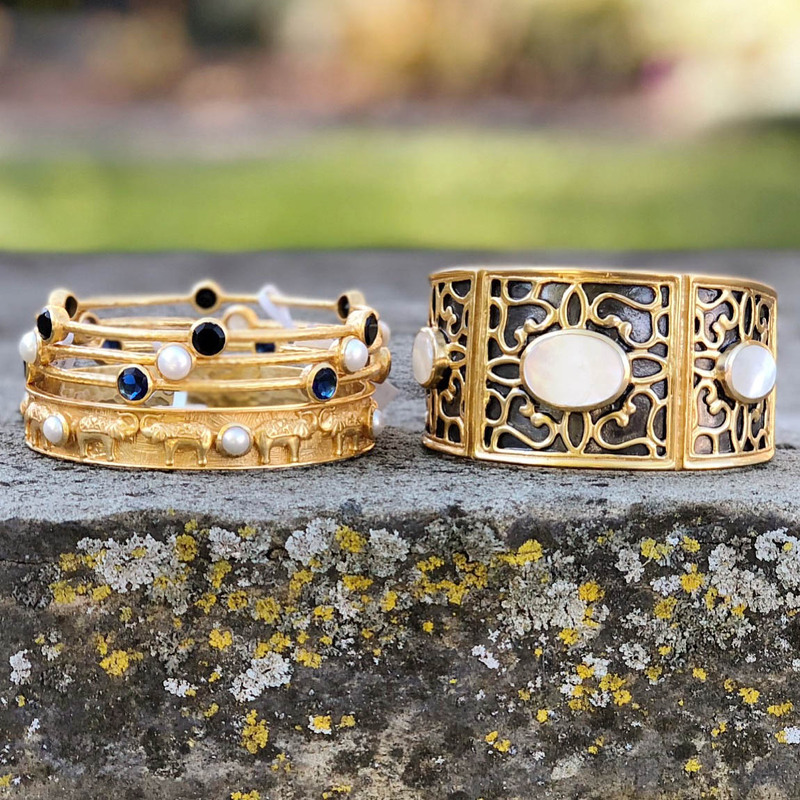 Statement bangles and cuffs are some of our favorite pieces made by Freida Rothman. 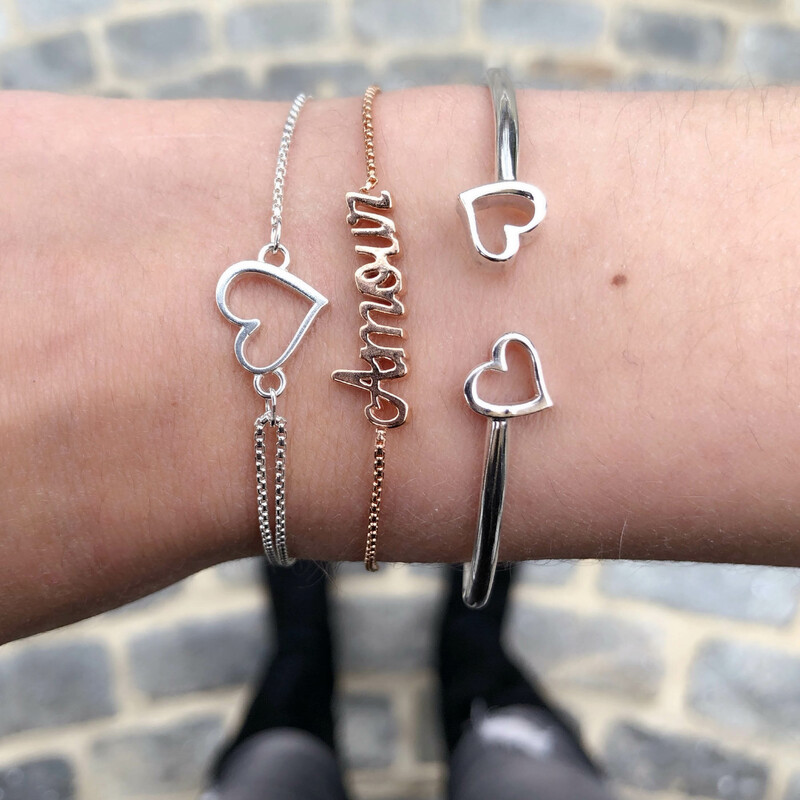 Available in two tone or silver, they are a gorgeous piece for someone looking for a splurge-worthy gift. 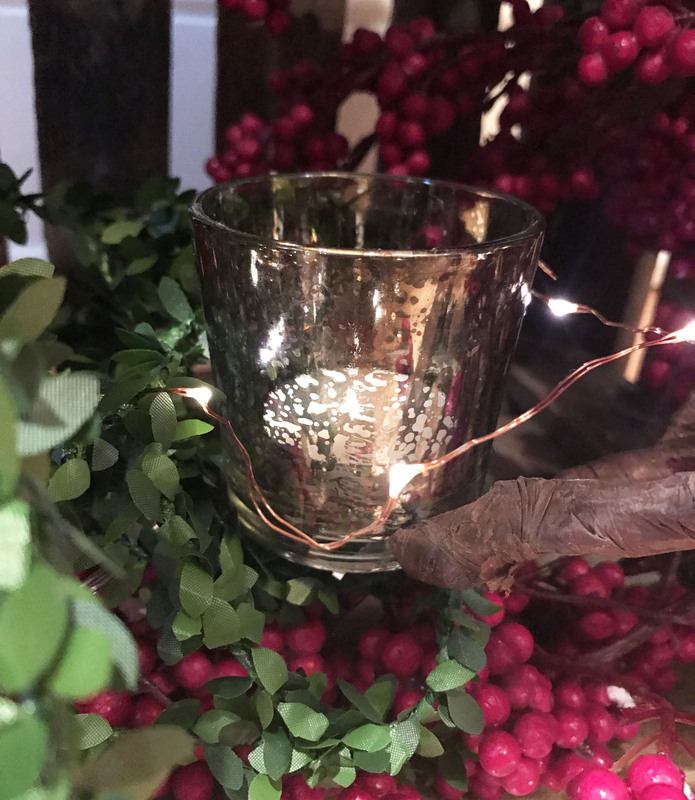 For the girl who prefers silver, Freida Rothman’s Industrial Finish collection gives a metropolitan edge using silver tones. This collection mixes sparkling stones, matte silver, and oxidized silver for a dramatic finish. 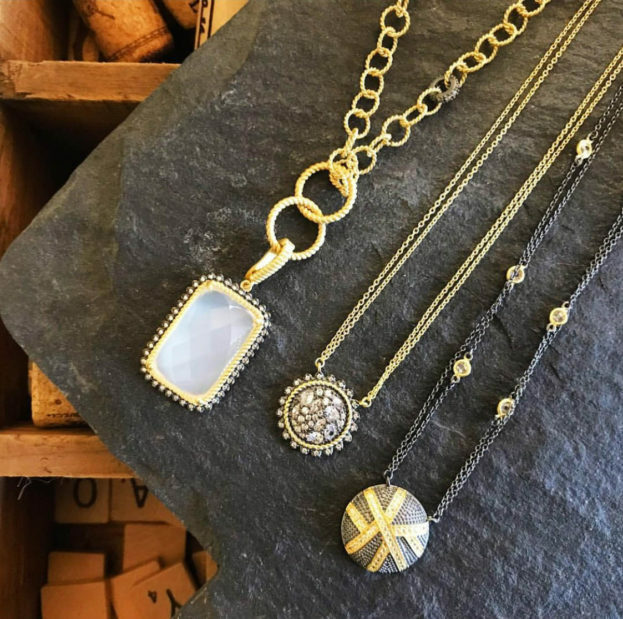 Julie Vos jewelry is another great choice for the trendsetter who is ready to delve into the wonderful world of gold jewelry. 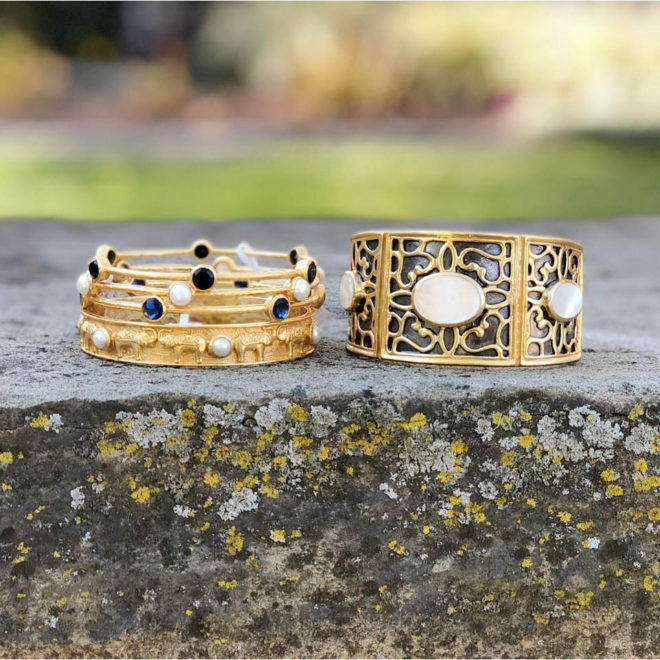 Constructed from 24K gold over brass, these amazing (and affordable!) styles are a centerpiece of the fashion blogger world. 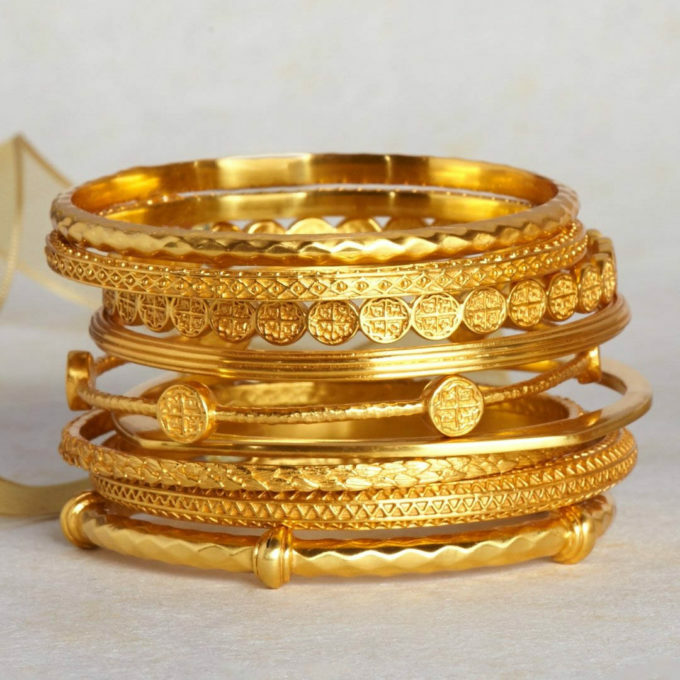 We love her beautiful stacking bangles. 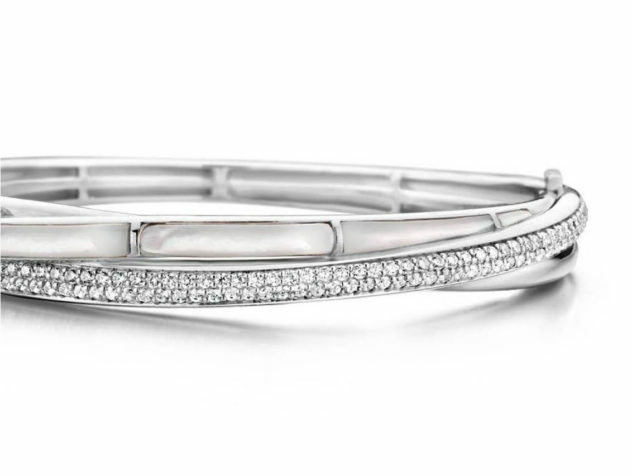 One of our favorite designs is the Milano 6-Stone bangle. They look amazing stacked together and come in a wide variety of natural stones, providing a lot of color options. We also love the new Caspian Cuff for a dramatic statement piece. 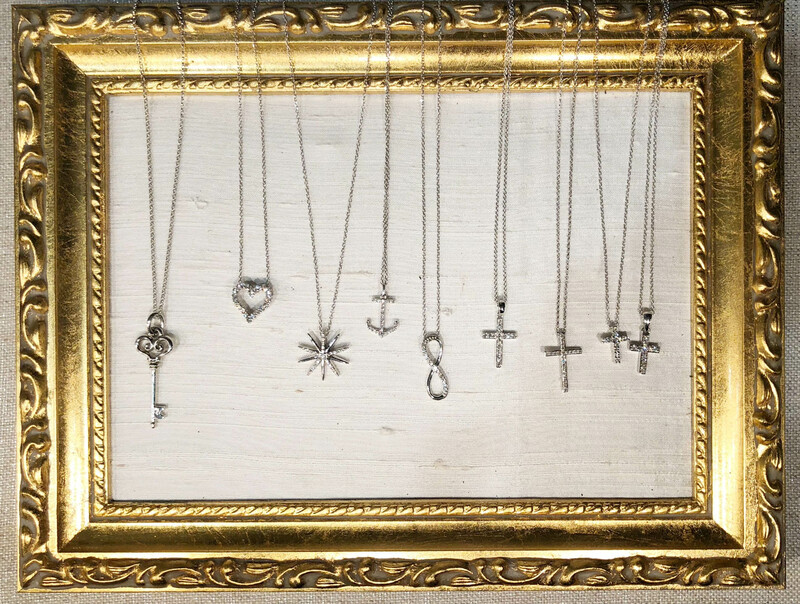 We also love Julie Vos’ long, layering necklaces. The new Caspian necklace in gold with oxidized silver accents is one of our favorites from the fall collection. The Coin Pendant necklace, which can be worn long or doubled into a shorter layered necklace, has been a favorite on the fashion blogs. Does your style trendsetter prefer a one-of-a-kind piece that no-one else is likely to have? Our Bora jewelry is a great choice for her! 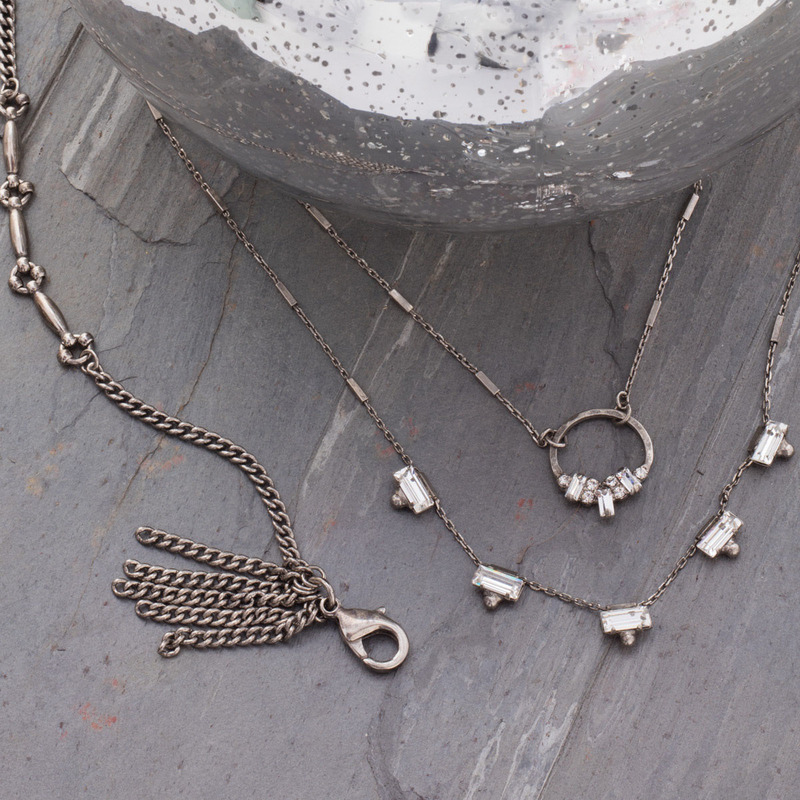 Handmade by a New York City based Turkish designer, Bora pieces have a Byzantine influence with a modern style. 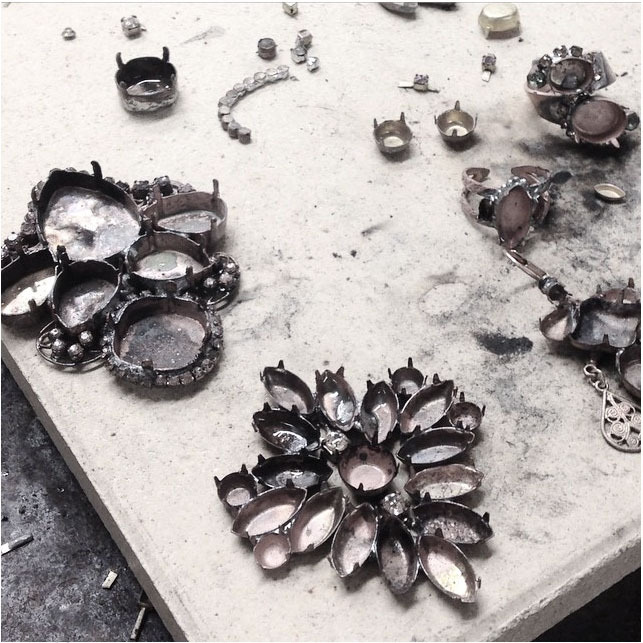 We love the natural textures incorporated into each piece. Searching for a gift for someone who prefers something symbolic of the important moments in their life over the standard glitz and glamor? 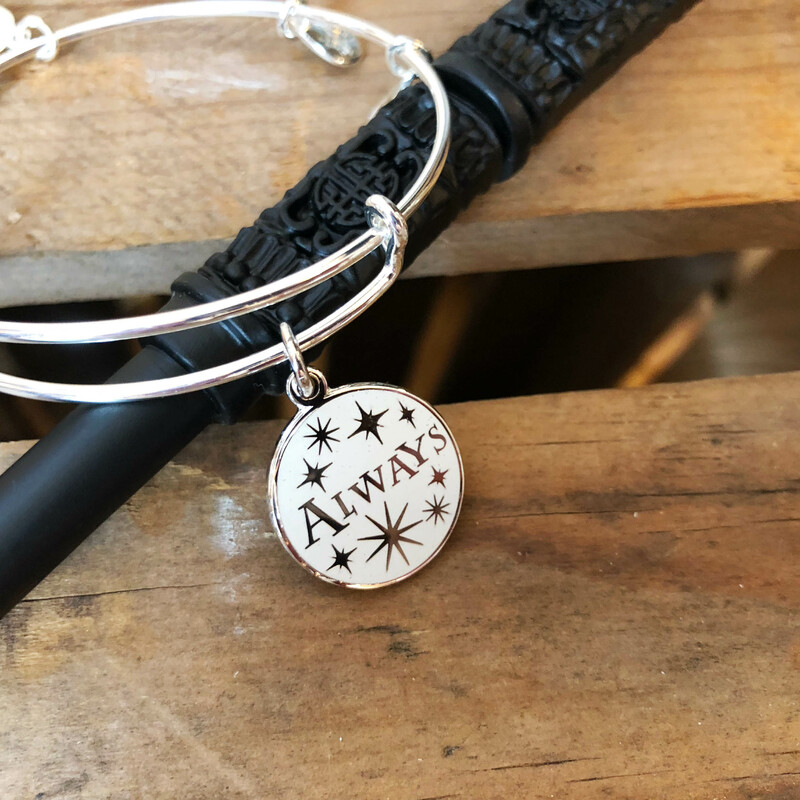 Look to one of the many customizable jewelry lines that allow you to tailor your gift to both suit her tastes and represent the events and people that have touched her life. 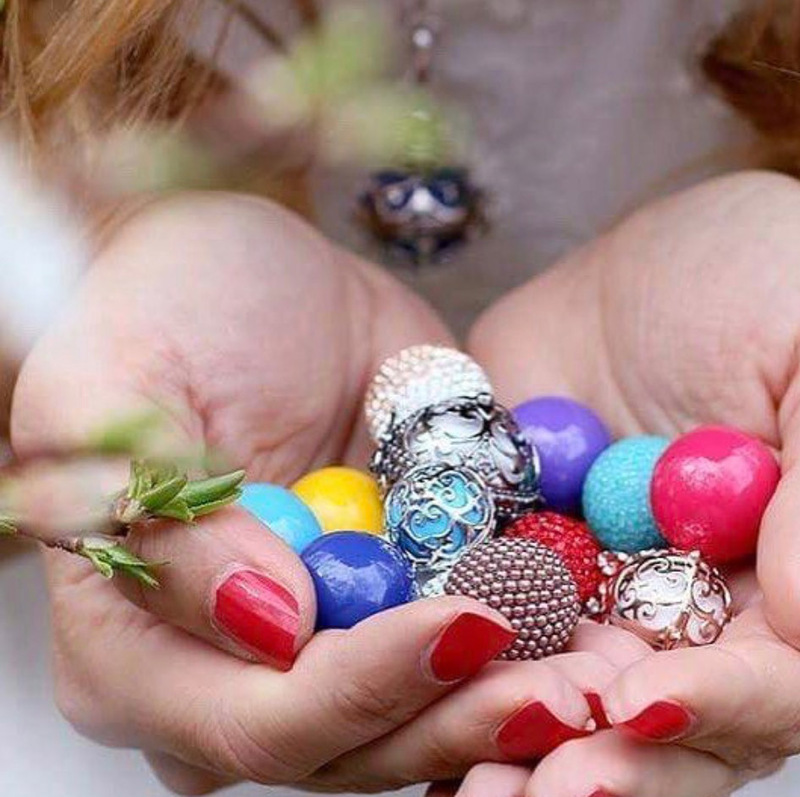 There has been a big movement in recent times to make jewelry more personal with great benefits for gift givers. 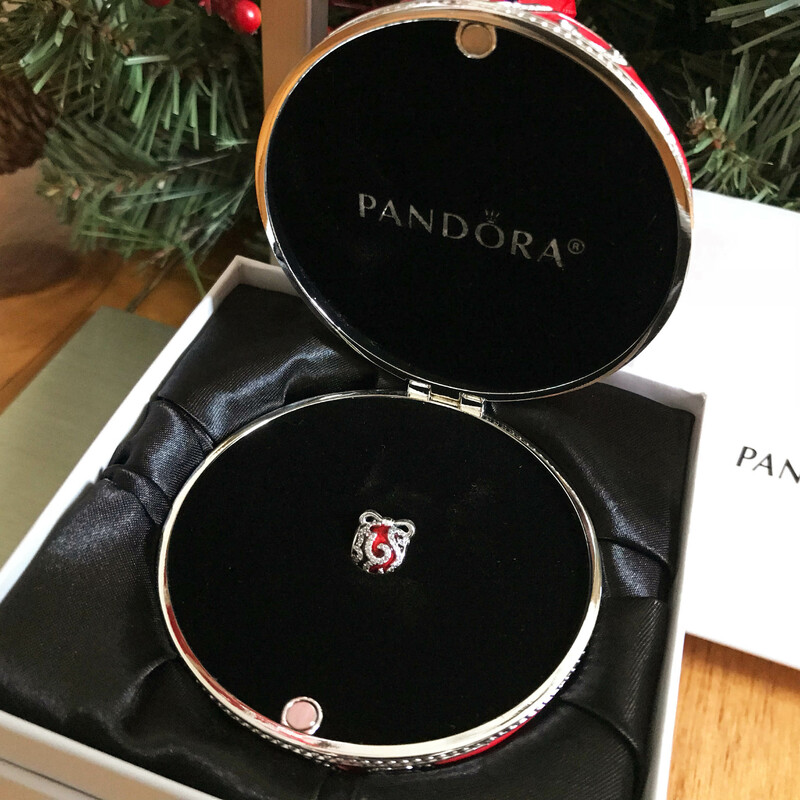 It is hard to go wrong when you know that the present you have wrapped under the tree represents something special to her! 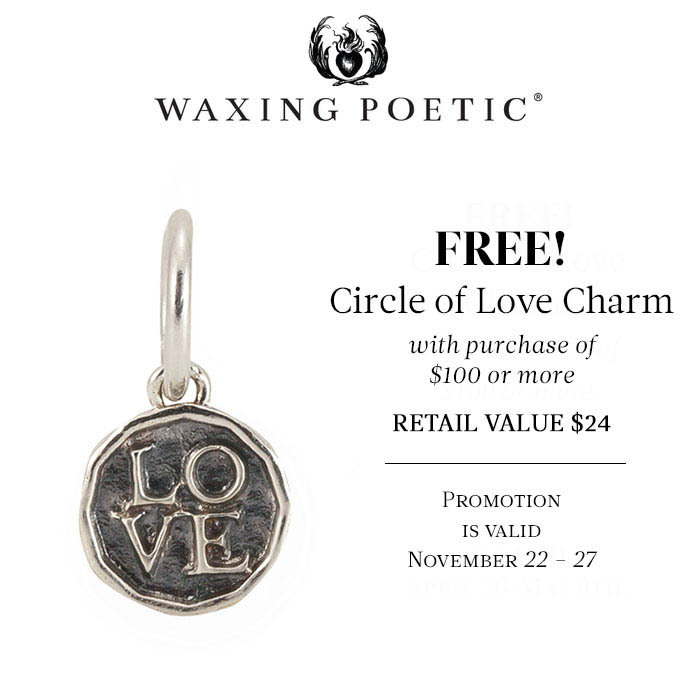 One of our favorite charm lines is Waxing Poetic. 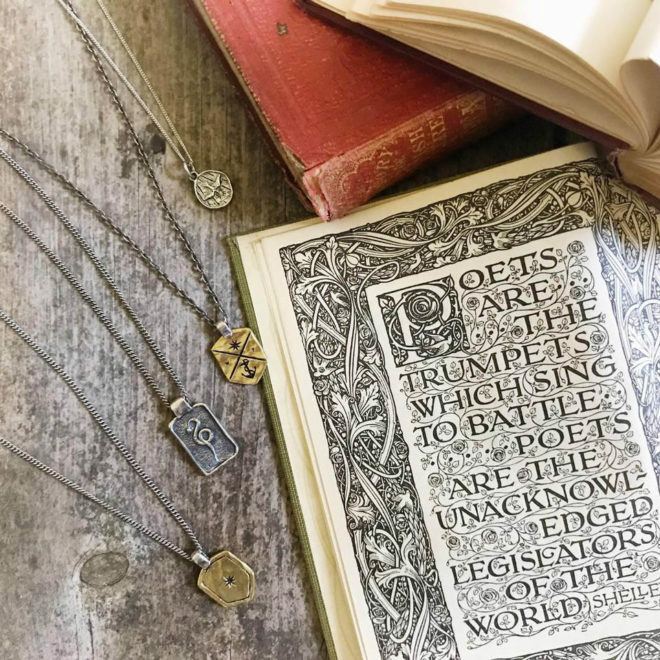 Waxing Poetic was originally inspired by the vintage look and poetic history of wax seals and is made from brass and sterling silver for a beautiful mixed metal look. Their mission statement is to celebrate the potential for transformation in all of us. 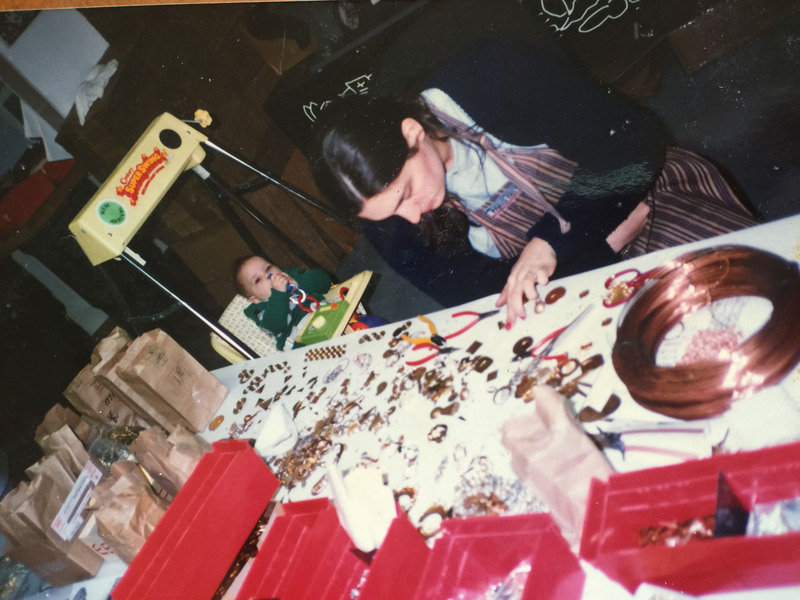 The jewelry they create pays homage to the journey of our lives: where we come from, what our stories are, and how they have influenced both the world and us. 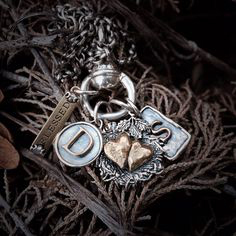 From symbols such as the tree of life, moon, and anchor to more direct representations of family members, such as initials or birthstones, each charm is meant to have its own story. 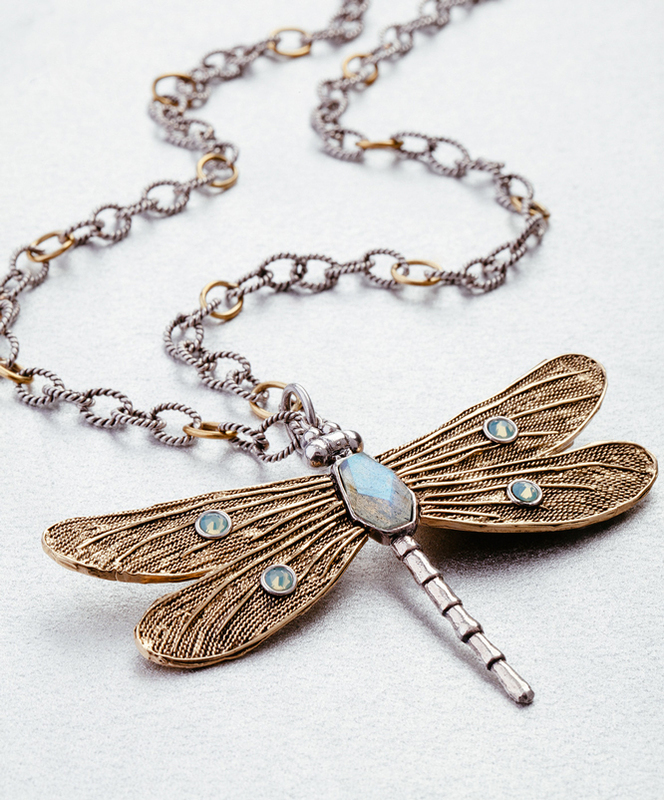 The Transformative Dragonfly pendant is a gorgeous statement piece. This large charm is set with labradorite for a natural iridescence. 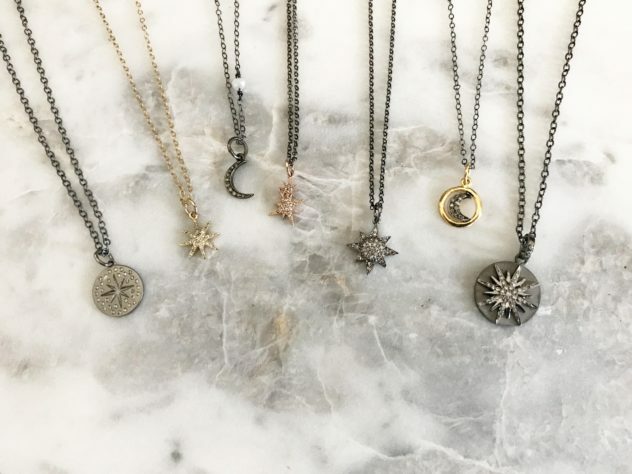 Even better- their charms can be worn in a variety of ways- hanging on a simple chain, stacked on brass or sterling bangles, or grouped together on one of their charm holders or beautiful beaded ensemble necklaces. Many of the Waxing Poetic charms have a message engraved in the back making them reversible and giving them an extra layer of sentiment. 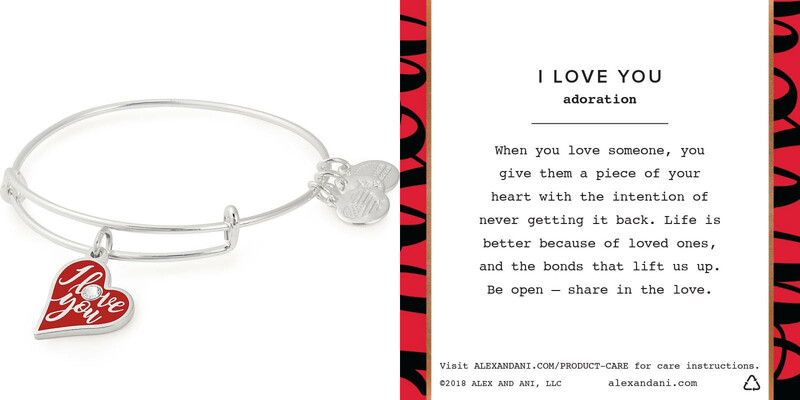 Another great option for someone who appreciates a gift that has a deeper meaning is Alex and Ani jewelry. 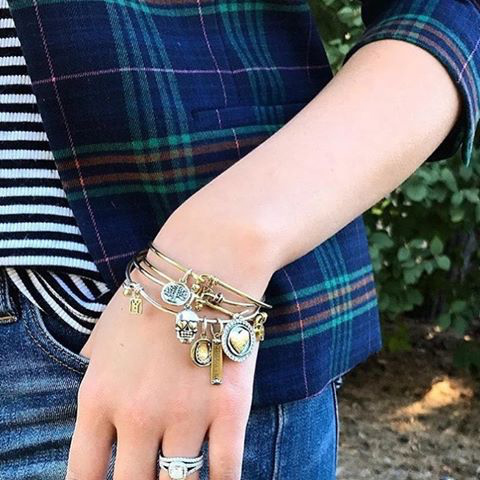 Alex and Ani creates meaningful, eco-conscious jewelry and accessories that adorn the body, enlighten the mind, and empower the spirit. 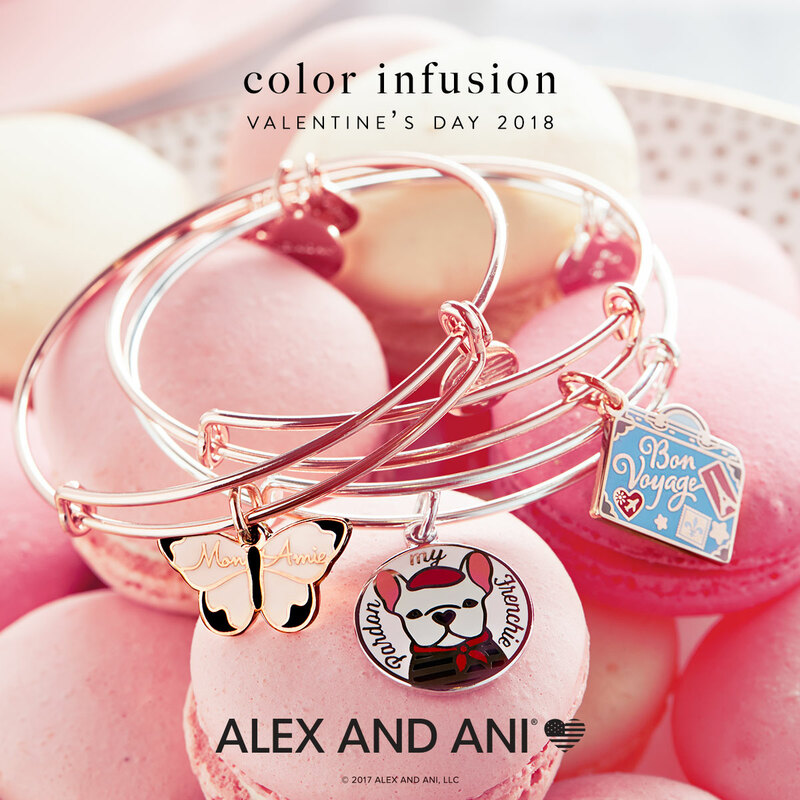 Alex and Ani’s collections reflect a design aesthetic that celebrates each wearer’s unique essence and their artistry lies in drawing out the beauty that resides within. 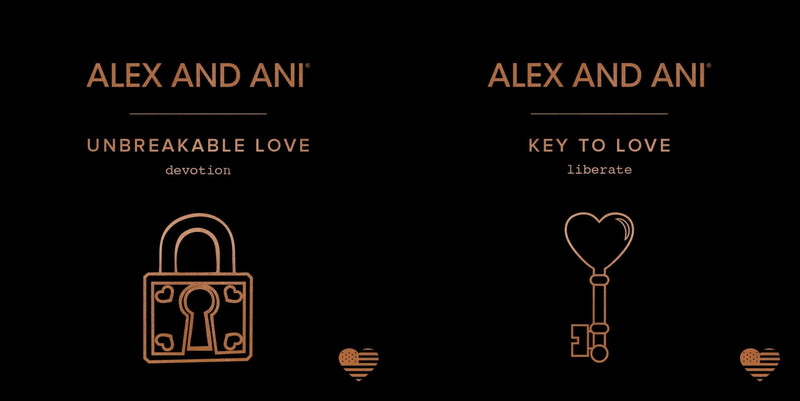 Each Alex and Ani bangle or charm comes with a meaning card describing the meaning behind the symbol and providing three key empowering words that the symbol represents. 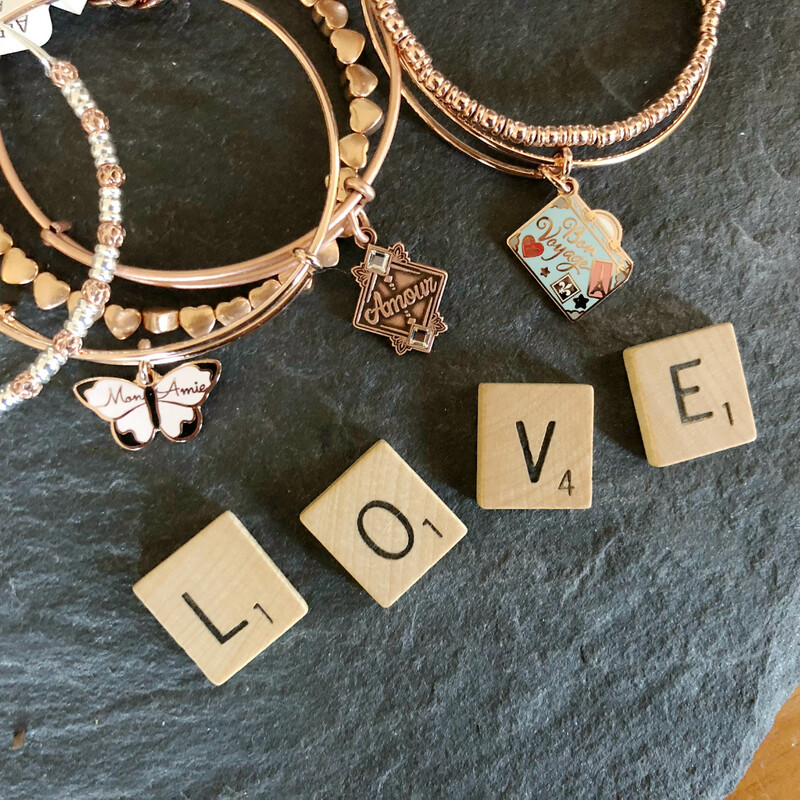 From symbols directly representing aspects of a person, such as birthstones and initials, to more figurative symbols such as hope, strength, and healing, you are sure to find a personal and meaningful gift within the multitude of charms available. 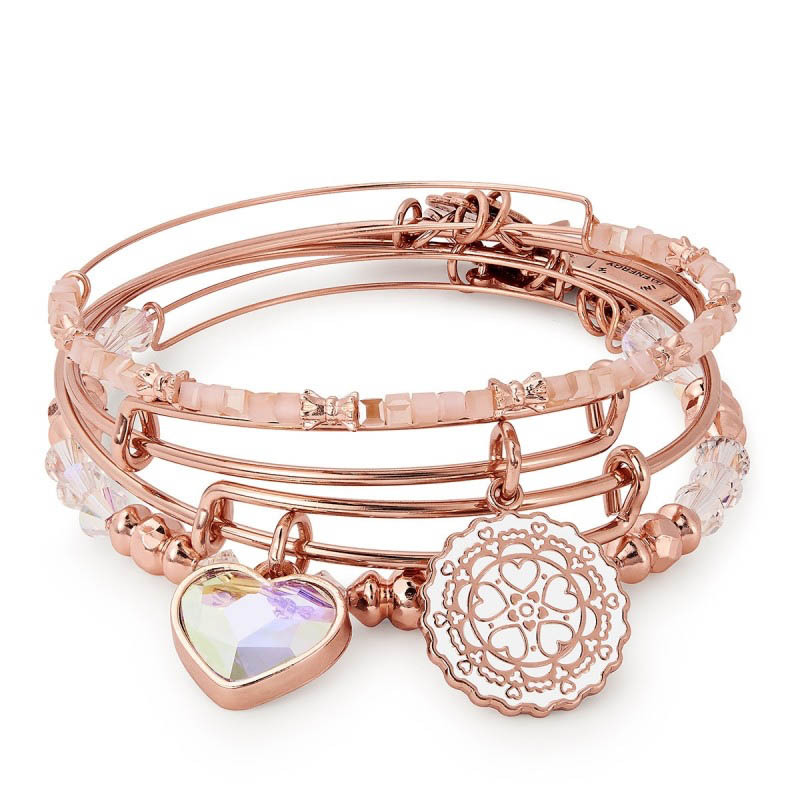 Their recent addition, adjustable cuffs, are a great addition for the girl who has a lot of the bangle style design. 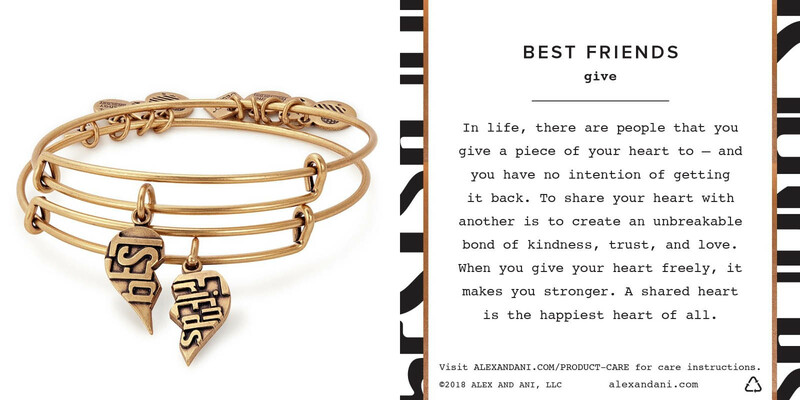 This year, Alex and Ani has made gift-giving even easier with their curated sets. 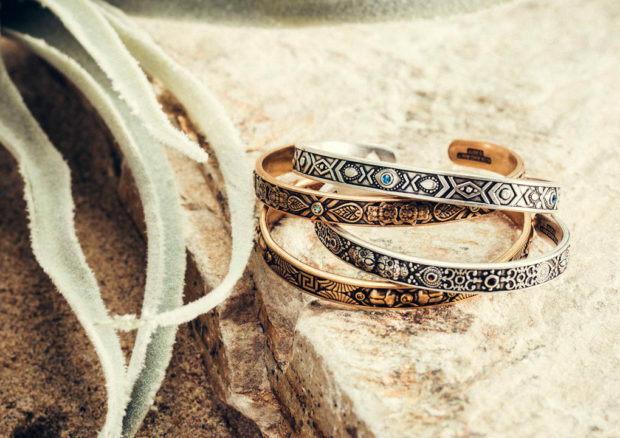 These sets incorporate several bangle and beaded styles meant to complement each other, making a complete stack. 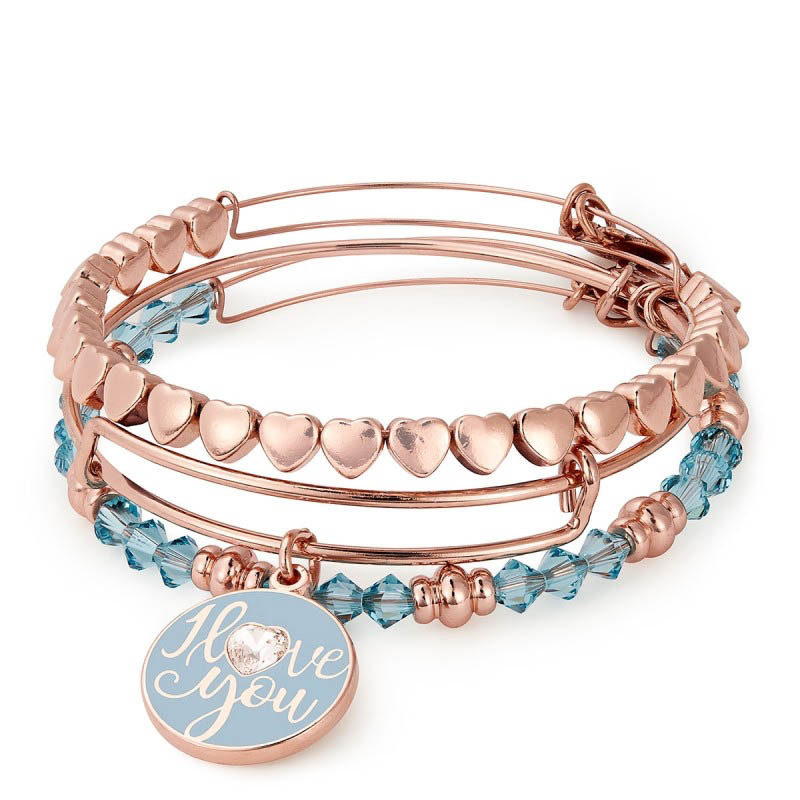 We particularly love the rose gold joy set! Making a gift meaningful and personal doesn’t always mean that it has to be a traditional charm or symbol. 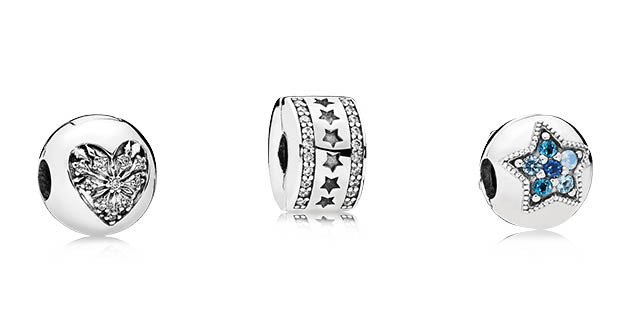 The Pandora Essence collection has all of the meaning of other charm lines but has a clean and elegant profile that suits those with a more simple or classic style. 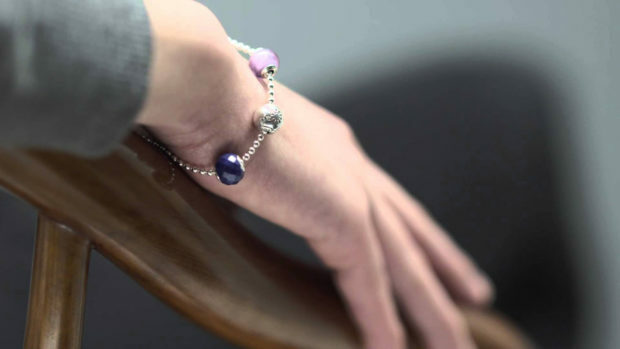 The beads themselves can be worn on the sterling Pandora Essence bracelet, bangle, or necklace. 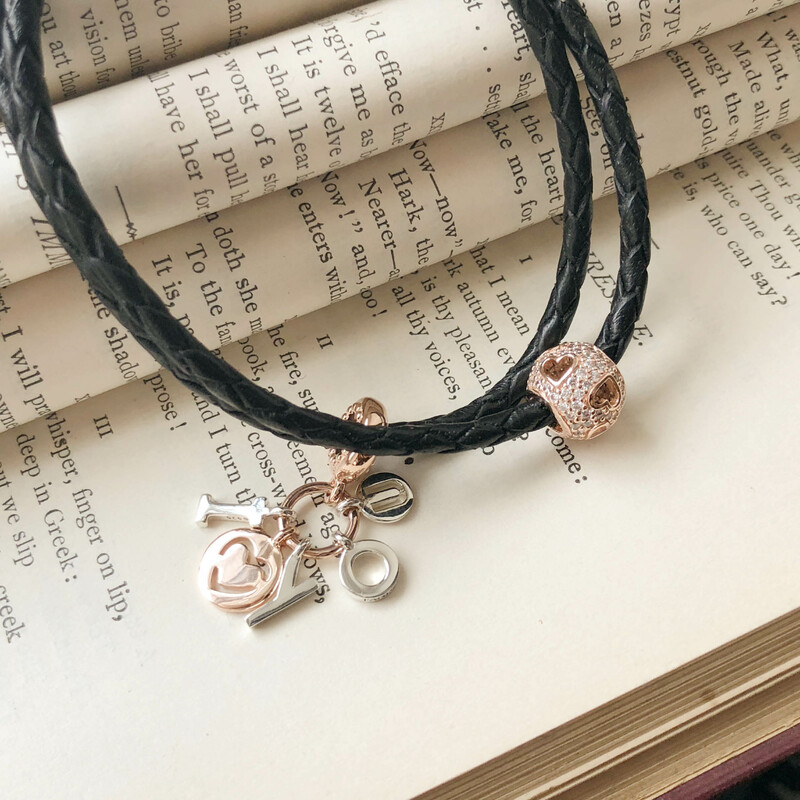 The Essence charms are all similar in size and design, with different colors or patterns symbolizing the virtue that they represent; because of this design they look like an elegant bracelet or necklace but still have a deeper meaning. 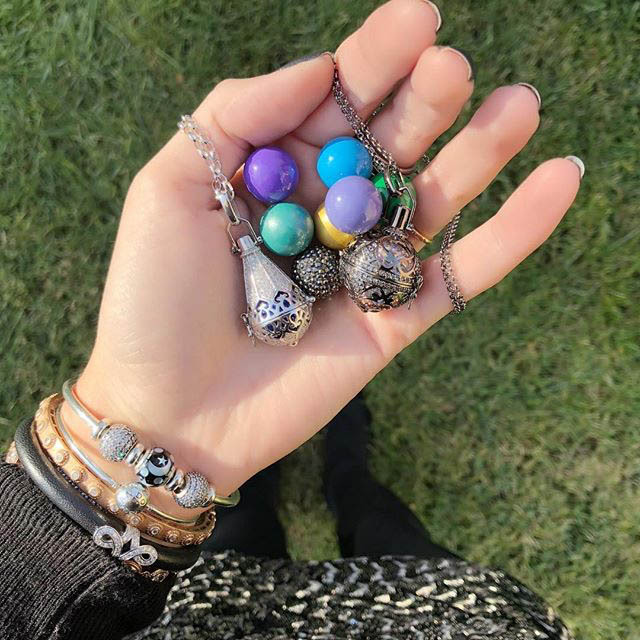 Each bead in the Pandora Essence line is associated with a different trait or emotion, such as love, friendship, faith, or confidence. 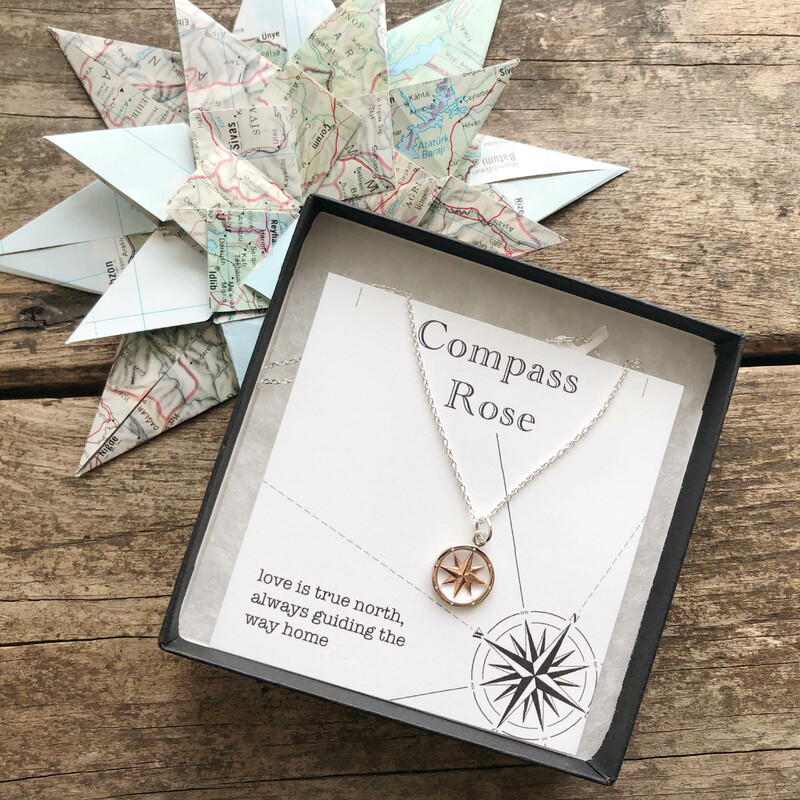 Another idea for the girl who likes beautiful things with beautiful meanings behind them is our new line, Compass Rose. 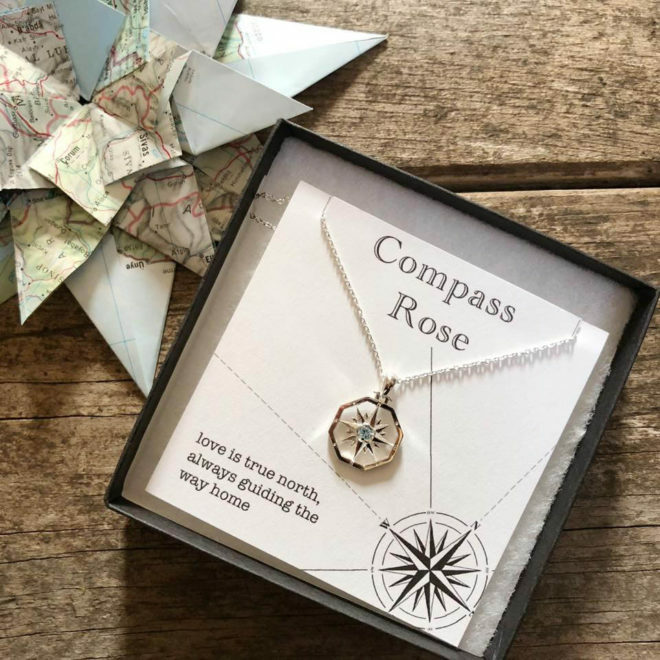 The compass rose, also called the windrose, is a navigational figure that displays the cardinal directions and their intermediate points. The inside of the rose is filled in with an ornate star that is symbolic of the North Star. This was the principle navigational tool used for centuries as guidance. 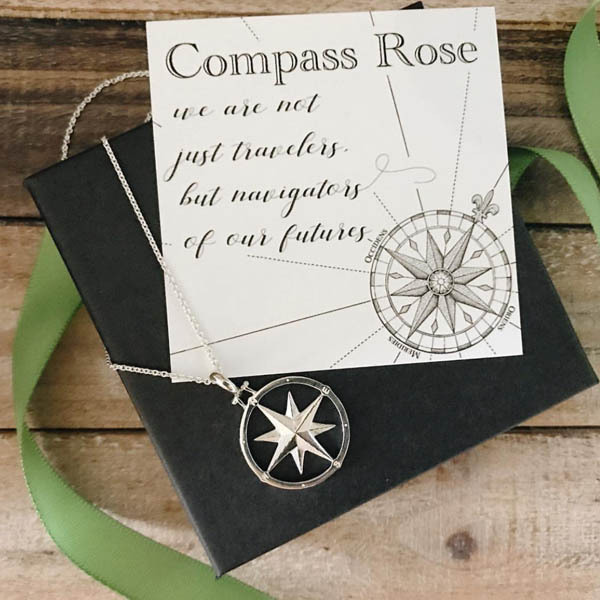 The motto of Compass Rose is that “we are not just travelers, but navigators of our futures.” In addition to this standard card, we have many custom cards to celebrate the different ways people guide us and help us on our journey through life. 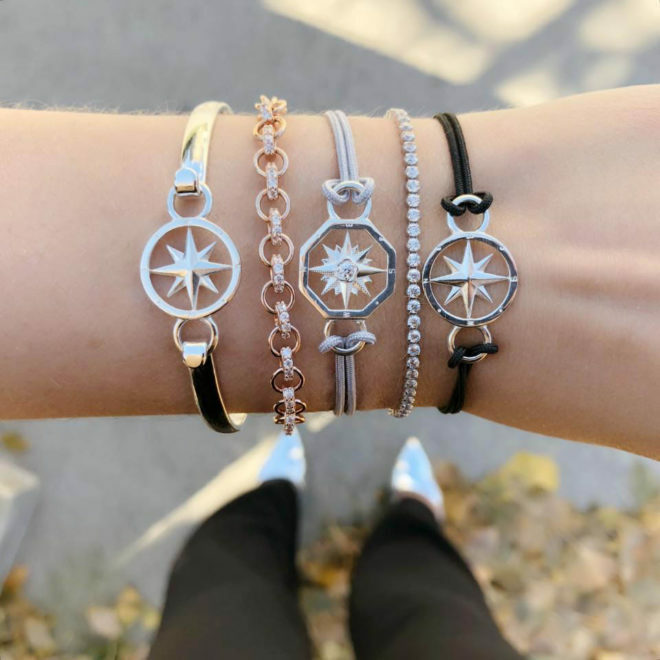 For the bracelet lover, Compass Rose is available as a sterling bangle or a cord bracelet as well. 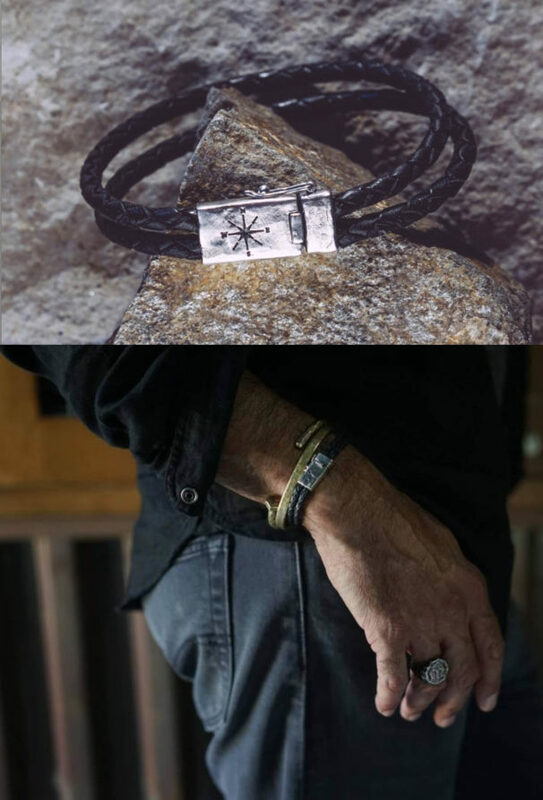 We love the contrast of the silver compass with the black cord. Shopping for a girl who cares about the little things that make an outfit perfect? 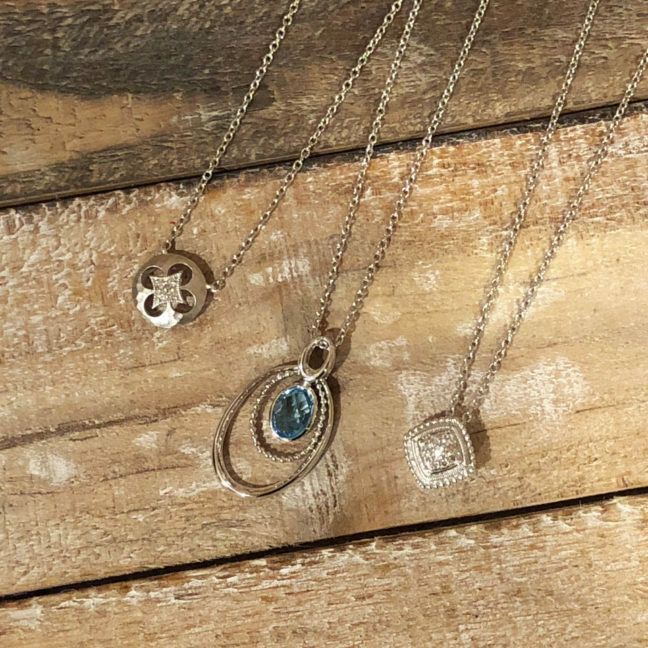 We have some great options with interchangeable pieces that help coordinate one piece of jewelry for many occasions! The fall collection included some beautiful new beaded inserts to use in the open cuff. We love the colors and details! 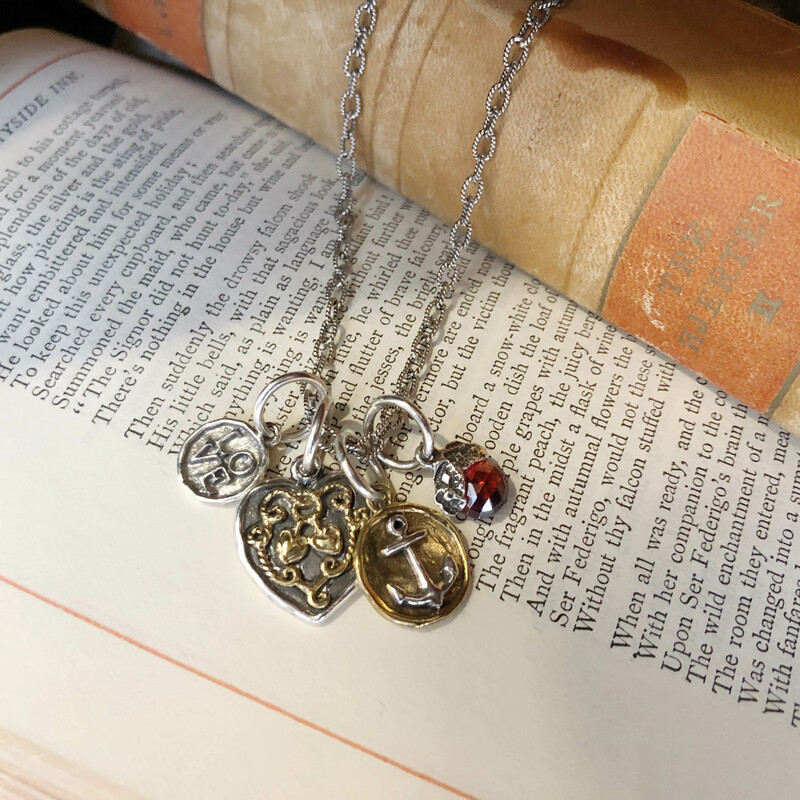 For the girl who prefers a necklace to a bracelet, our Thortiuda pendants are a very popular choice. 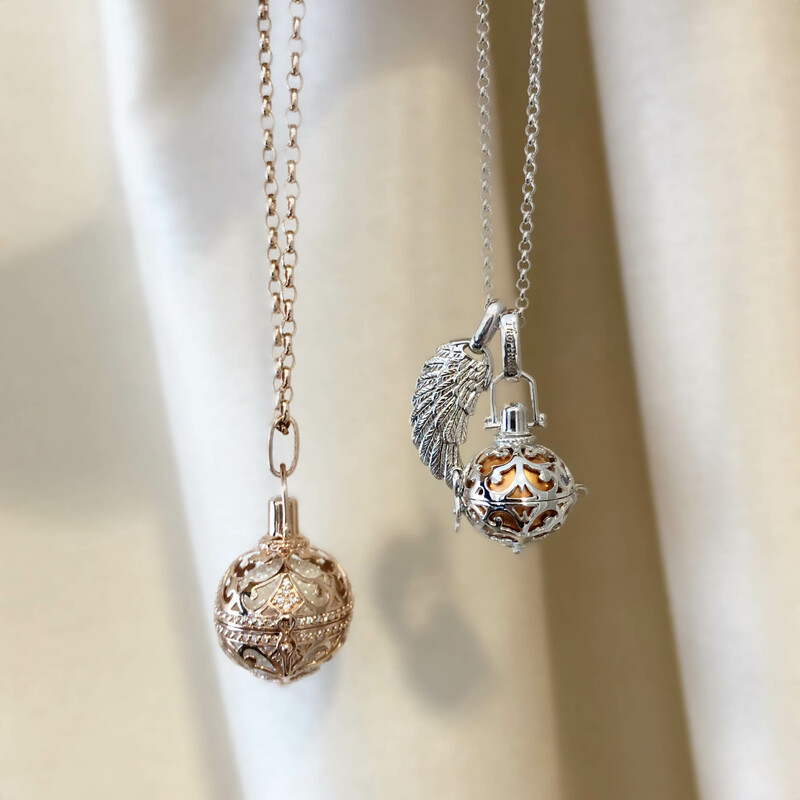 These distinctive cage-shaped pendants open to allow the orb inside to be changed. 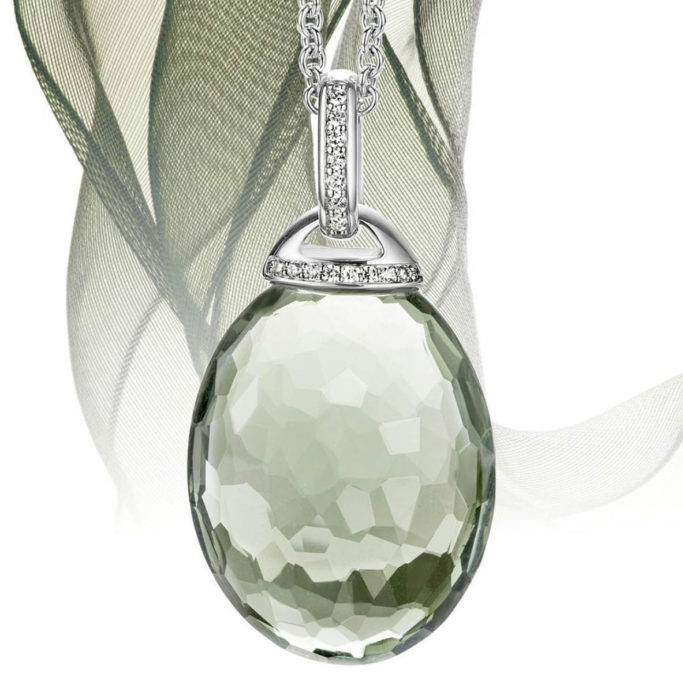 Changing a grey colored orb for a brightly colored one completely changes the look of the necklace. For a little extra sparkle, some of the cages are spangled with glittering CZs. Not enough sparkle for you? 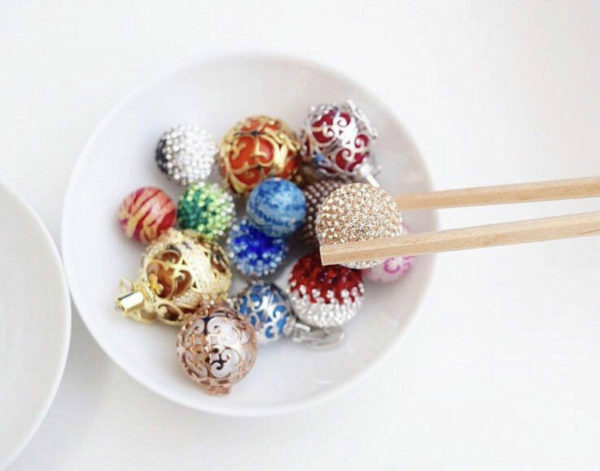 Check out these amazing crystal encrusted orbs! 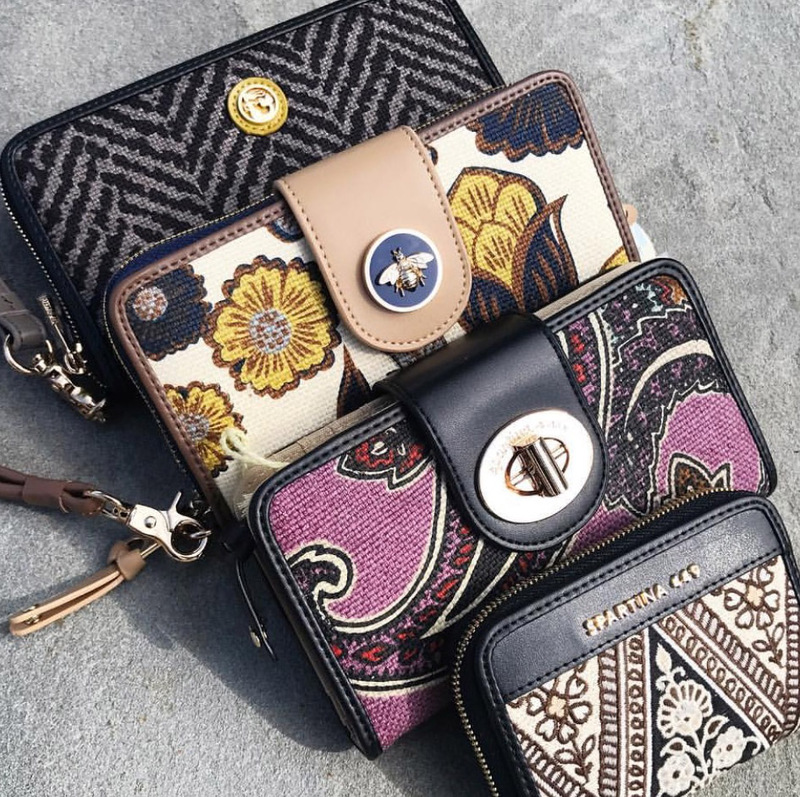 For the girl who prefers handbags to jewelry, we love the idea of adding fun bag charms to give a classic bag a touch of personality. 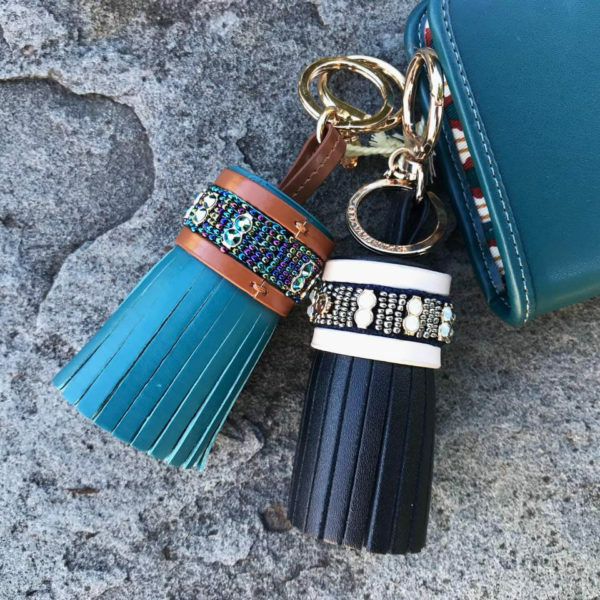 We love all of the tassel charms from Spartina 449’s fall collection! 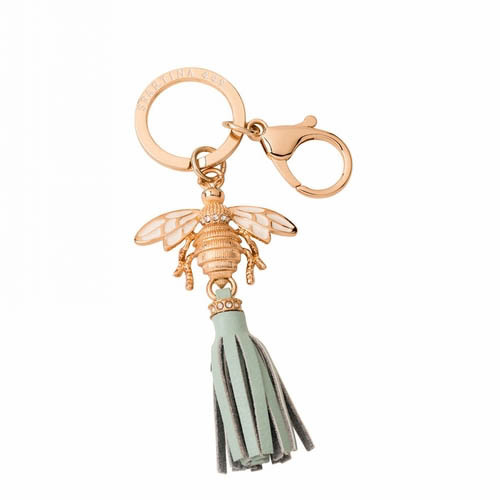 This bee tassel/keychain in a seaglass blue is another one of our favorites. 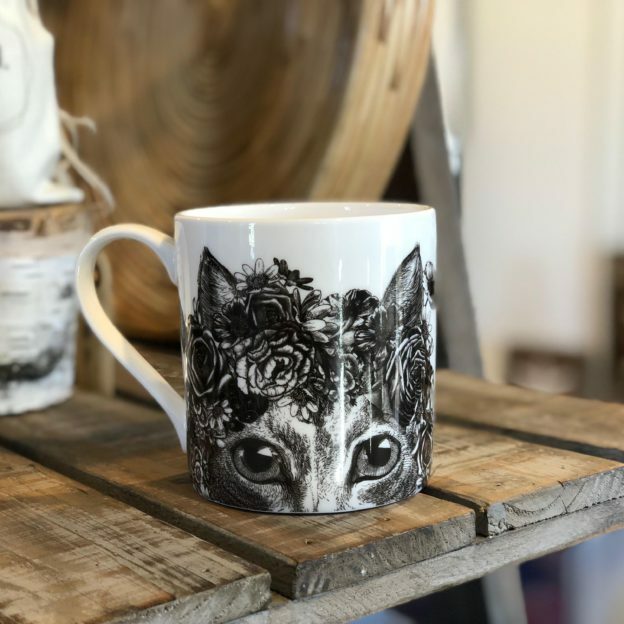 Are you shopping for someone who is filled with hometown pride and adorns themselves (and their home!) with symbols of their local roots? 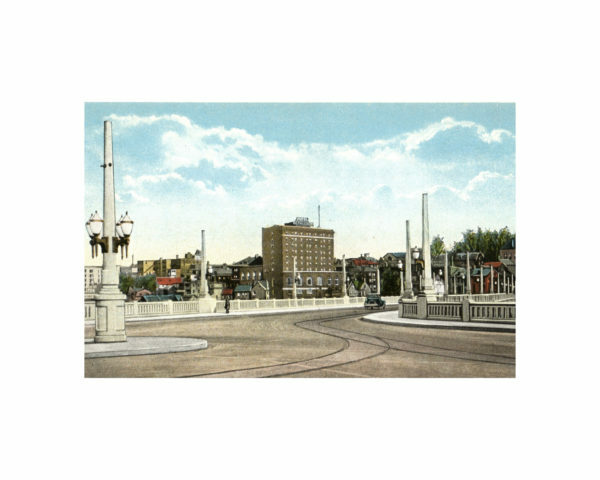 The best part about shopping at a locally-owned small business is the exclusive finds that celebrate our beautiful city! 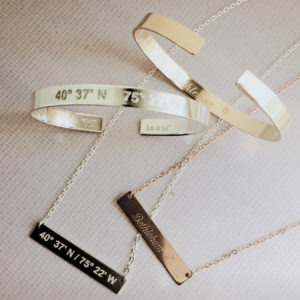 One of our favorite new jewelry concepts is the coordinates cuff and necklace. 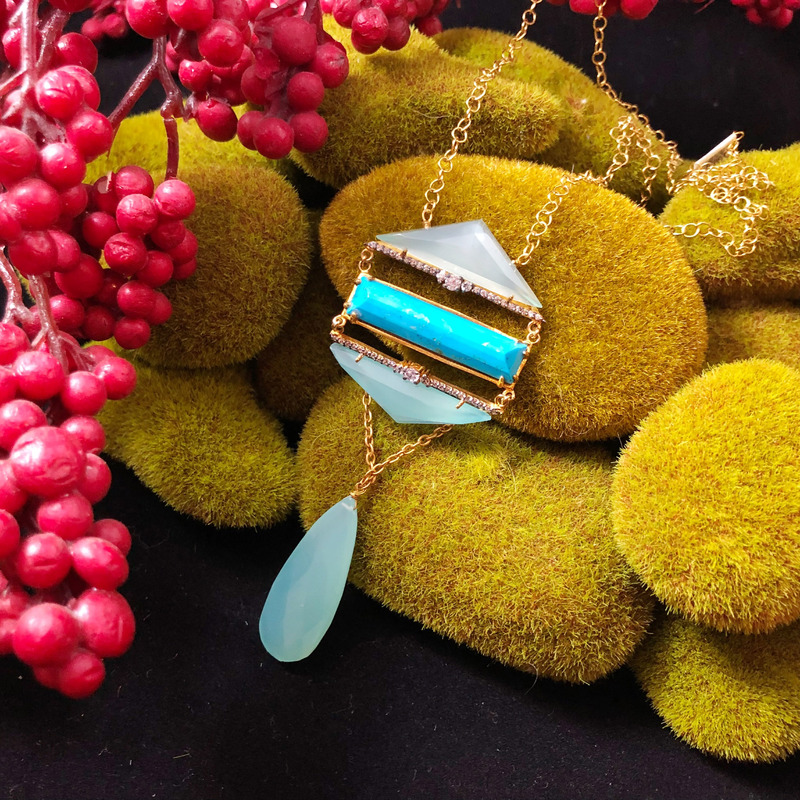 These sterling and gold plated pieces from Lat & Lo celebrate where you are anchored. 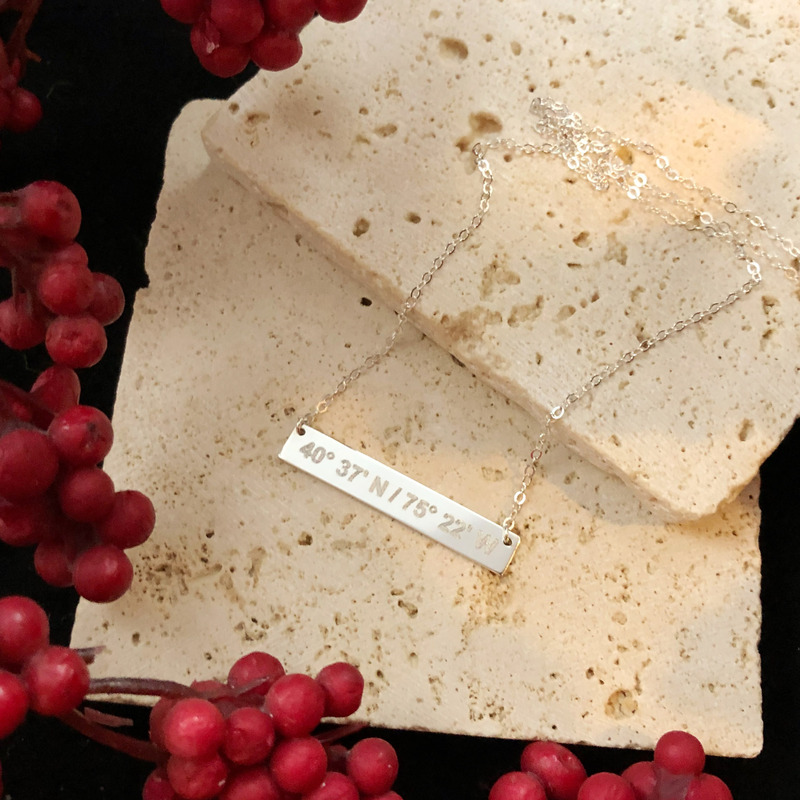 They have crafted for us an exclusive version of the coordinate cuff and bar necklace with the coordinates of Bethlehem on the outside and our city name with the Star of Bethlehem on the inside. 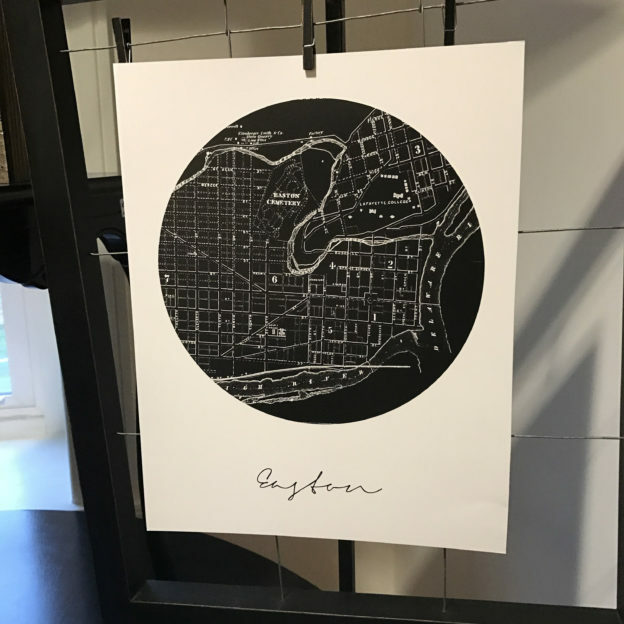 These pieces are a great gift both for those who celebrate the city where they live and for those who have had beautiful memories here and no longer live in the area. Another great way to celebrate the love for local is by supporting a local artist. 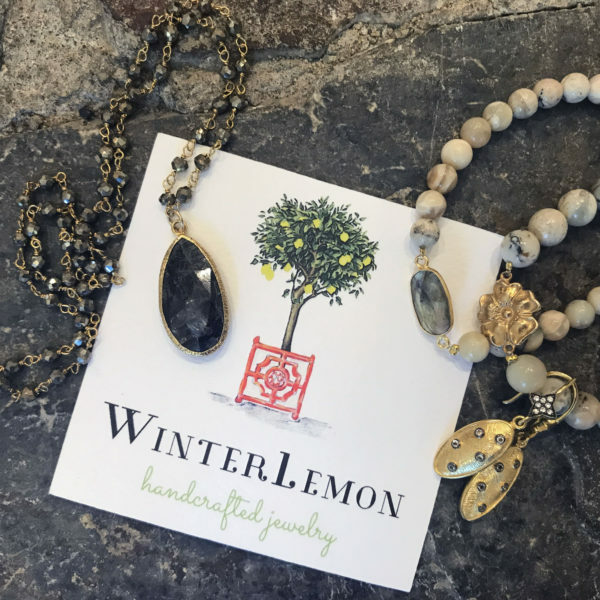 Our WinterLemon jewelry is not only beautiful, but it is handmade in Bethlehem, PA! 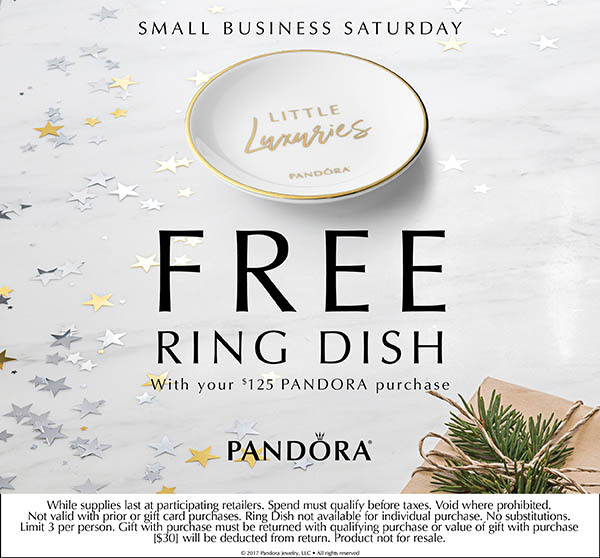 Ranging from stocking stuffers like beaded bracelets made from natural gemstones (starting at $15) to luxe items like diamond necklaces, there is something for everyone AND your purchase goes invests in the community that you love. 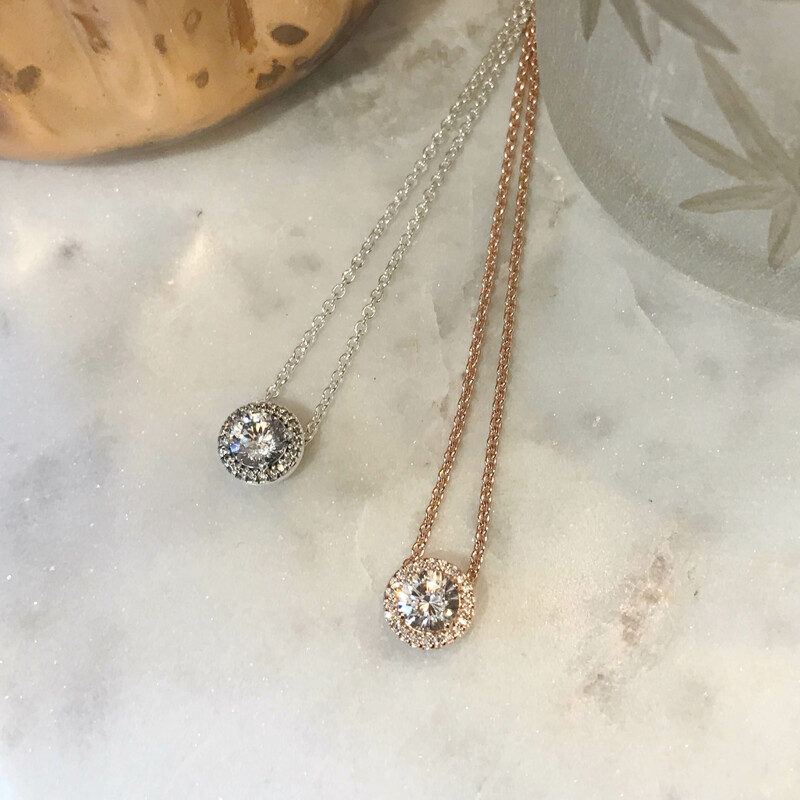 Our favorites from WinterLemon’s holiday additions are these beautiful oxidized silver and rose gold celestial themed diamond necklaces. 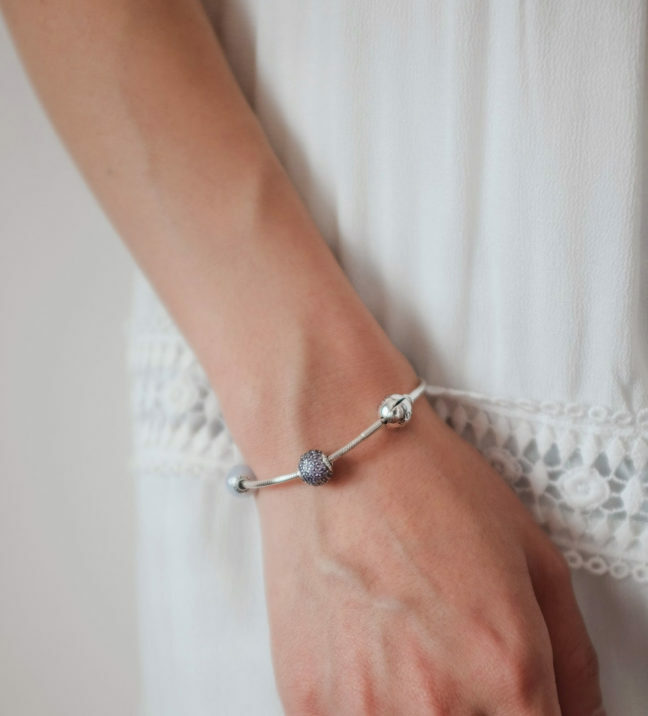 Each of the natural stones used in WinterLemon’s bracelets has a meaning or promotes certain attributes. 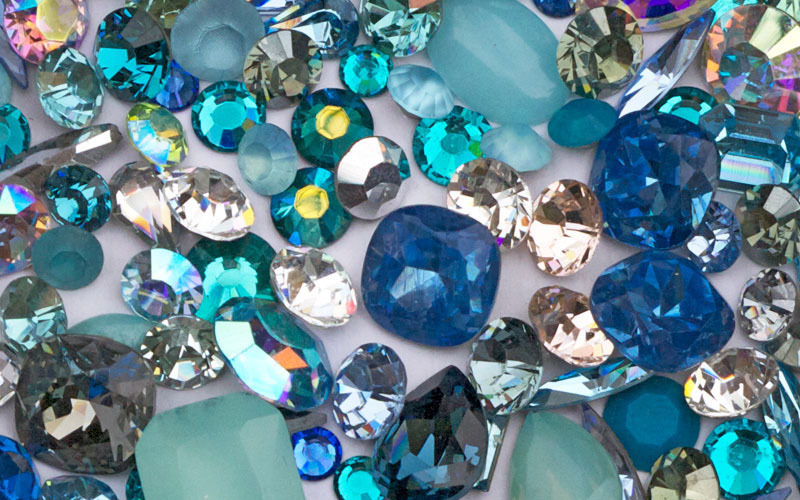 With a wide color palette, it is fun to try to find a meaningful stone that matches your style. 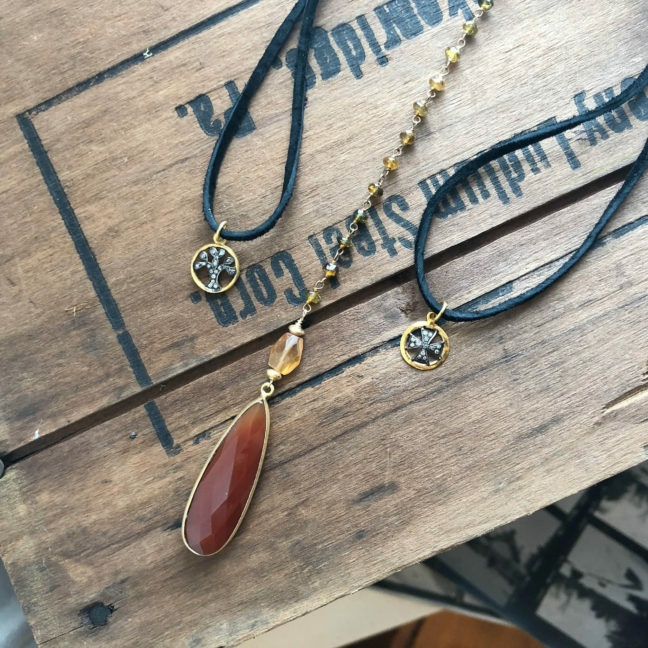 We also love WinterLemon’s suede choker necklaces with dainty charms. Tying at the back of the neck, tie them as a choker or wear them longer for a more traditional look. 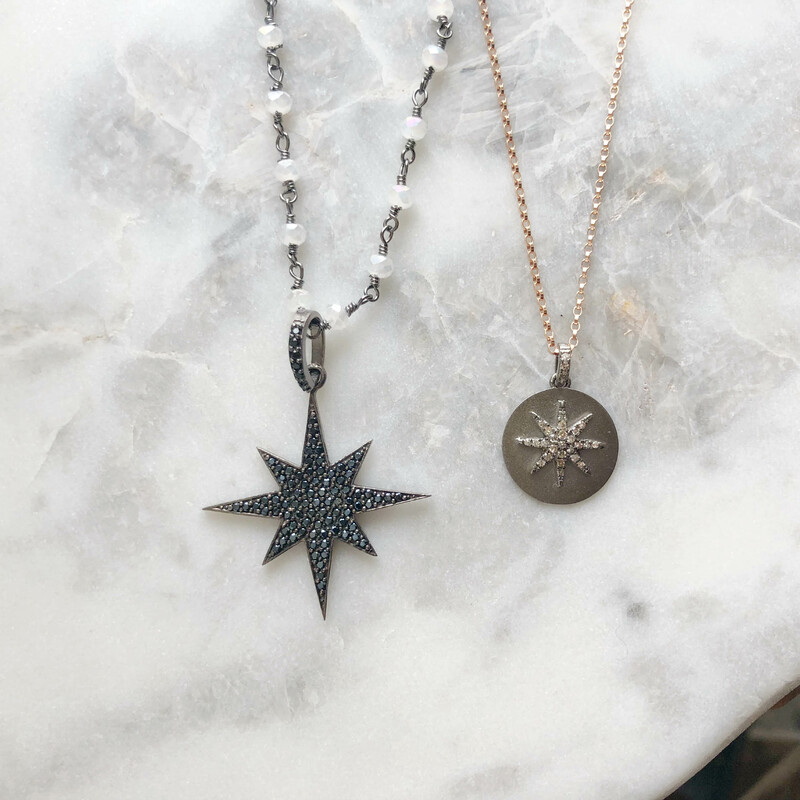 For the Bethlehem native, our exclusive Star Collection jewelry is a great choice. 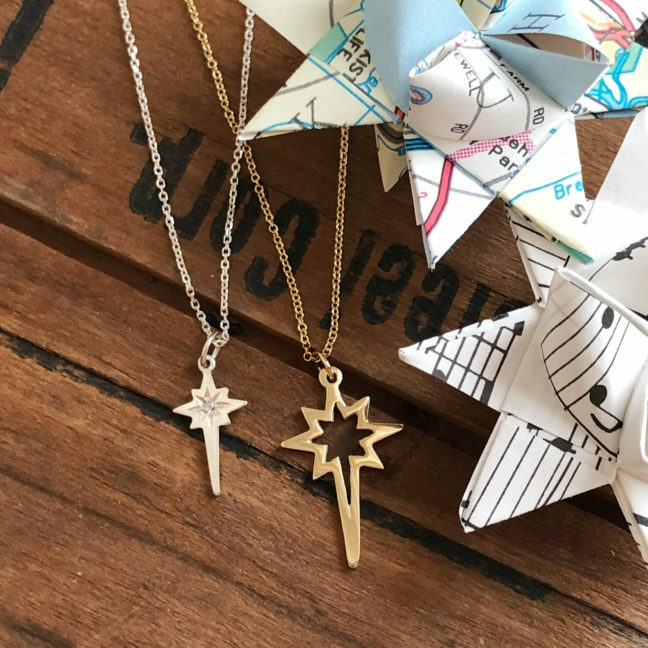 Designed around the Star of Bethlehem motif, these necklaces range from dainty sterling silver pieces for $55 to solid 14k gold pieces for $410. 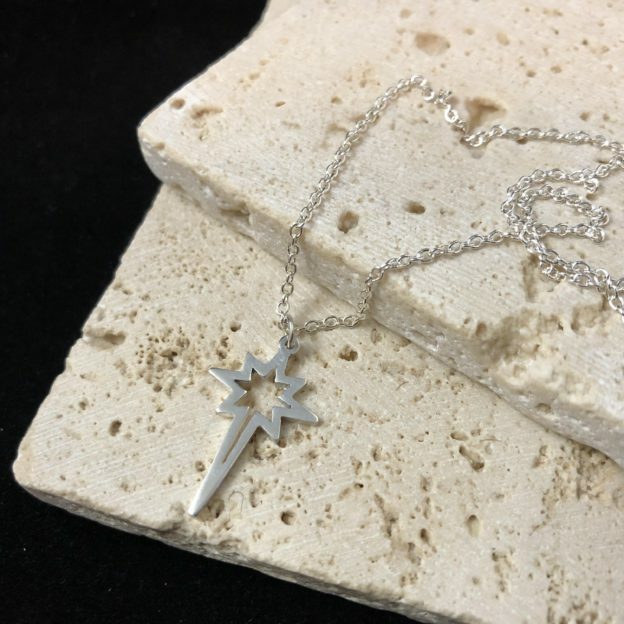 We love the sterling silver open star necklace. It is also a great choice for any health professionals who work within the St. Luke’s network! For those looking for something to adorn their home, there are a lot of local finds upstairs in Haven. 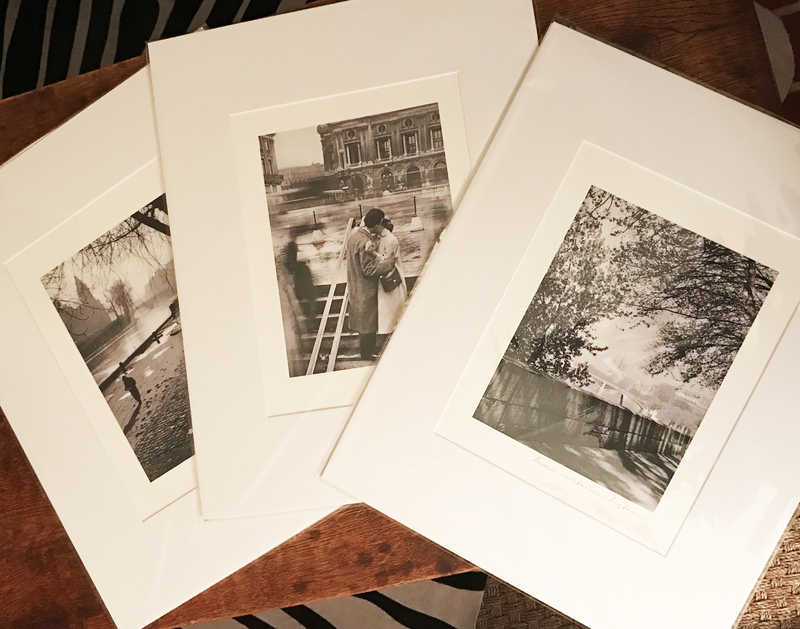 Our black and white photo prints and vintage greeting card reproductions are another great way to gift the local lover. 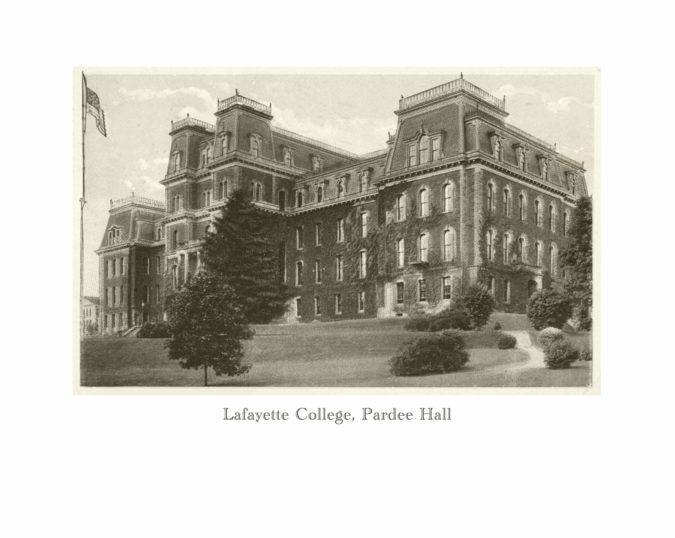 For those who went to college locally, we have prints available for Lafayette, Lehigh, and Moravian as well. 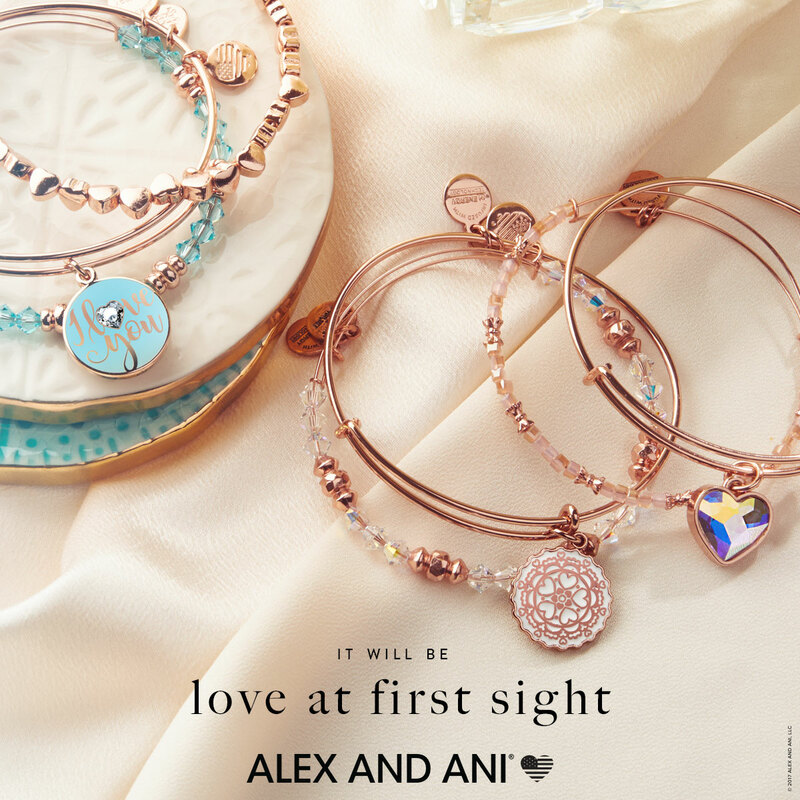 Rose gold continues to grow in popularity, especially with those who are a romantic at heart. 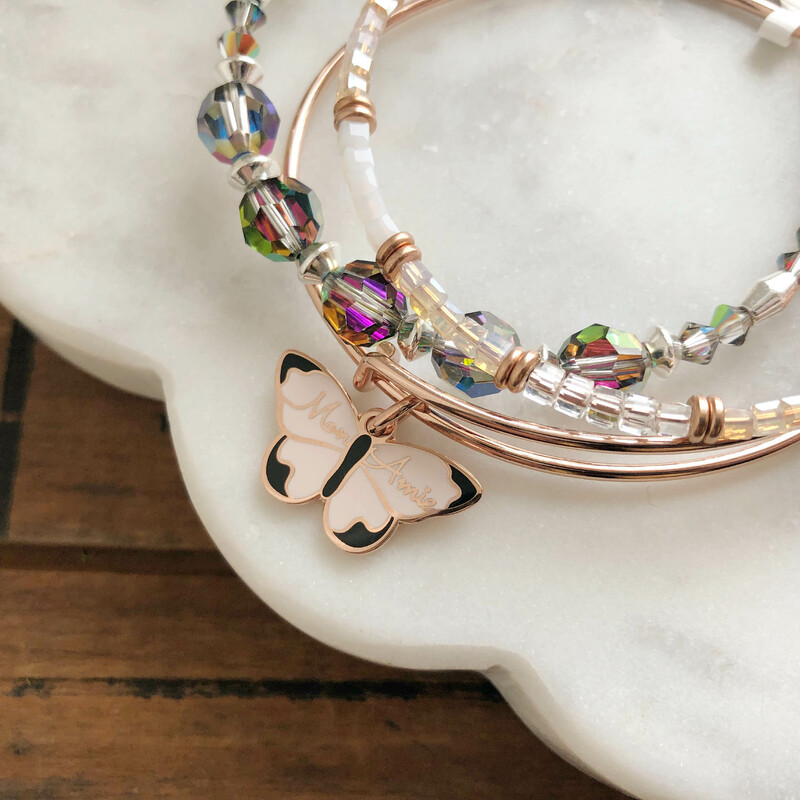 The warm tones of rose gold pair well with bright sterling silver, and are a great complement for the jewelry box of a girl who likes silver and white gold. 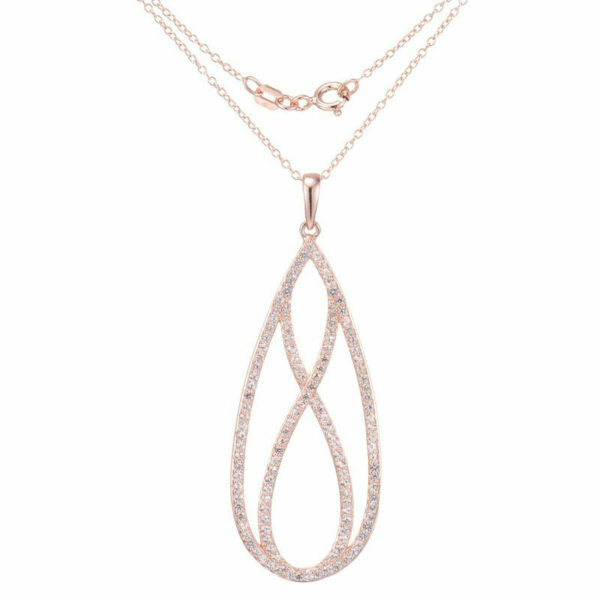 We have a variety of rose-gold plated sterling silver jewelry that gives a rosy tone without the price of solid rose gold. 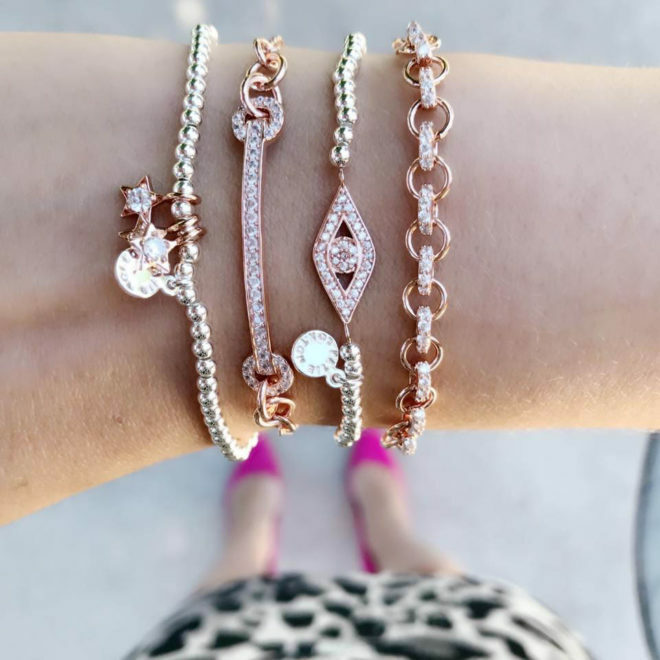 In addition to necklaces and earrings, we have some beautiful rose-gold plated bracelets that are adjustable to your wrist size. 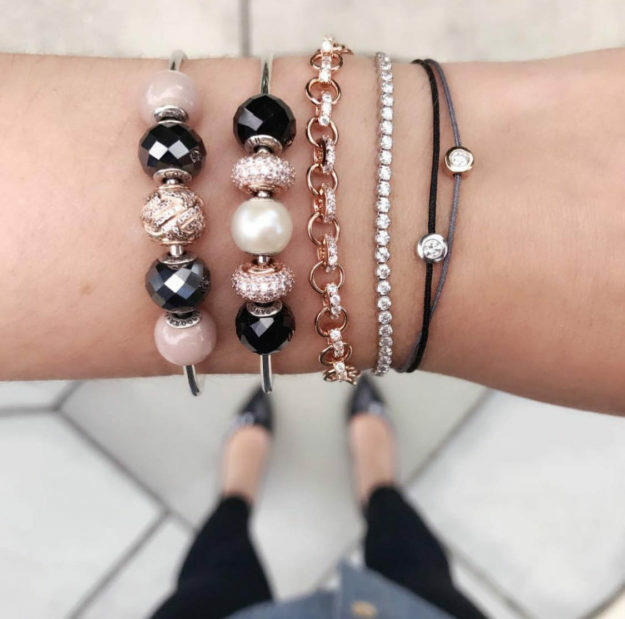 Stack them with some of our Katie Loxton beaded stretch bracelets for a sparkling statement in silver and rose! 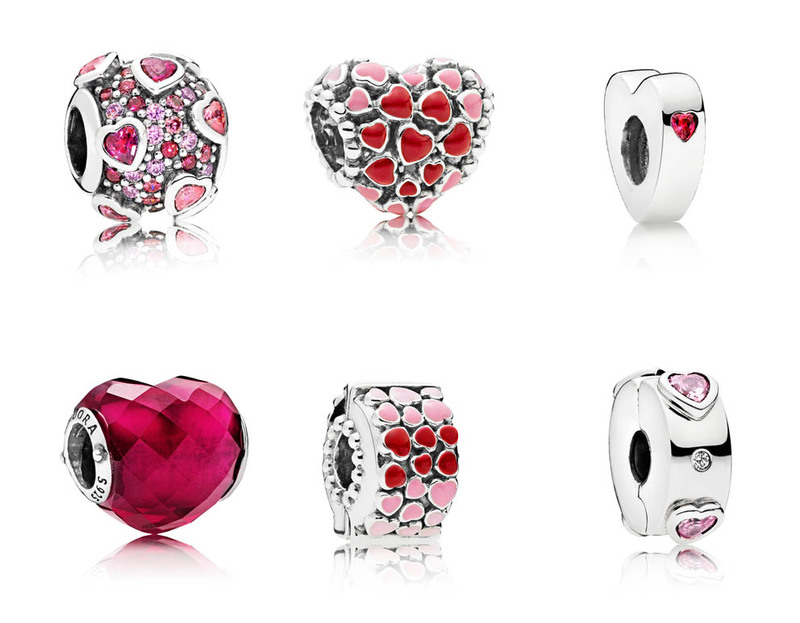 Pandora’s Rose collection has become very popular in the last year as well. 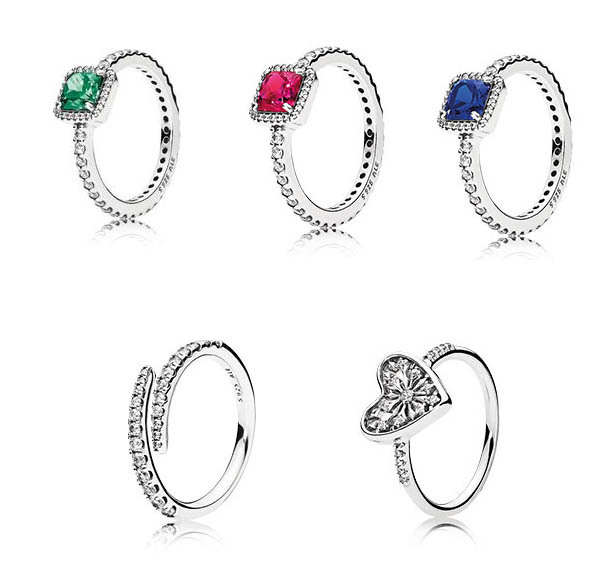 Their rings are a standout choice- get a statement piece or create your own curated stack! 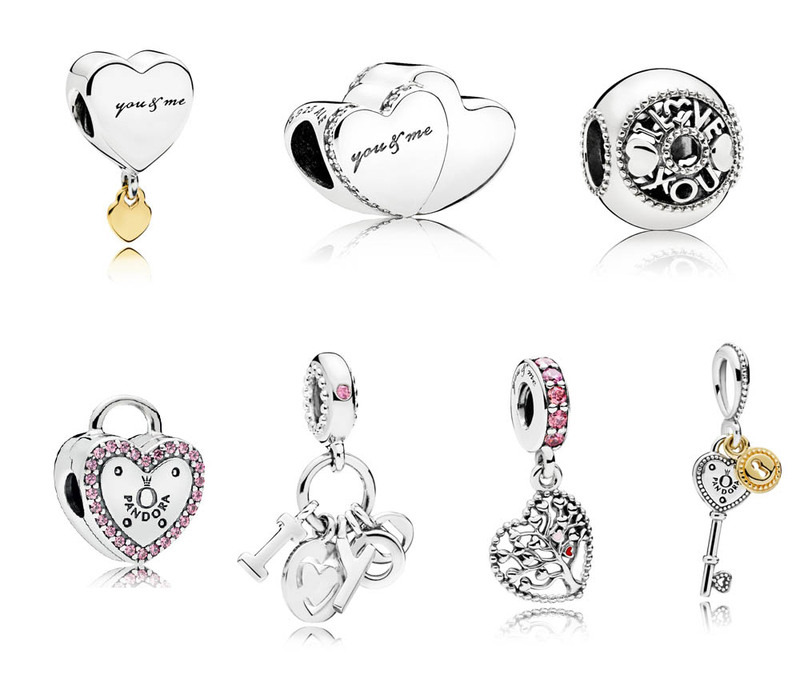 We also love all of the new Pandora Rose charms added to the Essence collection. Pair the sparkling rose pieces with some bold black and white for an outstanding statement piece. Looking for a luxe-level gift? 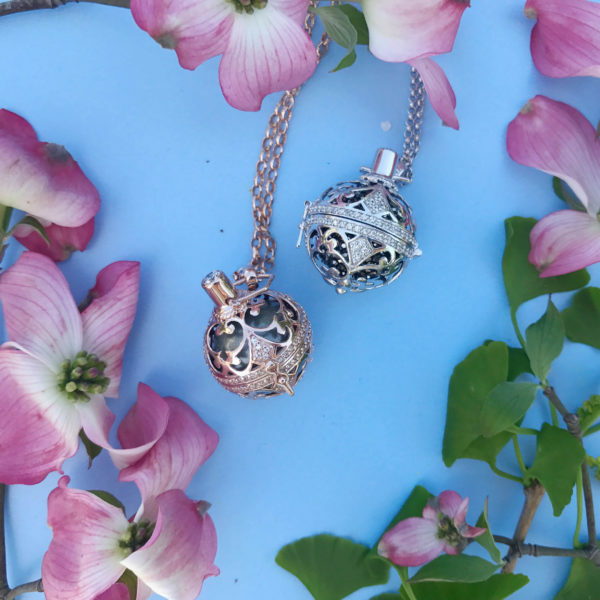 Our gorgeous solid rose gold and diamond pieces are heirloom-worthy pieces that will stand the wear of time. 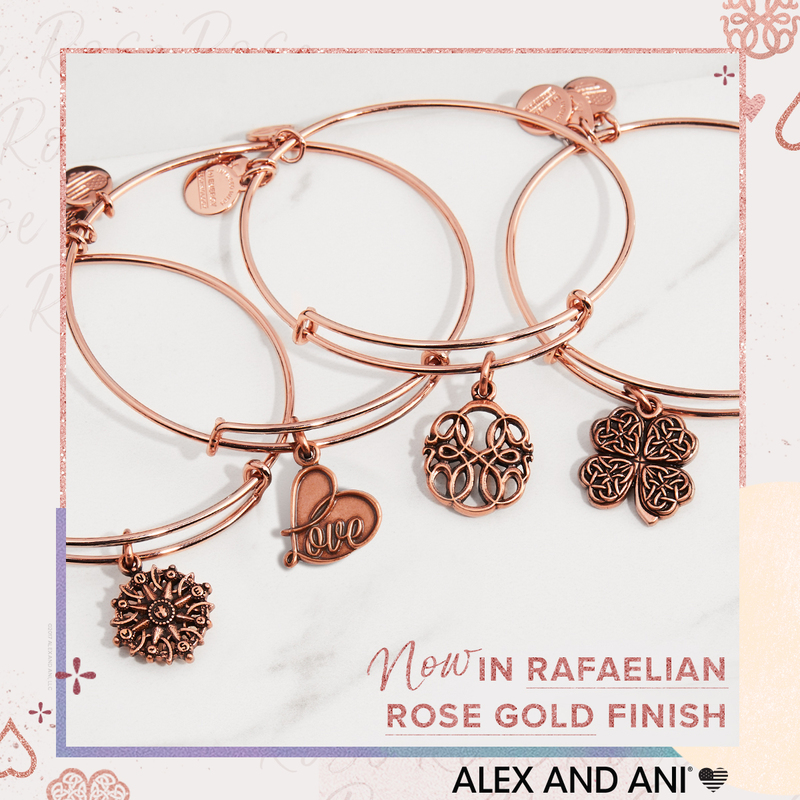 Unlike plated silver pieces, where the rose gold finish can eventually wear off, real rose gold pieces have the strength and longevity of gold. 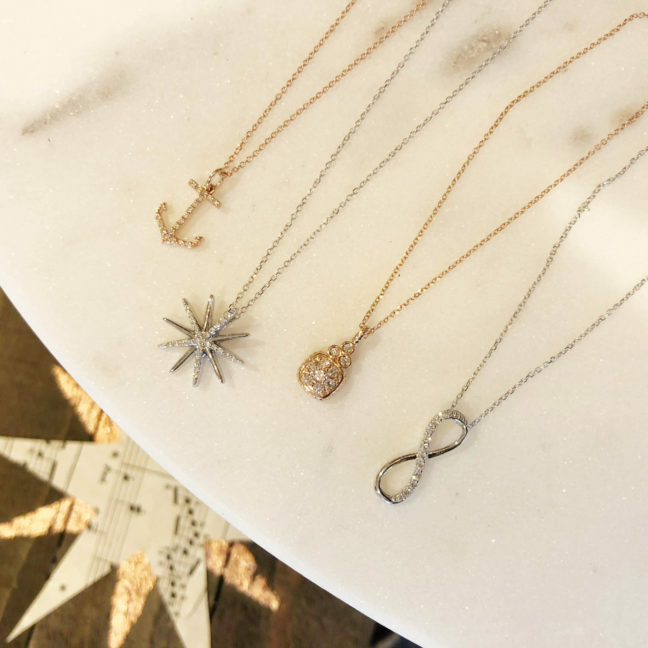 We love these dainty diamond necklaces, especially the anchor symbol. More of an earring girl? 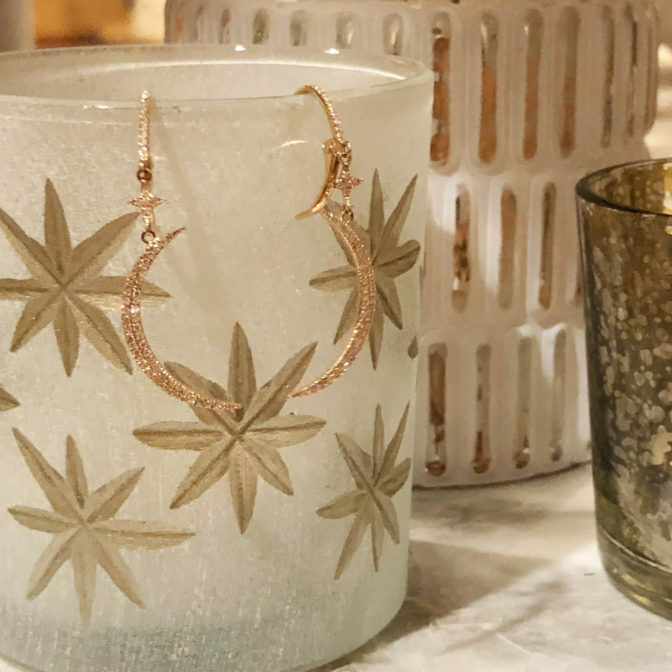 These crescent moon statement earrings and cone-shaped dainty earrings are some of our favorites pieces in the diamond case! 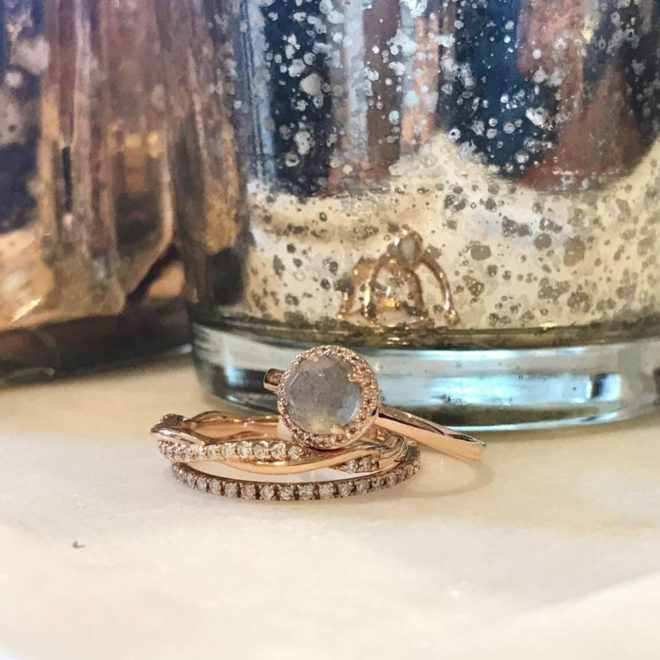 If rings are more her thing, we have some beautiful thin stacking bands in rose gold. 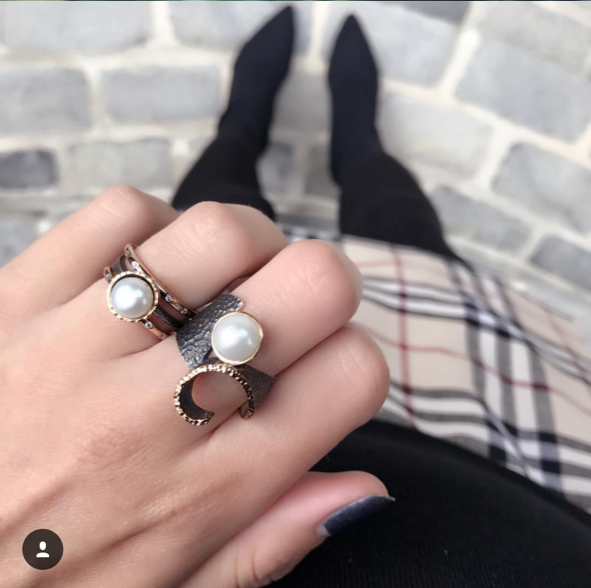 For a unique look, check out our rose gold and labradorite ring! The Entertainer loves the hustle and bustle of a busy house, and the centerpiece of her home is the kitchen where friends and family gather for good times and great company. 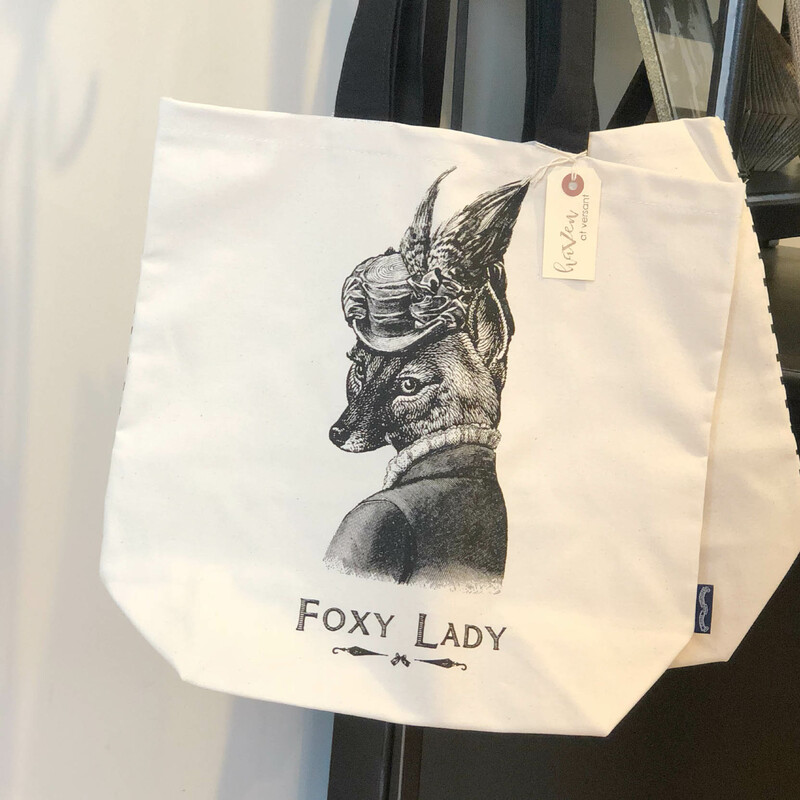 The best gifts for the Entertainer are ones that highlight these occasions and celebrate her love for being everyone’s favorite host. 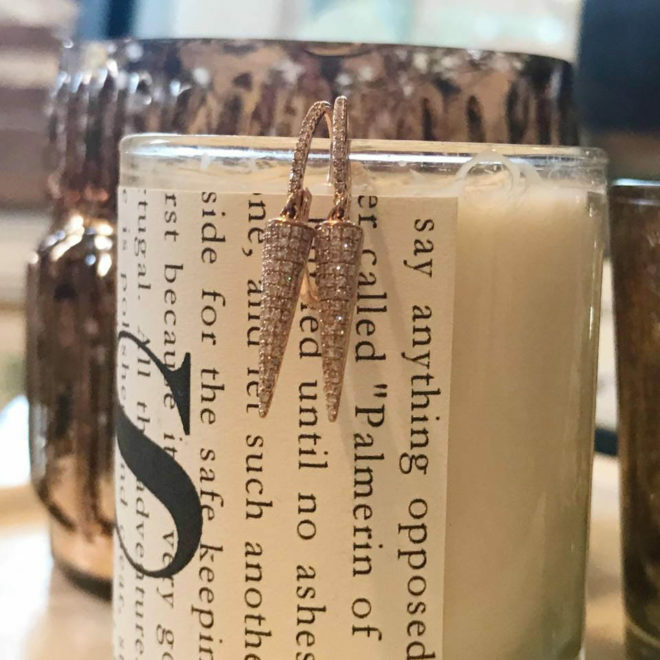 When opening our new upstairs lifestyle and home boutique, Haven, we sought out high quality serving pieces, barware, and other home items that follow the modern movement in home decor by using natural materials in a neutral palette. These touches of marble, slate, natural wood, and copper make the perfect palette for displaying the Entertainer’s gourmet treats. Another gift idea for the Entertainer is a collection of scented candles. 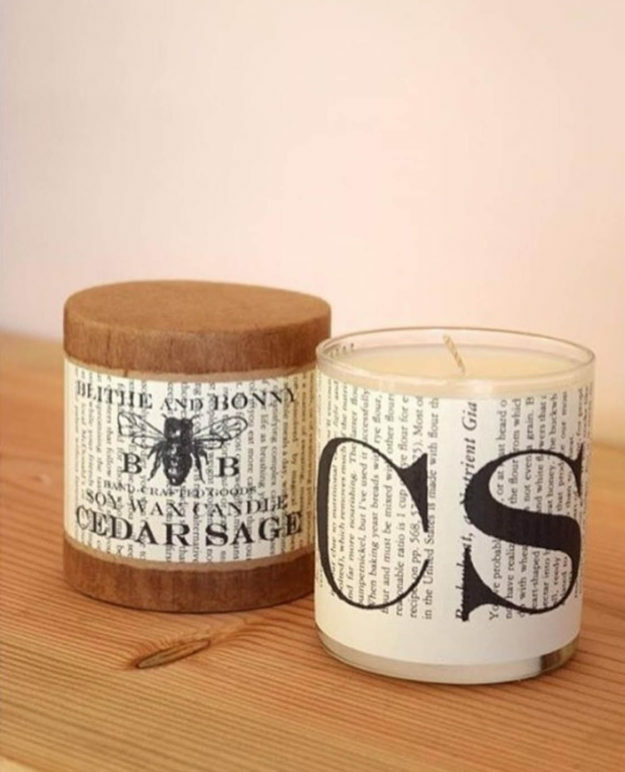 A good quality candle not only adds ambience to any party, but it makes her home smell fresh and inviting. 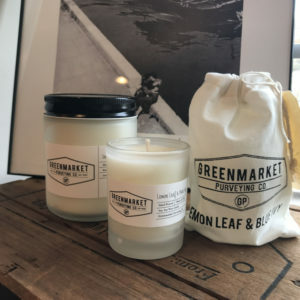 At Haven, our Greenmarket Purveying Company candles are beautifully presented, all-natural, and locally made in Bucks County. 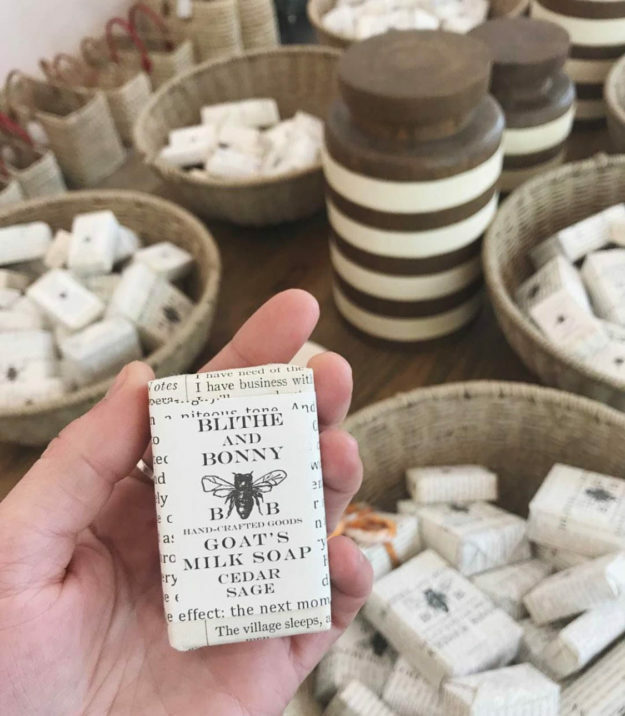 We also love our Bonny and Blithe candles, goat’s milk soap, and lotions. 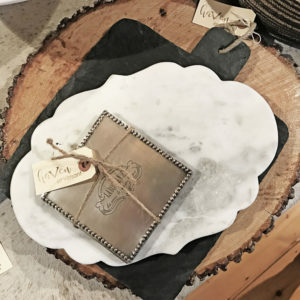 Handmade in Portland, Oregon, they are beautifully presented and make a great addition to a kitchen or guest bathroom. Love going out to eat? 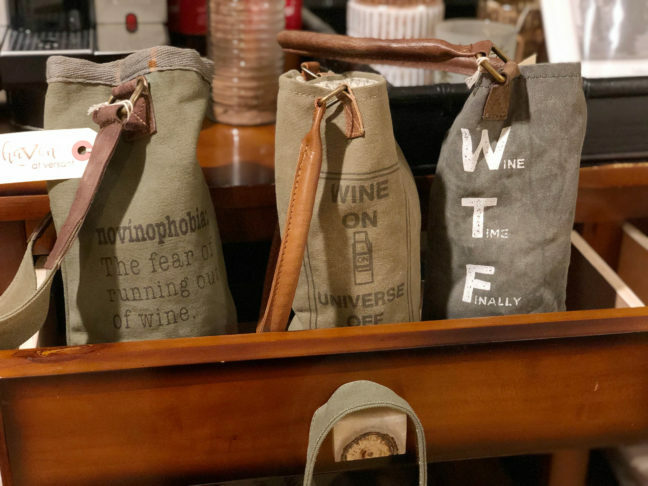 Check out our fun wine caddies made from upcycled military tarps and tents to tote your wine bottles to your favorite BYOB in style! 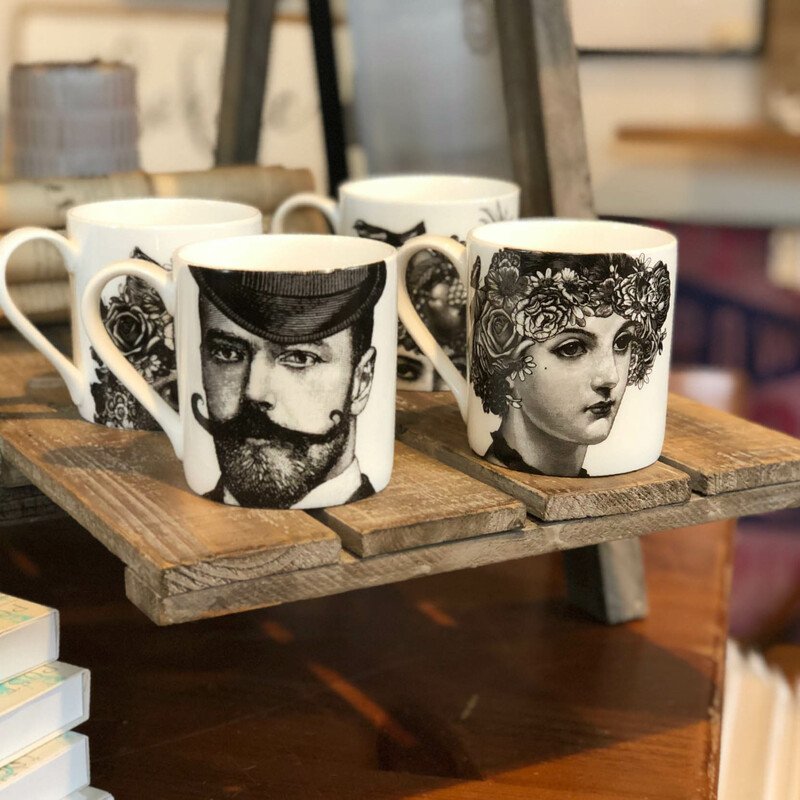 If coffee is her life, we love these Chase & Wonder mugs to add some personality to her daily caffeine fix. 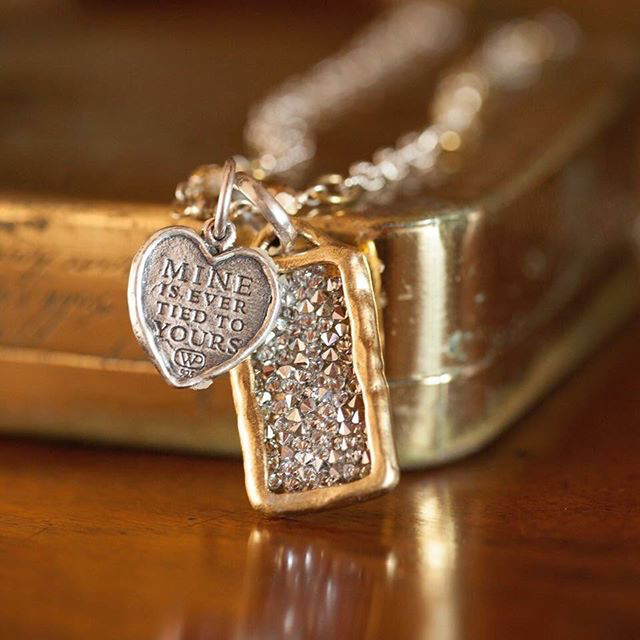 Are you giving a gift to someone whose favorite quote is “never let anyone dull your sparkle”? You have a Sparkling Star on your hands! 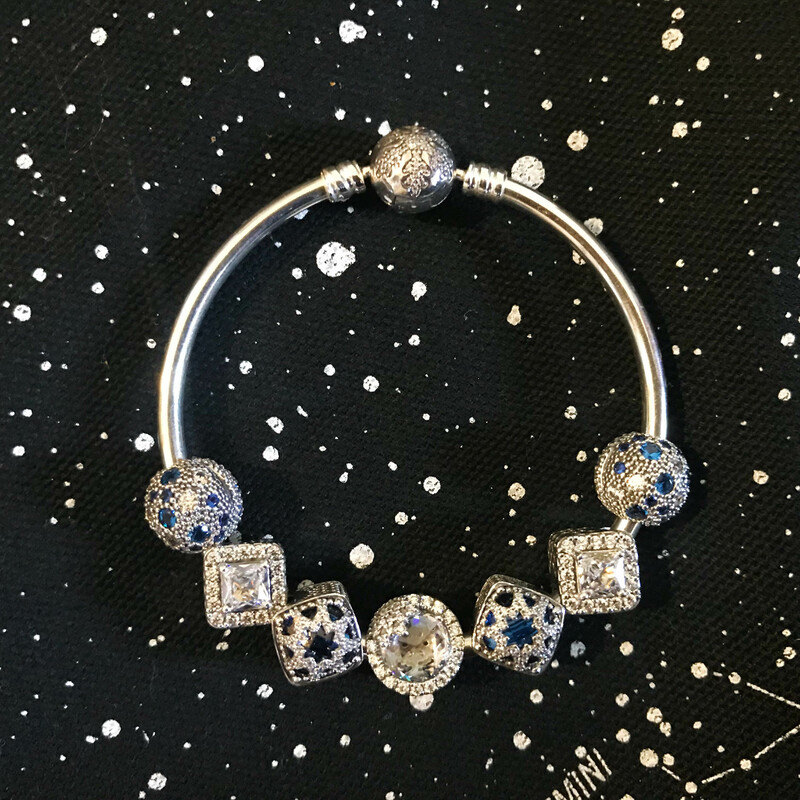 The Sparkling Star is drawn to anything that has that lovely glimmer when the light catches it, and she is like a kid in a candy shop when she goes into a jewelry store. 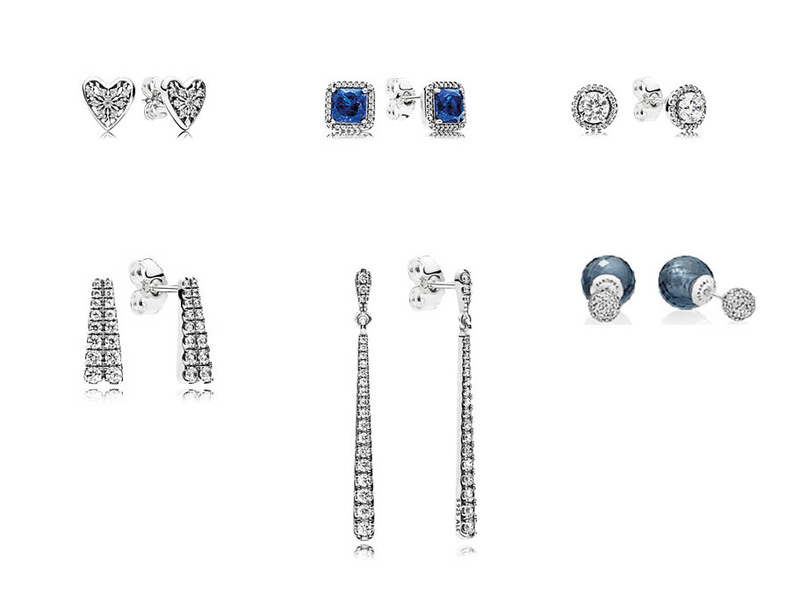 Needless to say, we are stocked full of glistening jewels for the Sparkling Star in your life. 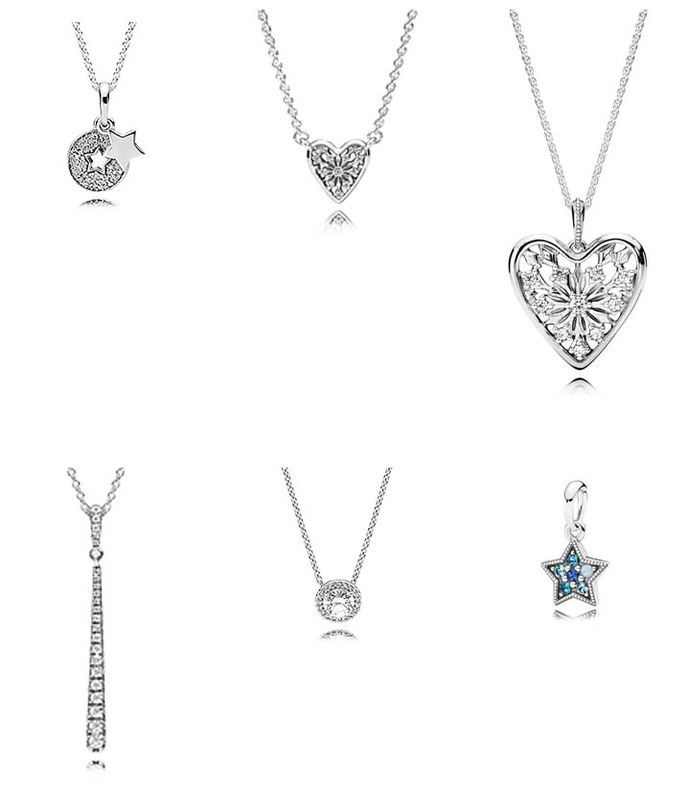 In addition to our fine jewelry, we have a lot of affordable options available that still pack on the glitz. One of our favorite collections of jewelry is Officina Bernardi. This Italian sterling silver line is manufactured with a patented cut to make the silver catch the light the way a faceted gem would. 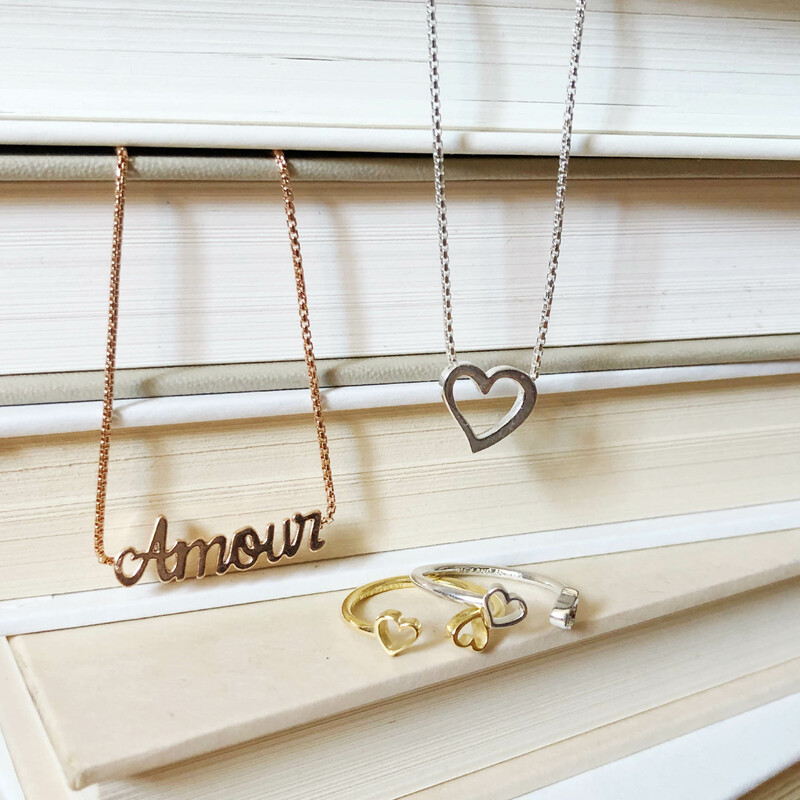 They offer a wide range of necklaces, earrings, and bracelets in silver, gold plated, rose gold plated, and black rhodium plated to suit a variety of tastes and purposes. 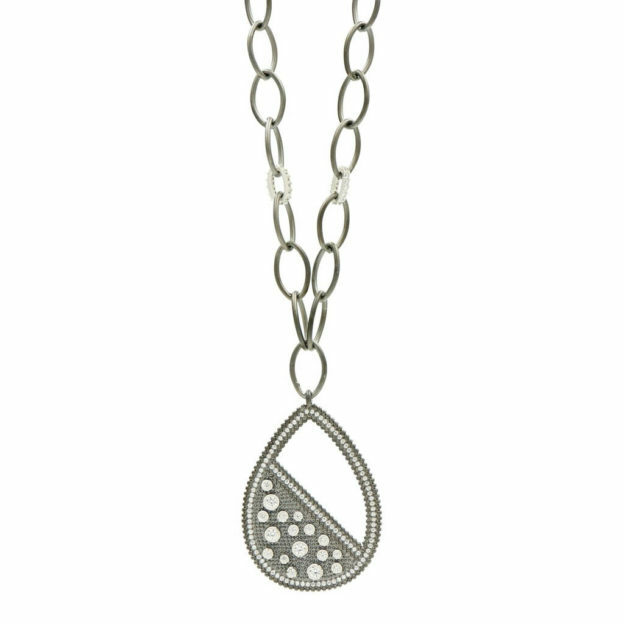 If you are looking for a splurge-worthy gift in the Officina Bernardi line, the Comet necklace is a great choice. This long tassel necklace is finished in a warm rose gold with silver accents. As versatile as it is beautiful, you can dress it down with a white T-shirt or take it for a night on the town in a little black dress. 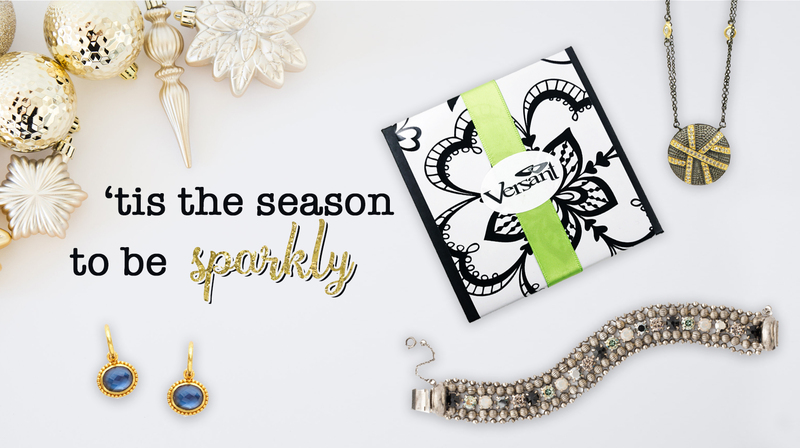 Another great gift to keep your girl twinkling is new to Versant- Sorrelli Jewelry! 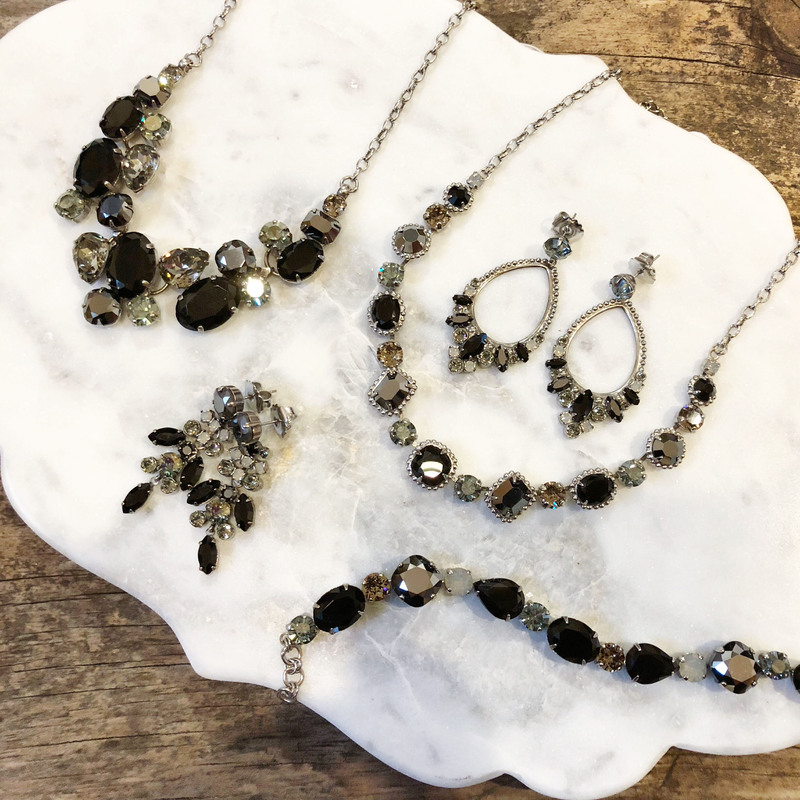 Not only are these pieces super sparkly- they are encrusted with Swarovski crystals!- they are designed locally in Kutztown and have a lifetime warranty. We love the holiday Black Onyx collection. 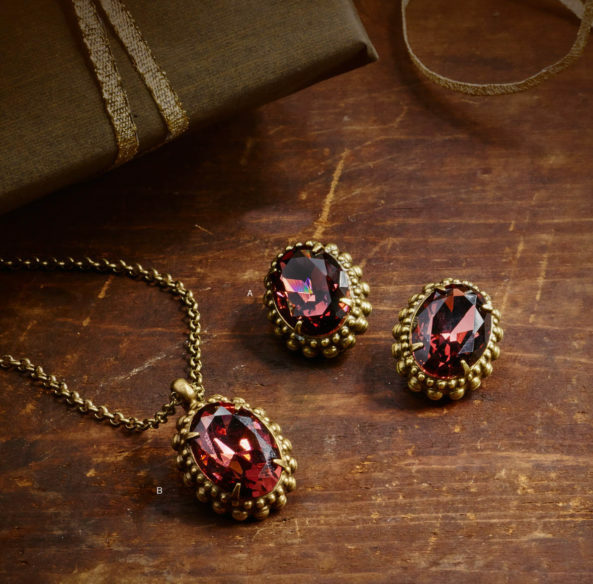 For the girl who loves warm tones, their Mahogany pieces set in Antique Gold finished metal are stunning as well. 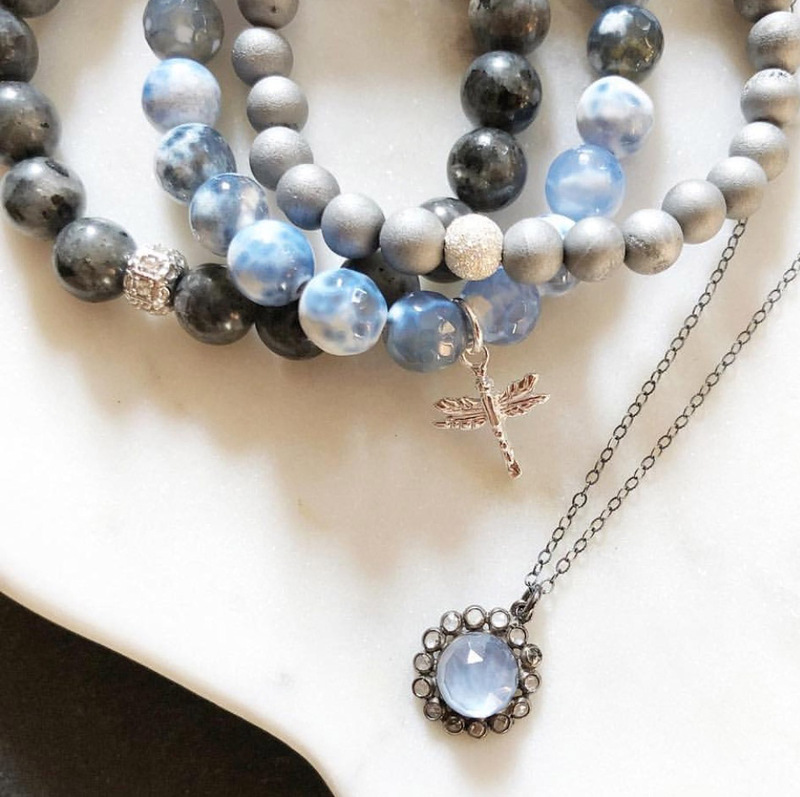 Not only beautiful, but versatile, some pieces are even convertible such a multi-strand wrap bracelet that can also be worn as a bib necklace. There is one gift that outshines any other for the sparkling star- diamonds! 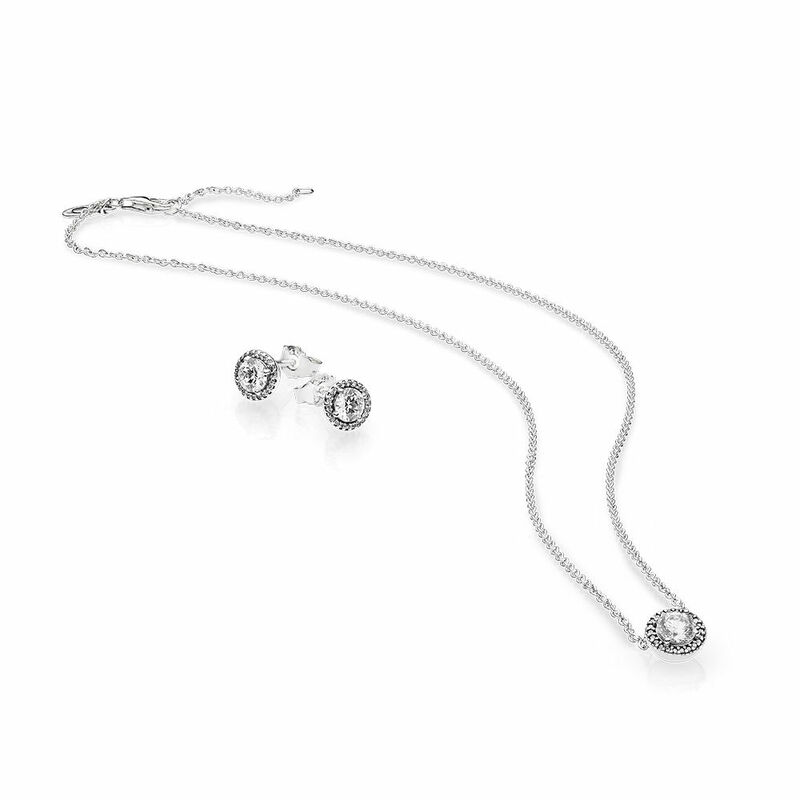 Nothing says sparkle like a white diamond set in white gold. 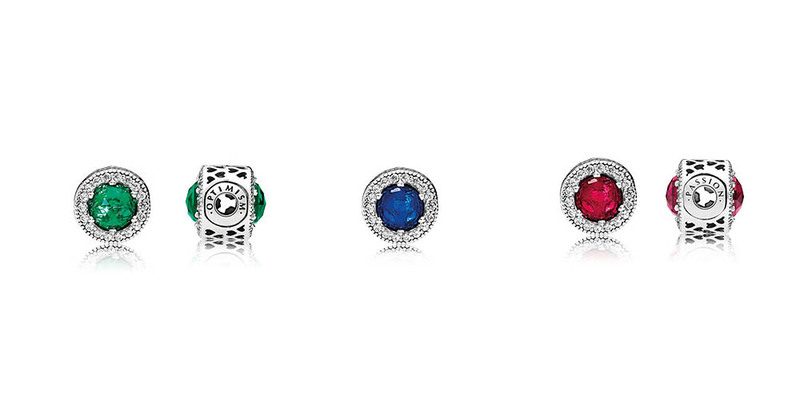 For the sparkling star who likes a touch of color, we love these diamond and sapphire studs. 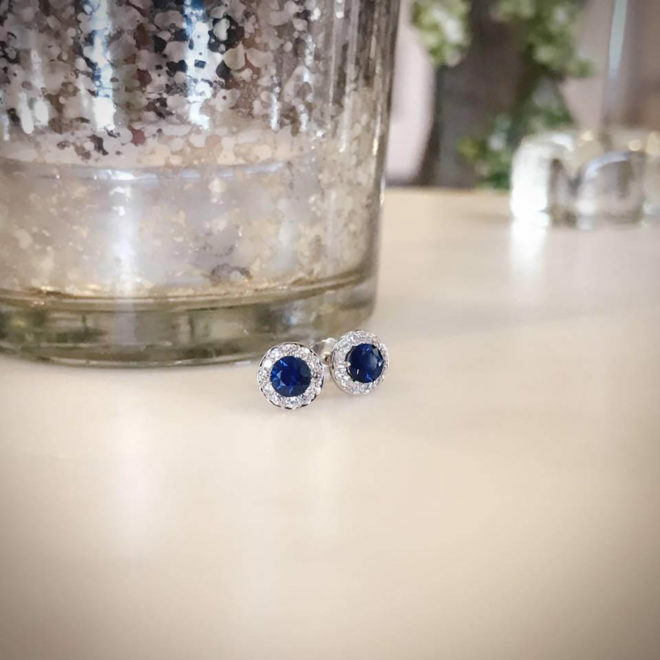 They are a particularly special gift for a bride-to-be- she can wear them at her upcoming wedding as her something blue! Looking to really spoil her? We have some amazing diamond hoop earrings ranging from pave diamonds to these outstanding teardrop shaped hoops with large diamonds. Versant is not only for the girls! 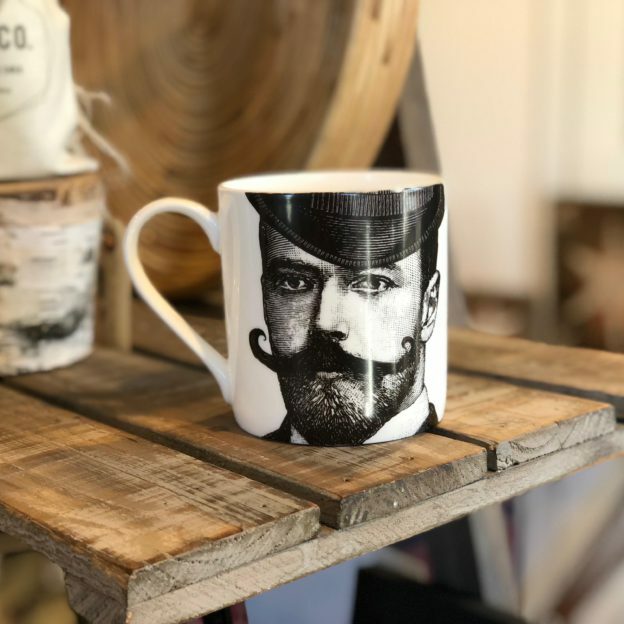 We also have some fun finds for the gentlemen in your life. Upstairs at Haven we have a great find for the guy who is into our local history. 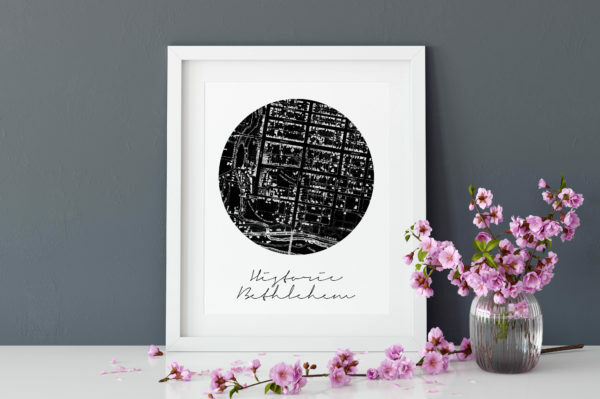 Our exclusive local map prints, available framed or unframed, were created using vintage maps to create a modern graphic that celebrates local neighborhoods. 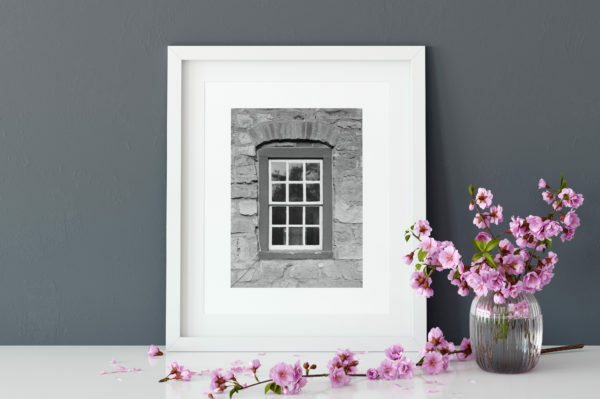 Map prints are 11×14″ and are available for Historic Bethlehem, West Bethlehem, South Bethlehem, Northeast Bethlehem, Bethlehem Township, Fountain Hill, Upper Saucon, Lower Saucon, Easton, South Easton, Nazareth, and Phillipsburg. 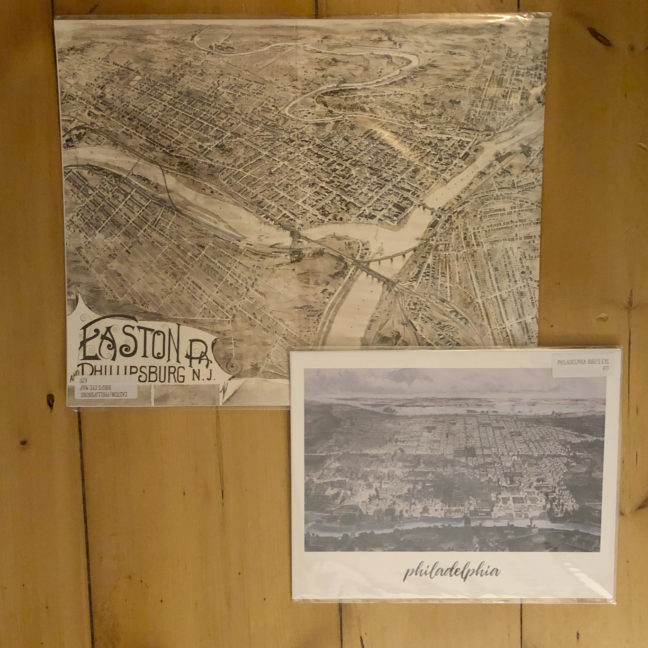 In addition to our local map prints, we have some detailed bird’s eye view maps of local areas as well, including Allentown, Easton/Phillipsburg, Bethlehem, Philadelphia, New York, and Boston. Have a guy with a sense of humor (but not humility?). 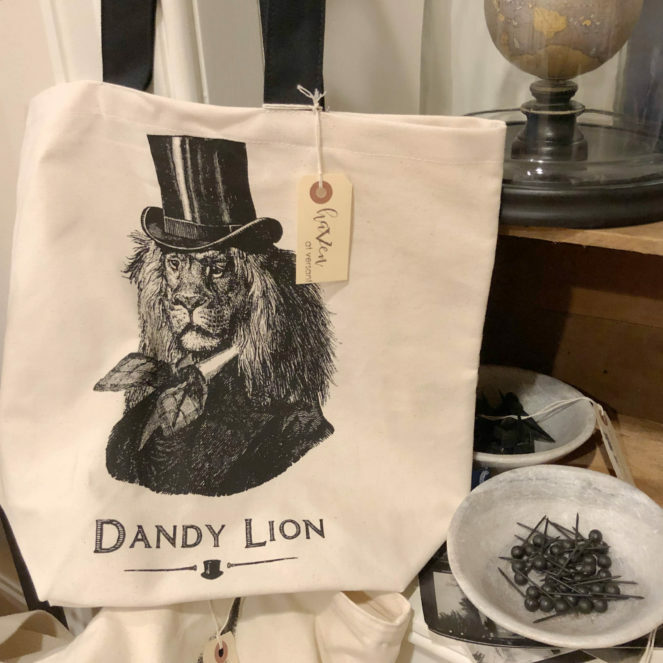 Check out our witty “Dandy Lion” British screen printed tote from Chase and Wonder. And accessorizing is not only for the girls! 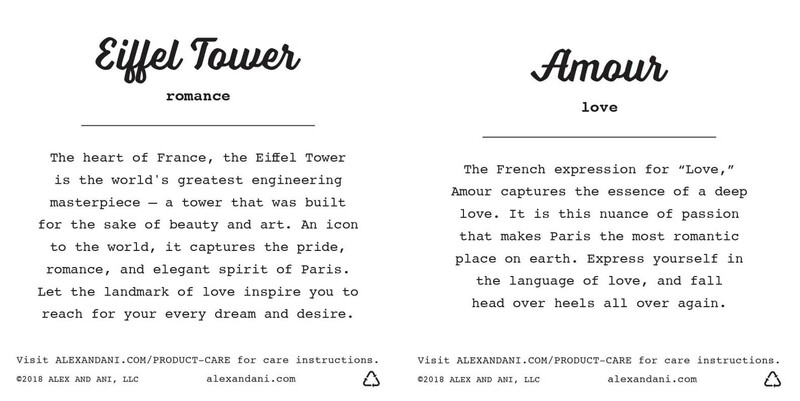 Our new line from Waxing Poetic, Poet, is designed with your man in mind. 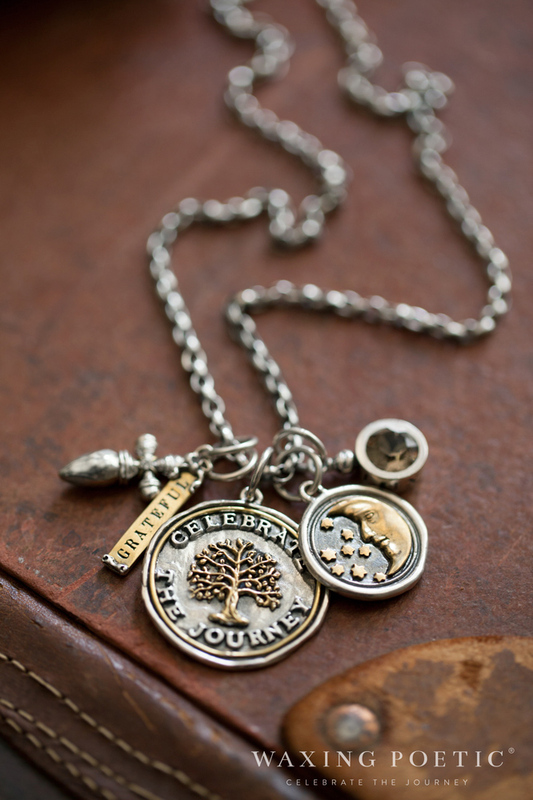 These leather and sterling bracelets and tag-style necklaces are adorned with strong symbols. 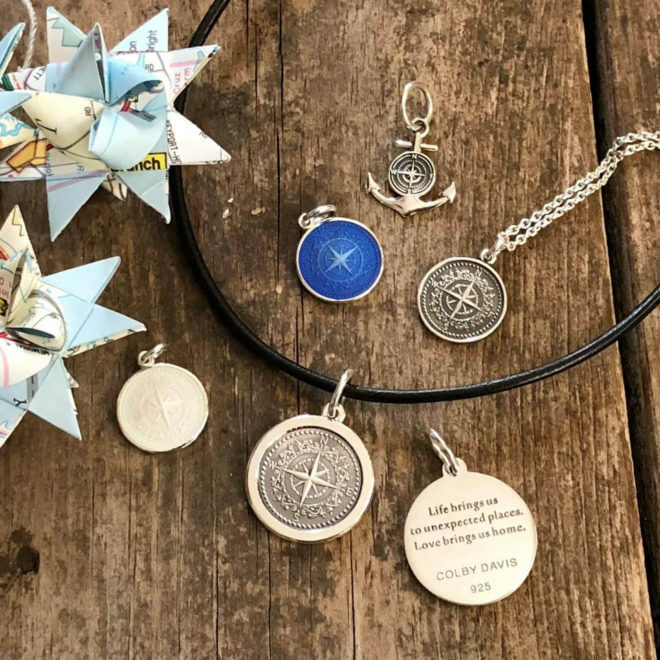 We particularly love the North Star and Dove necklaces; the Anguis snake tag necklace reminds us of the Caduceus and would be a great gift for a doctor. 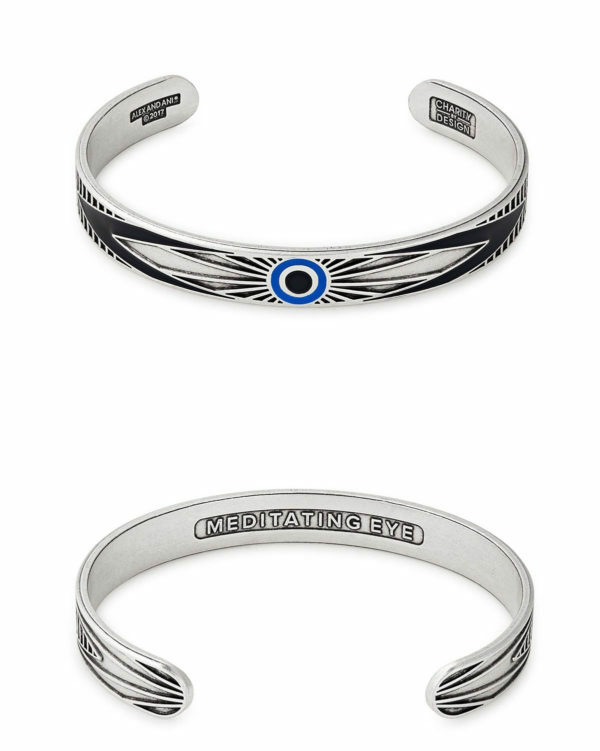 Alex and Ani has also just released their first men’s cuff, the Meditating Eye. 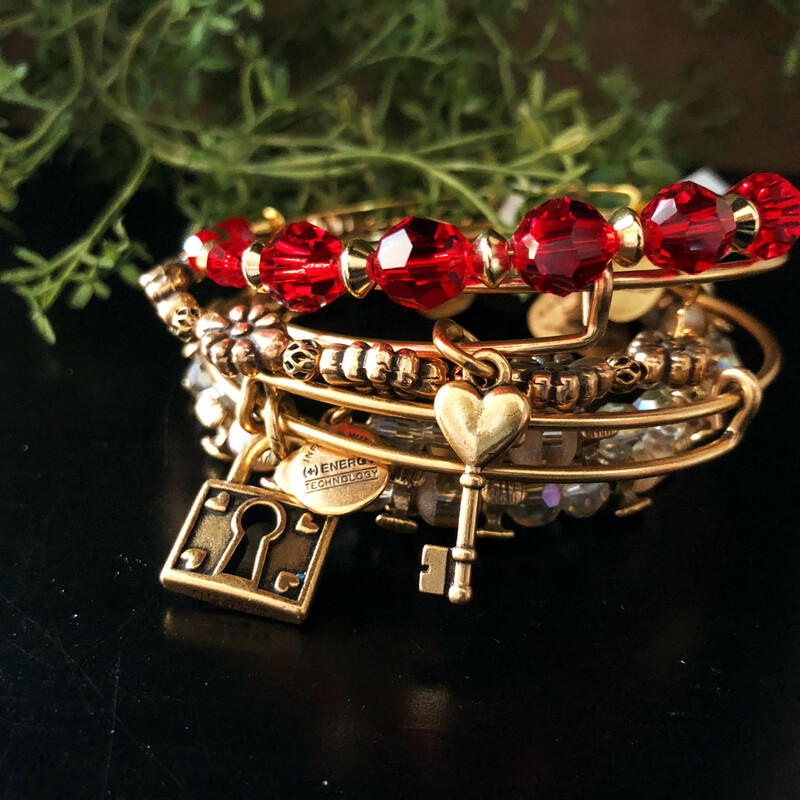 A Charity By Design piece benefiting the David Lynch foundation, this adjustable cuff brings protection and awareness. 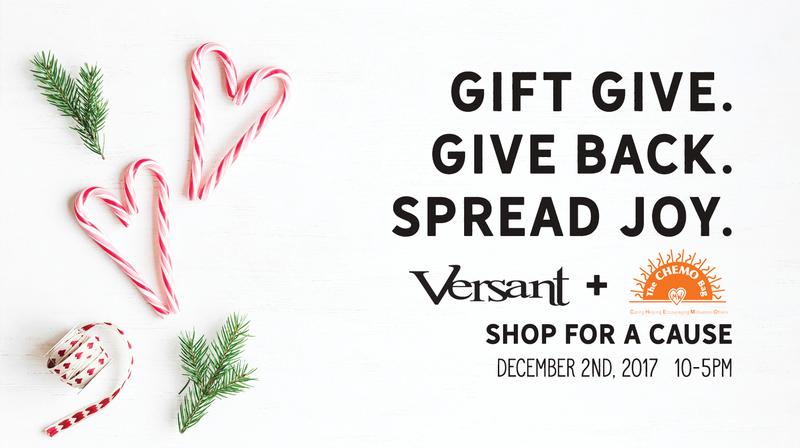 Versant is operating with extended holiday hours from December 6th through December 25th. 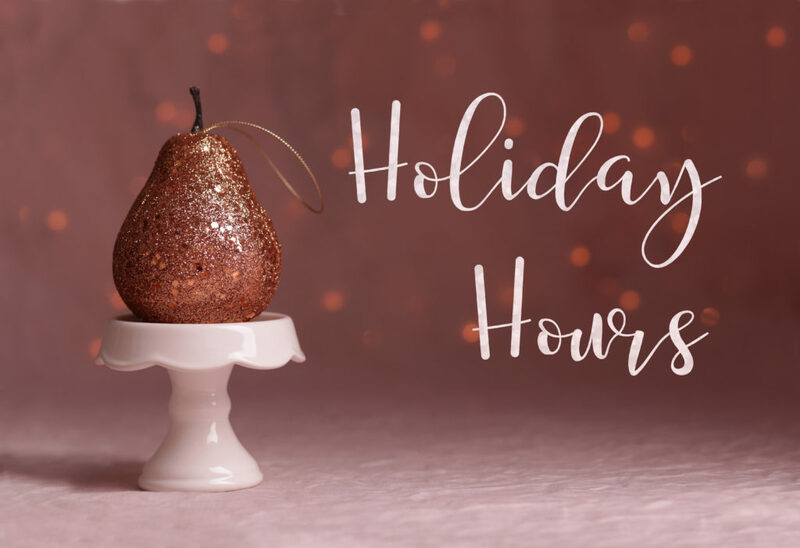 Check the schedule below for store hours in this time period or give us a call at 610-691-2270 for more information. There is a new designer in town and they have really brought the sparkle! 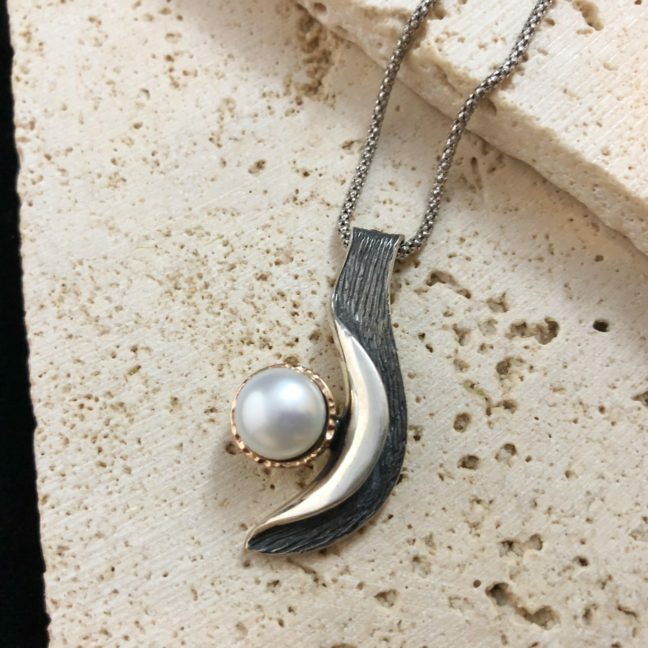 Our featured designer this month is a new arrival at Versant, Sorrelli Jewelry. 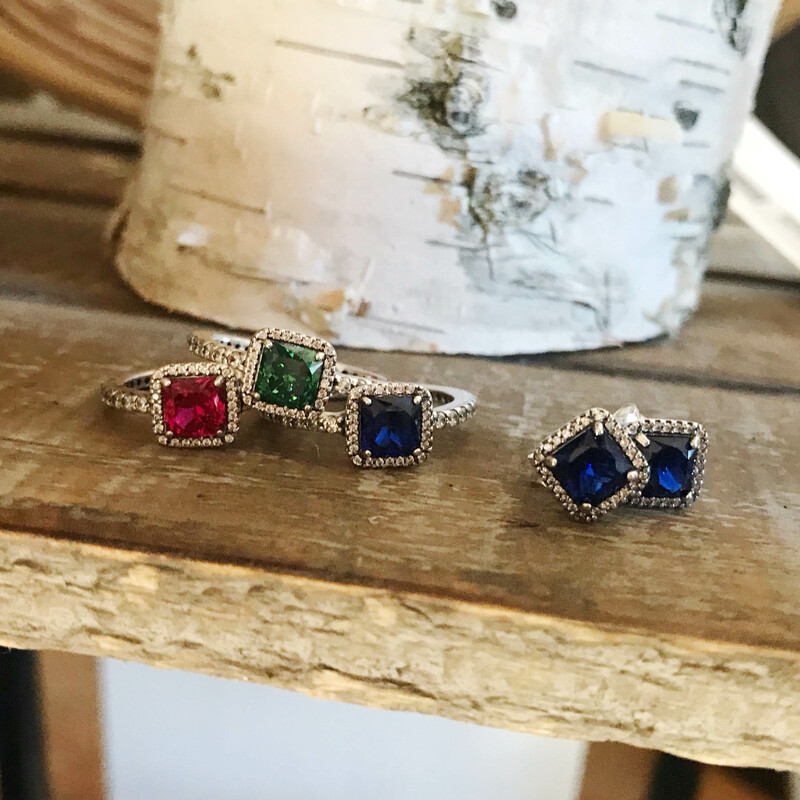 Locally designed in Kutztown, PA, Sorrelli is known for their gorgeous pieces adorned with semi-precious gemstones and Swarovski crystals. Sorrelli graces the jewelry boxes of celebrities, career women, and jewelry lovers of every background. The Sorrelli devotee ranges in age from her teens to her 90s (and certainly beyond). Any woman who loves a generous helping of glamour and glitter in her life is naturally drawn to the beautiful handcrafted pieces in Sorrelli’s many collections. 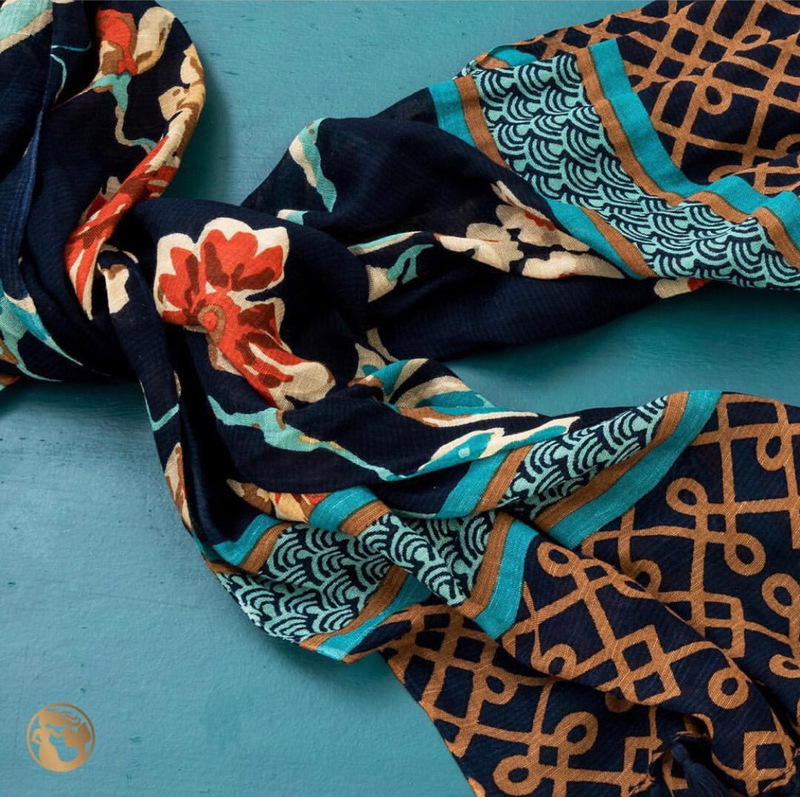 Within the main collection, Lisa Oswald has her own signature collection that features a more casual, bohemian aesthetic. 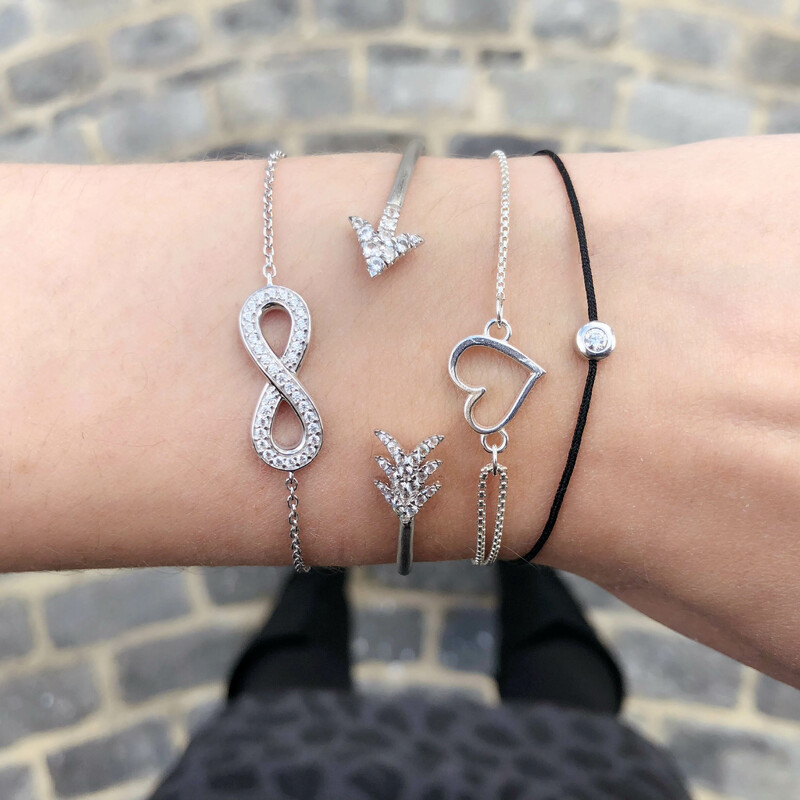 These pieces are great to add a touch of sparkle to your everyday look. 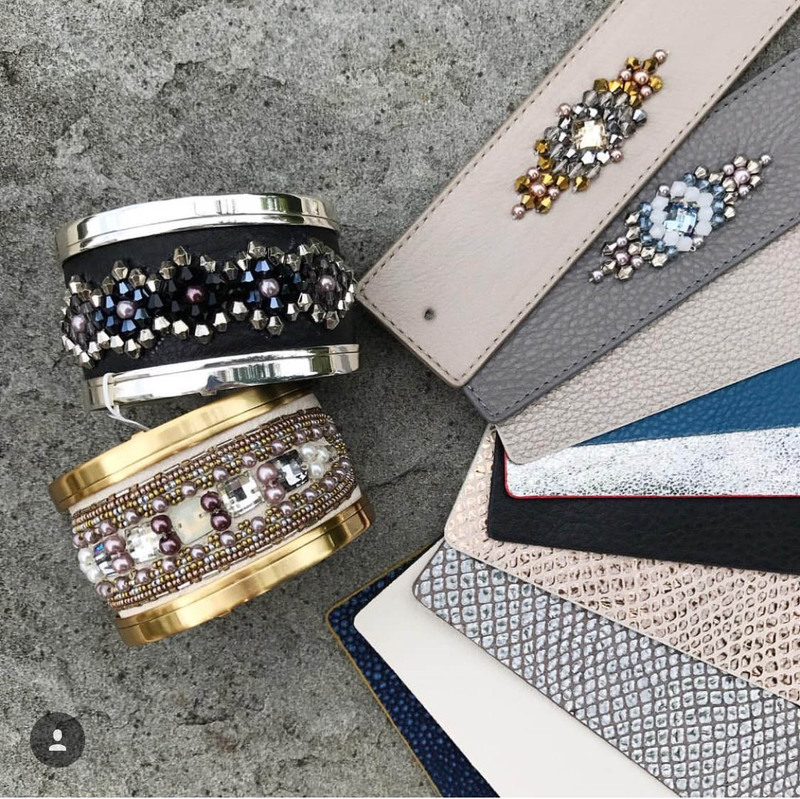 Beyond their core collection, Sorrelli designs limited collections featuring unique color combinations to create the perfect palette for every season. 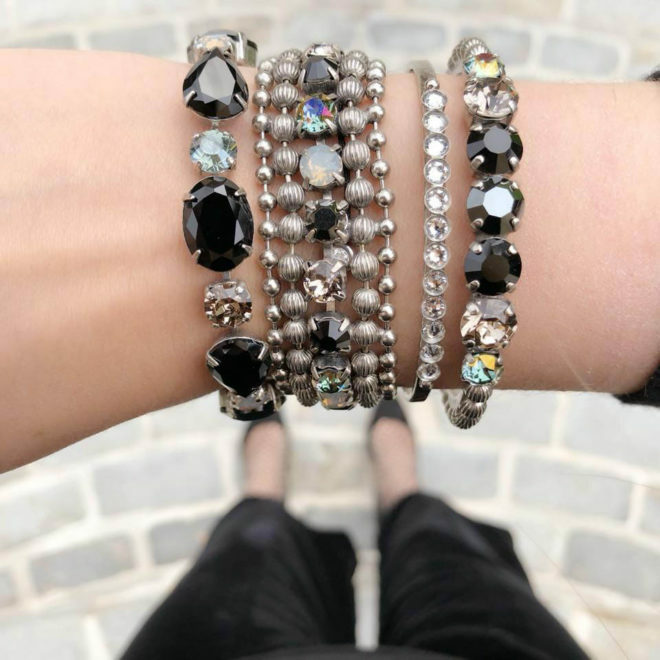 We love this year’s holiday Black Onyx collection! 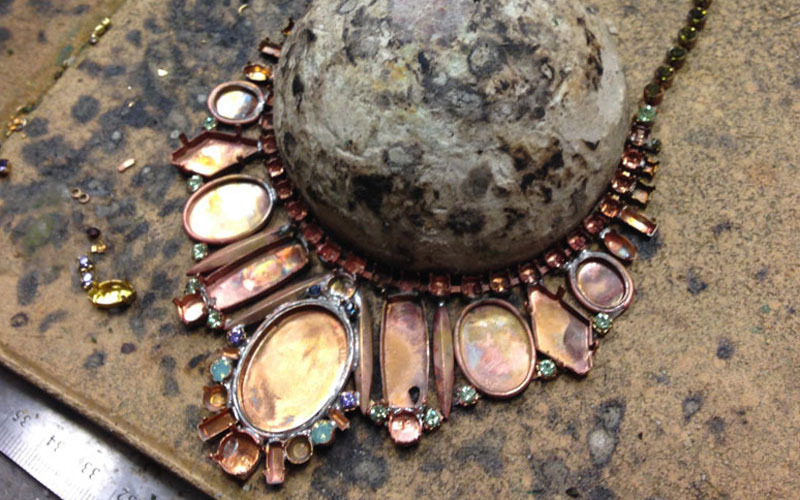 We strive to seek out unique pieces with a local footprint, and Sorrelli is a wonderful addition to our jewelry family. Stop by to see all of the new pieces in person! 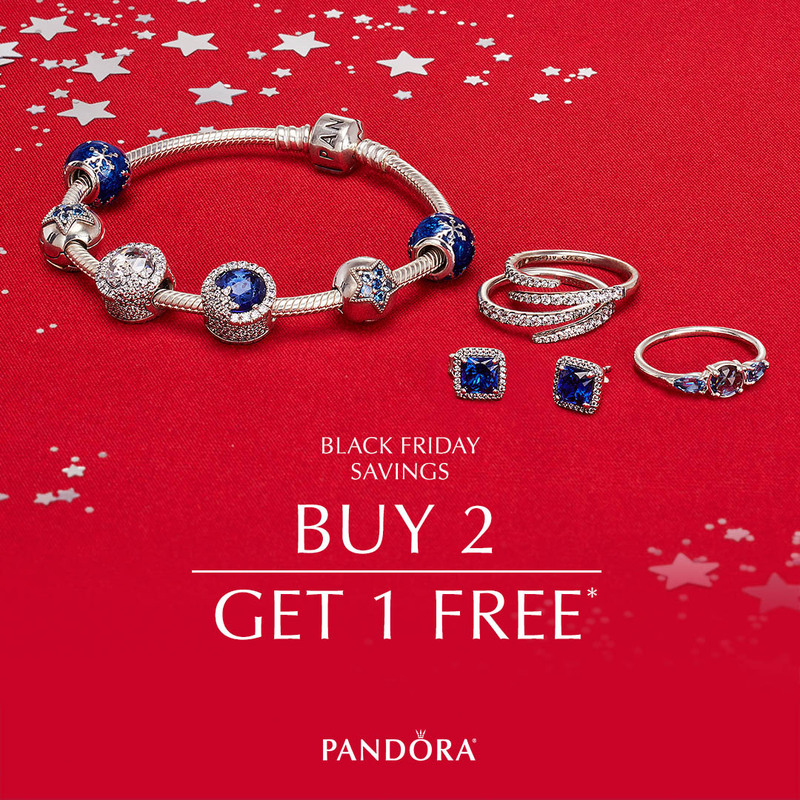 Wrap up your holiday shopping early with Pandora’s newly released gift sets! 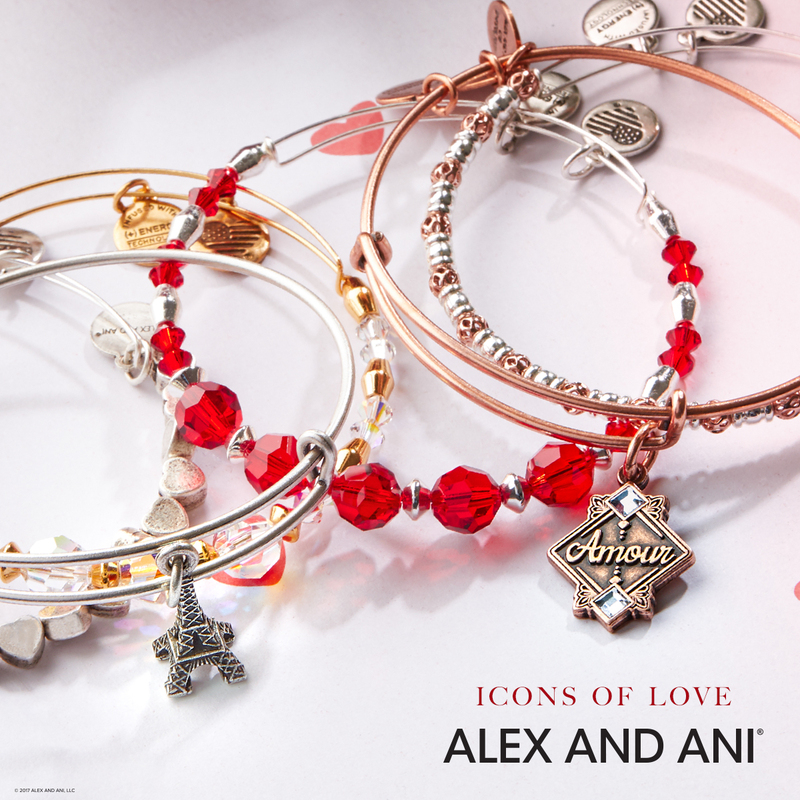 This year’s gift sets feature beautiful additions in the bracelet, charm, and jewelry categories. All sets come packaged in special limited edition boxes that are gifts on their own. Check out the many options in our review of all available gift sets below! 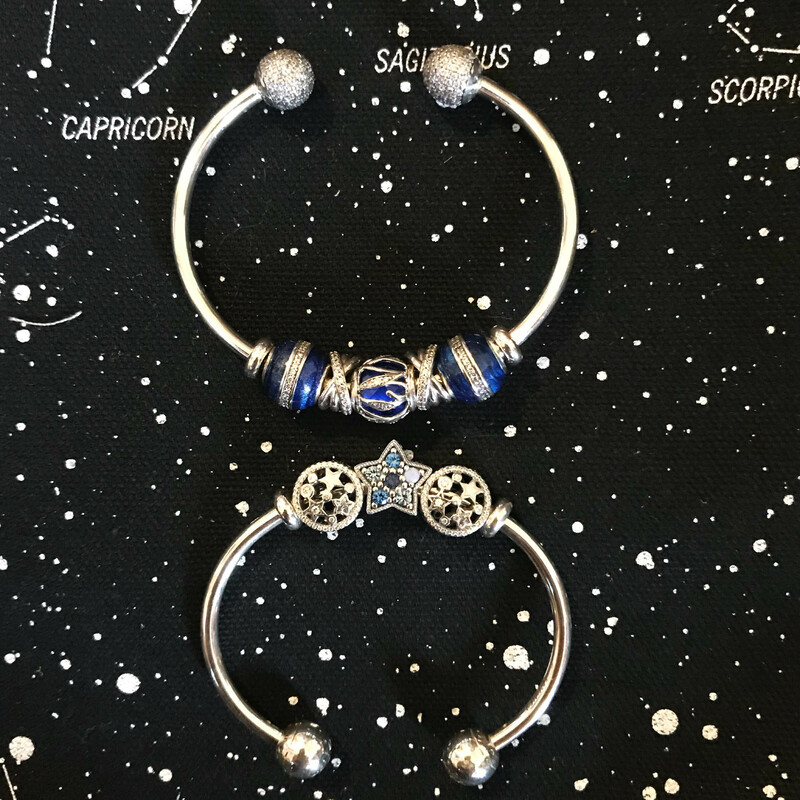 Bracelet gift sets are a great go-to present for the bracelet collector or someone starting out on their first Pandora bracelet. 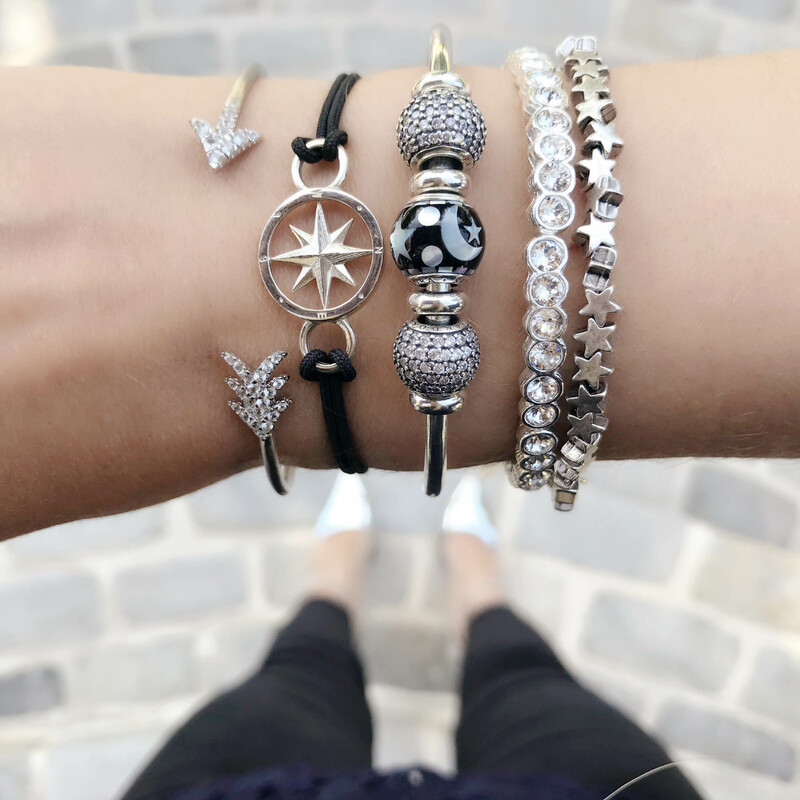 Each set contains all of the essentials needed to begin a bracelet- the bracelet itself, a centerpiece charm, and your clips. All of the charm bracelet gift sets are packaged in a festive dark green leather jewelry box with black velvet interior. 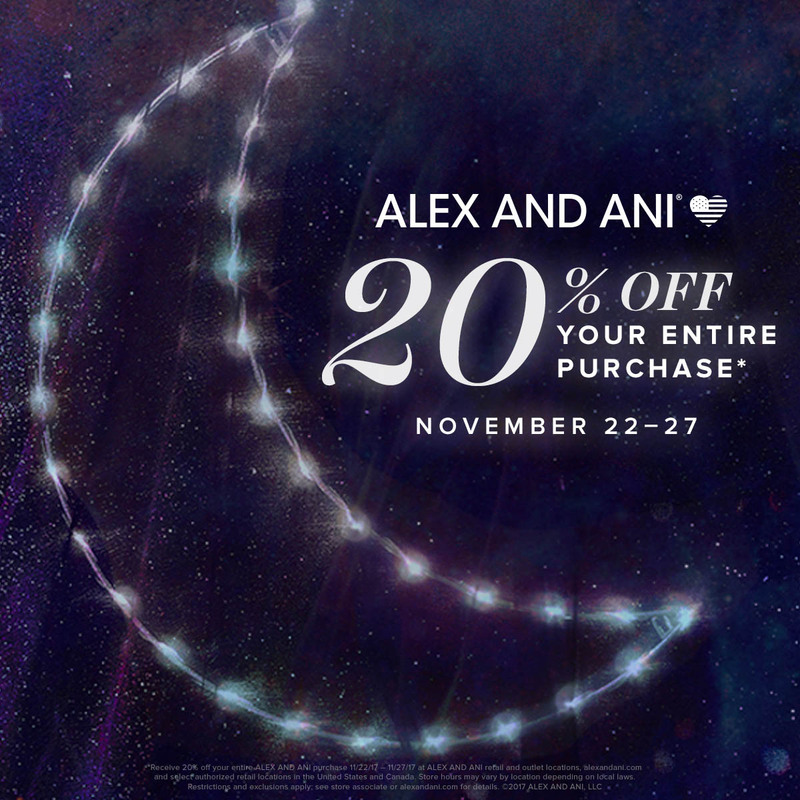 This beautiful presentation is sure to stun on Christmas morning! 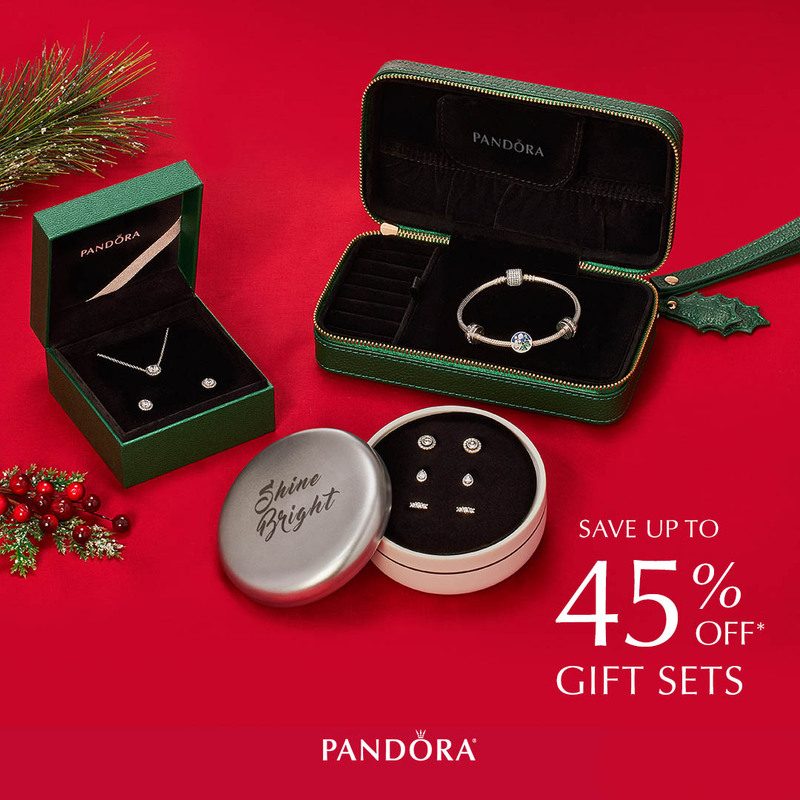 The Dazzling Snowflake gift set includes a signature Pandora bracelet with pavé crystal clasp, two Shining Path clips, and the new Dazzling Snowflake charm in midnight blue. 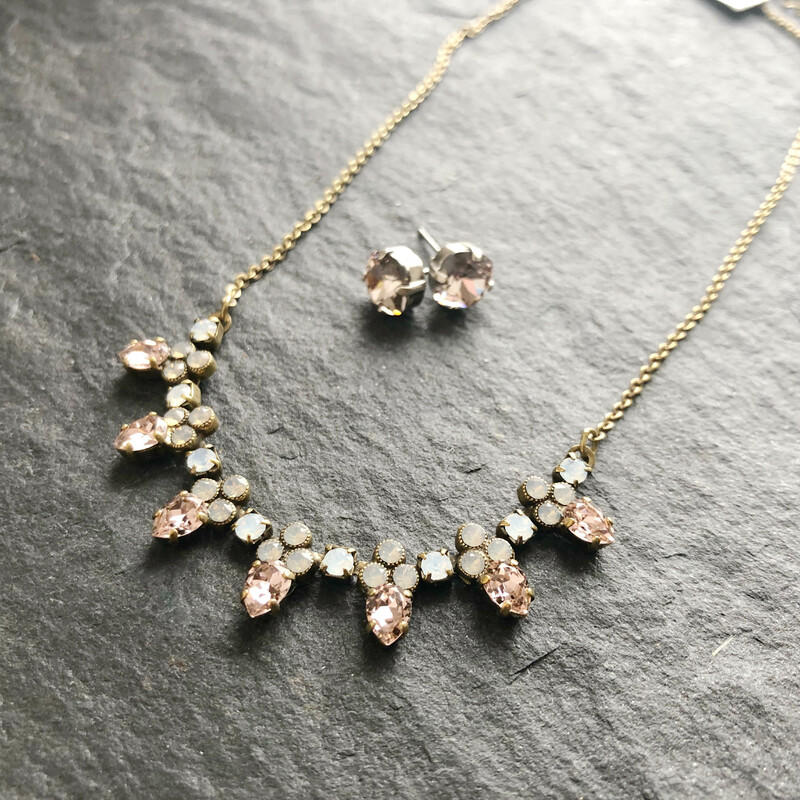 This set packs some serious sparkle, and is great for the glam girl in your life. Individually priced, these pieces would retail for $280, but the set is priced at $199 for a savings of $81. The Snowy Wonderland set is very similar to the Dazzling Snowflake set in that it also includes a signature Pandora bracelet with pavé crystal clasp and two Shining Path clips. 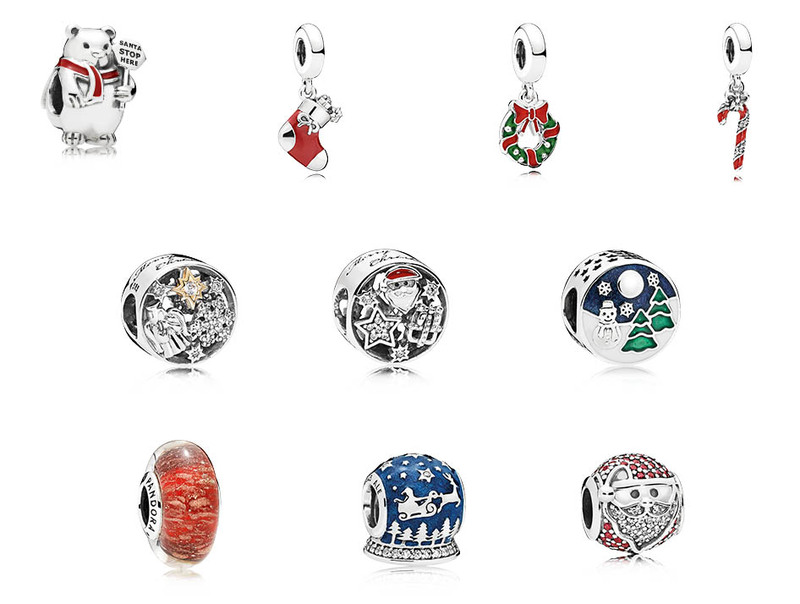 However, instead of the Dazzling Snowflake charm it features the Snowy Wonderland charm. This winter scene with green enamel trees, blue sky, and an adorable snowman make this a great set for the sentimental girl who loves to celebrate the spirit of the season. Individually priced, these pieces would retail for $245, but the set is priced at $179 for a savings of $66. 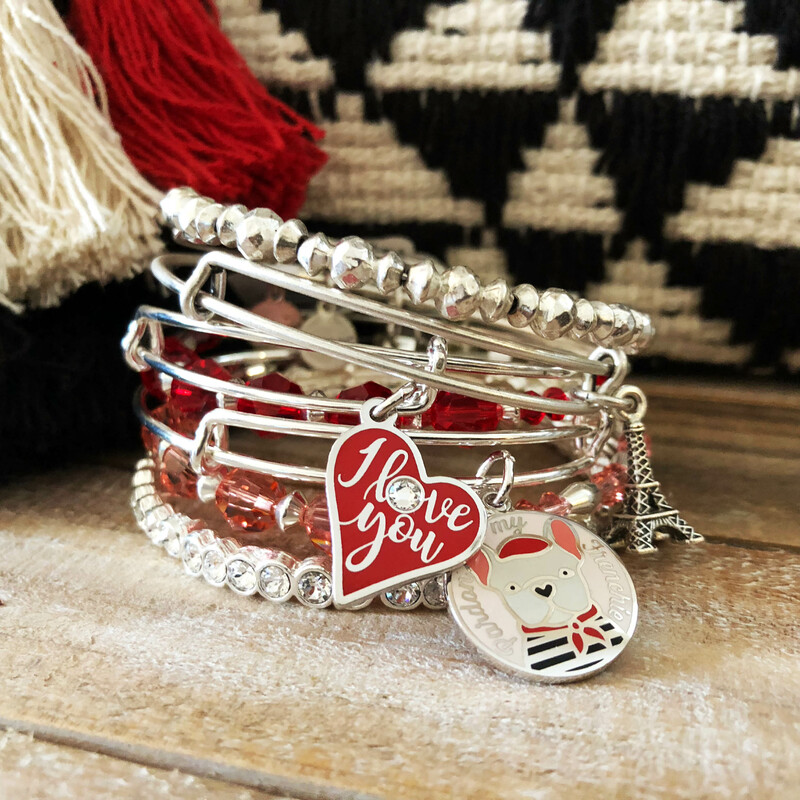 The Love You Forever personalized set is a romantic gift celebrating the love between two people. 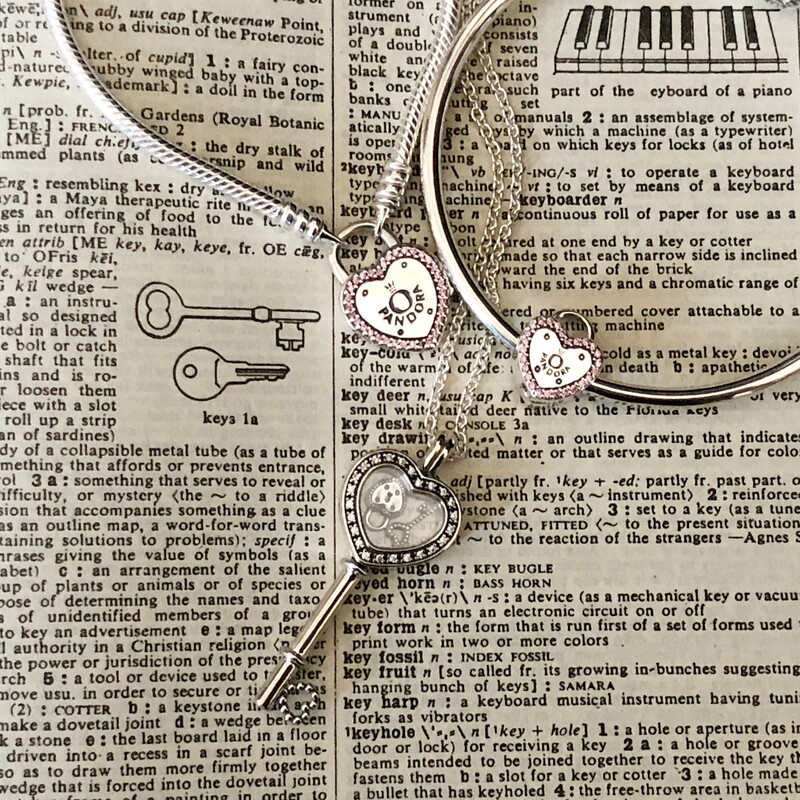 The set includes a Limited Edition engraved bangle (available only as part of the set), two clear Shining Elegance Clips, the You & Me Forever two-tone dangle charm, your choice of two vintage alphabet charms, and a pair of dazzling droplets stud earrings. 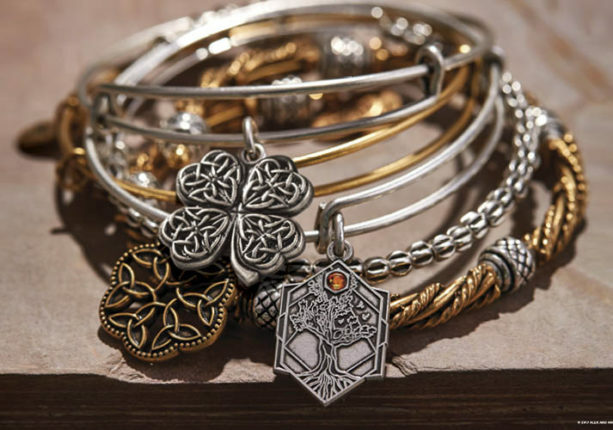 The bangle with three charms and two clips is a beautiful piece that can be considered a finished bracelet! Individually priced, these pieces would retail for $415, but the set is priced at $299 for a savings of $116. 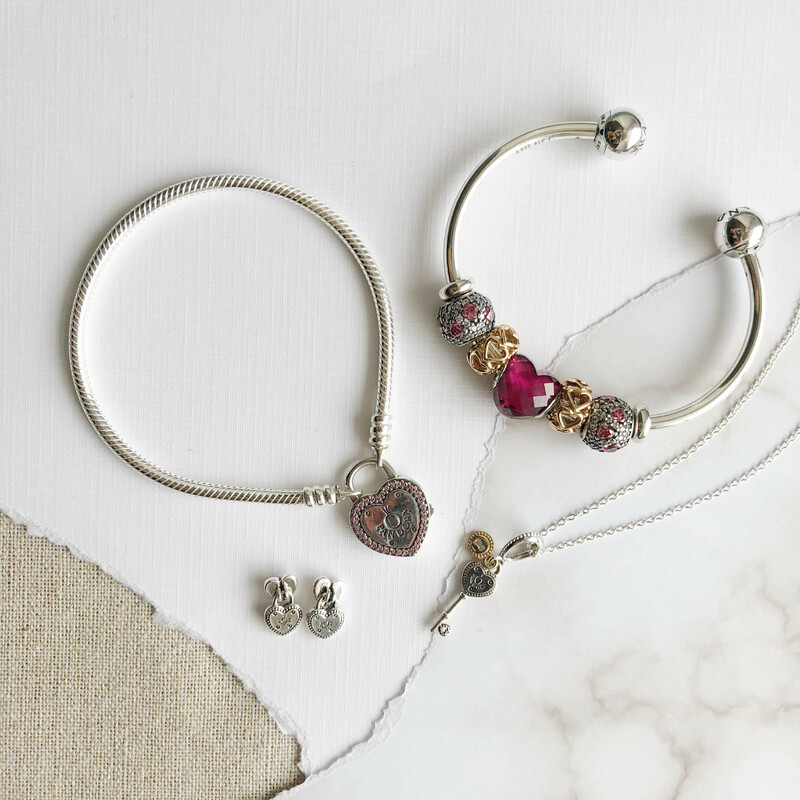 For the Pandora Rose lover, the Pandora Rose Jewelry gift set has all of the essentials to start a Rose jewelry collection. 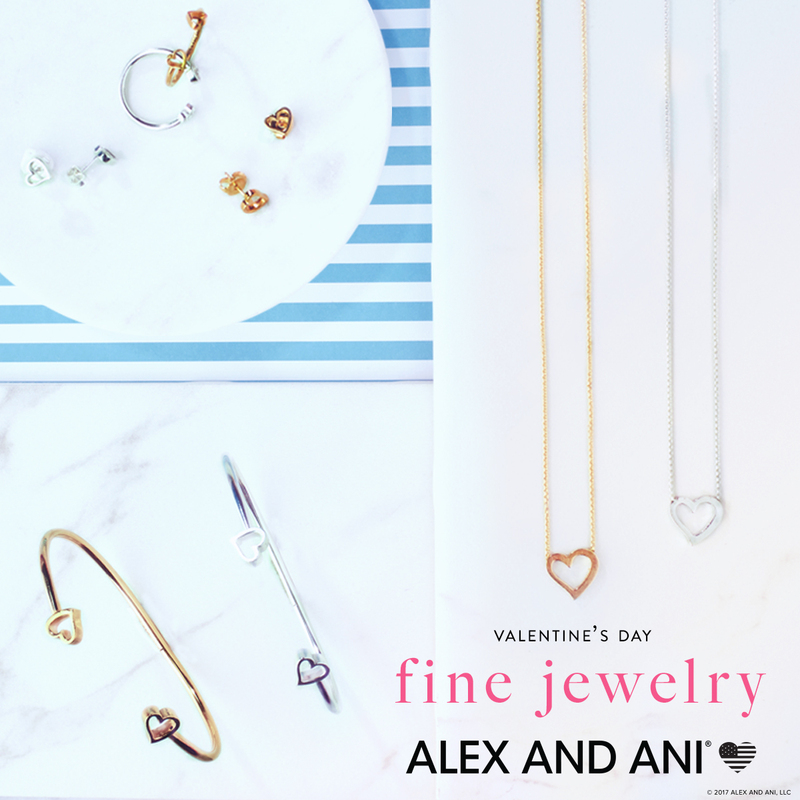 Included in the set are the Pandora Rose clasp bangle with the Rose Radiant Hearts charm, a Pandora Rose chain with Rose Classic Elegance pendant, and the new Rose Classic Elegance earrings. Individually priced, these pieces would retail for $475, but the set is priced at $379 for a savings of $96. 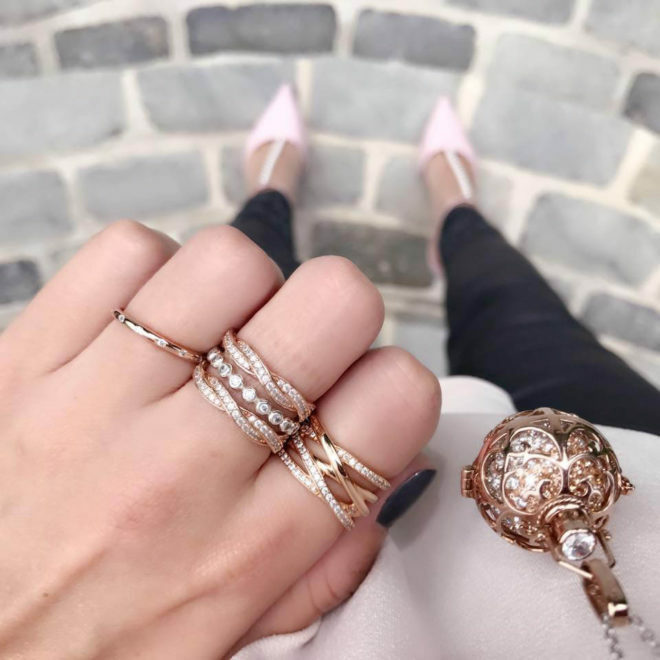 Add a Pandora Rose ring and your rose gold lover will have a piece of rose jewelry from every category! 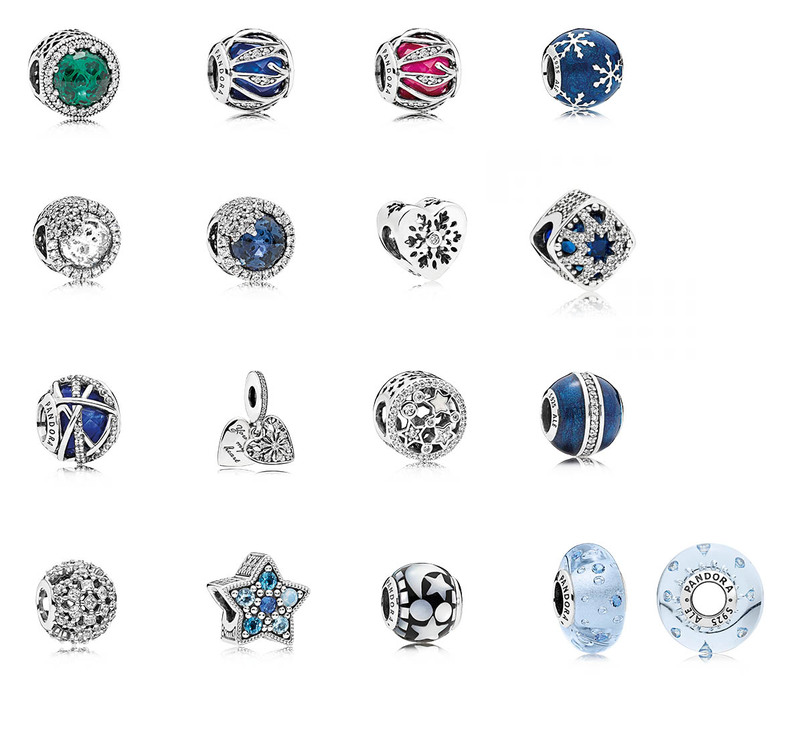 Not everyone is looking to start a new Pandora bracelet. 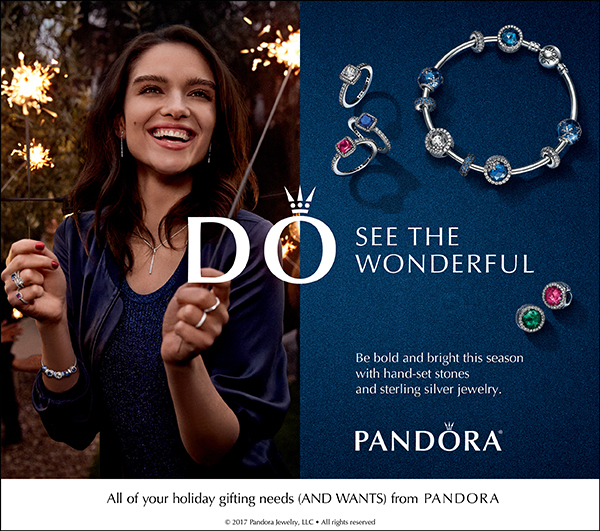 Luckily, this year Pandora has introduced a series of gorgeous jewelry gift sets to add some sparkle to the holidays! 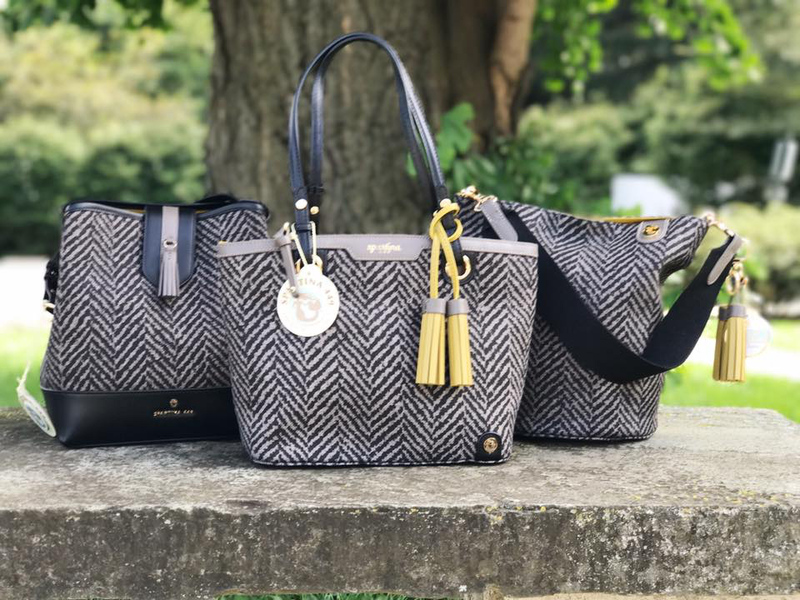 The Classic Elegance gift set is great for the classic girl who is looking for some everyday pieces that will never go out of style. 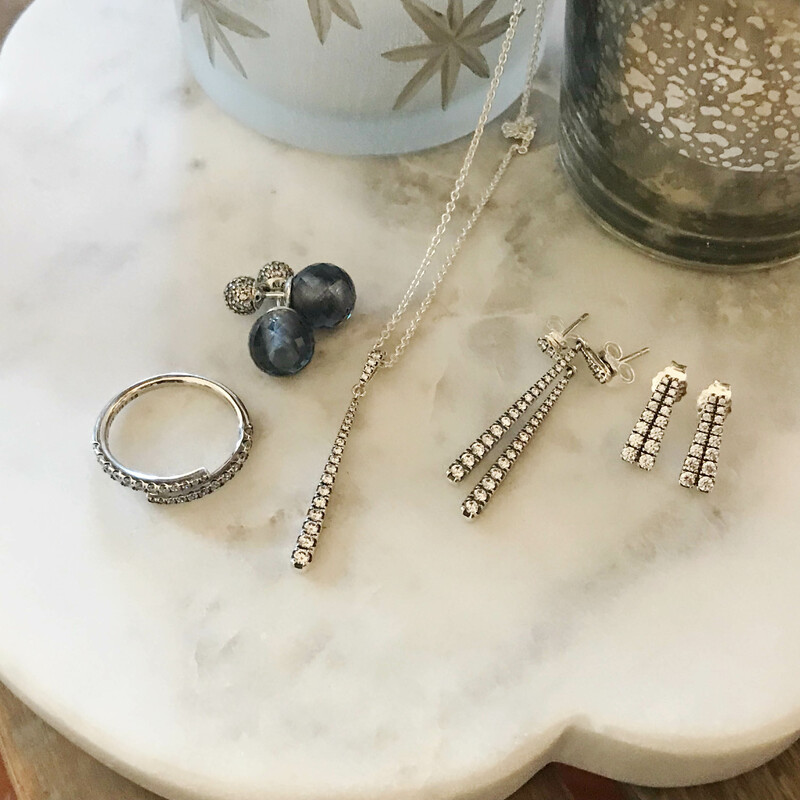 This set includes the sterling silver Classic Elegance earrings and necklace, pieces with a simple elegance that can be dressed up or down for any occasion. This set is packaged in a seasonal dark green box. Individually priced, these pieces would retail for $170, but the set is priced at $149 for a savings of $21. 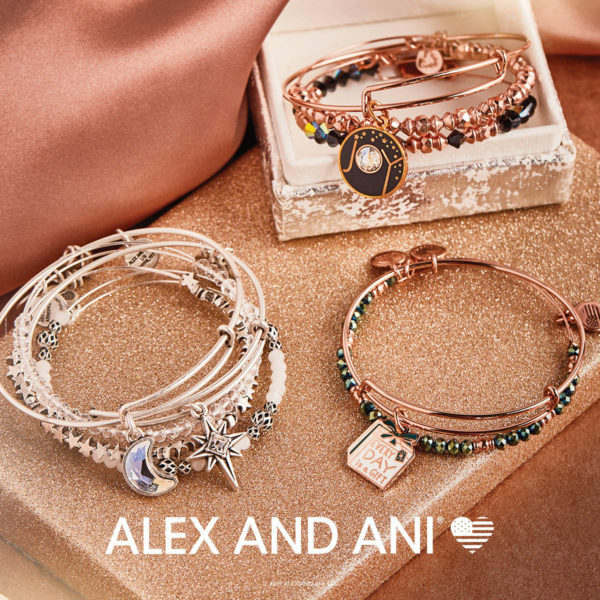 The Sparkling Elegance gift set includes the popular Sparkling Strand adjustable bracelet, the Sparkling Elegance earrings, and Infinite Love earrings. This is another great choice for the classic girl who is looking for some understated sparkle this holiday season. This set is packaged in a ceramic keepsake box emblazoned with the motto “Shine Bright.” Individually priced, these pieces would retail for $130, but the set is priced at $99 for a savings of $31. For the earring lover who likes a little extra shine, the Sparkle & Shine earring gift set is a wonderful choice. It includes the Brilliant Legacy, Radiant Teardrops, and Sparkling Elegance earrings- a perfectly matched trio. This set is also presented in the Shine Bright ceramic keepsake box. Individually priced, these pieces would retail for $180, but the set is priced at $124 for a savings of $56. 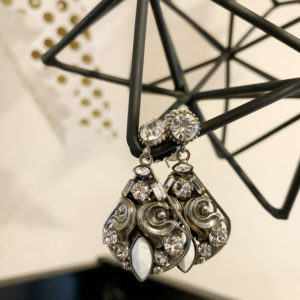 For the earring lover who loves to celebrate the winter season, the Let It Snow earring set reflects her love of ice crystals and sparkling snowflakes. 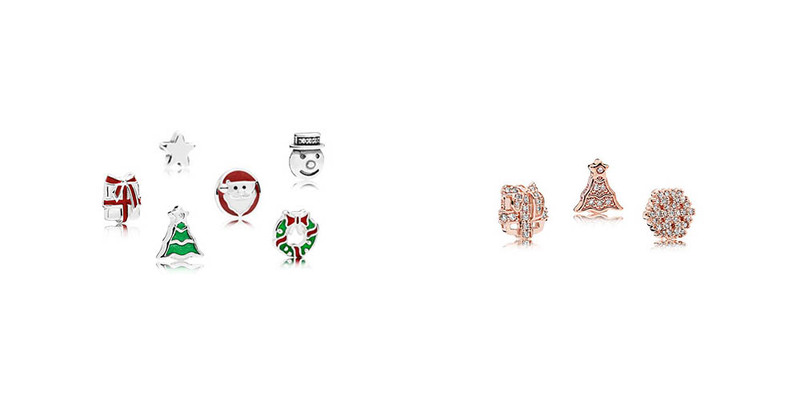 This set includes the Crystalized Snowflake and Forever PANDORA studs along with the Eternal Elegance drop earrings. It is also presented in the Shine Bright ceramic keepsake box. Individually priced, these pieces would retail for $210, but the set is priced at $149 for a savings of $61. 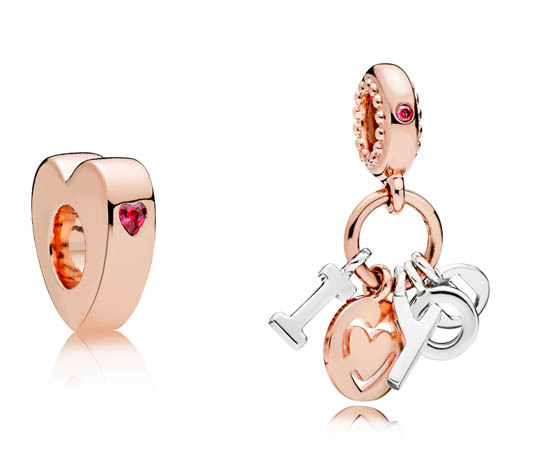 For the earring lover who enjoys the romantic glow of rose gold, the Pandora Gold Earring set is is a good choice. 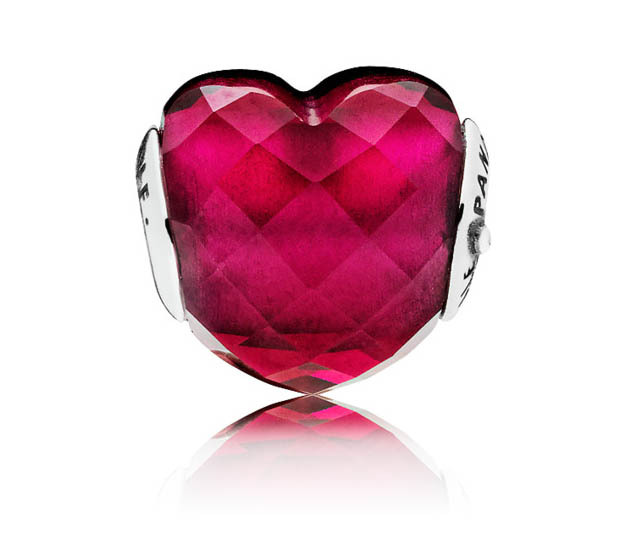 This set includes the Dazzling Droplet, Classic Elegance, and Captured Heart earrings in the Pandora Rose finish. 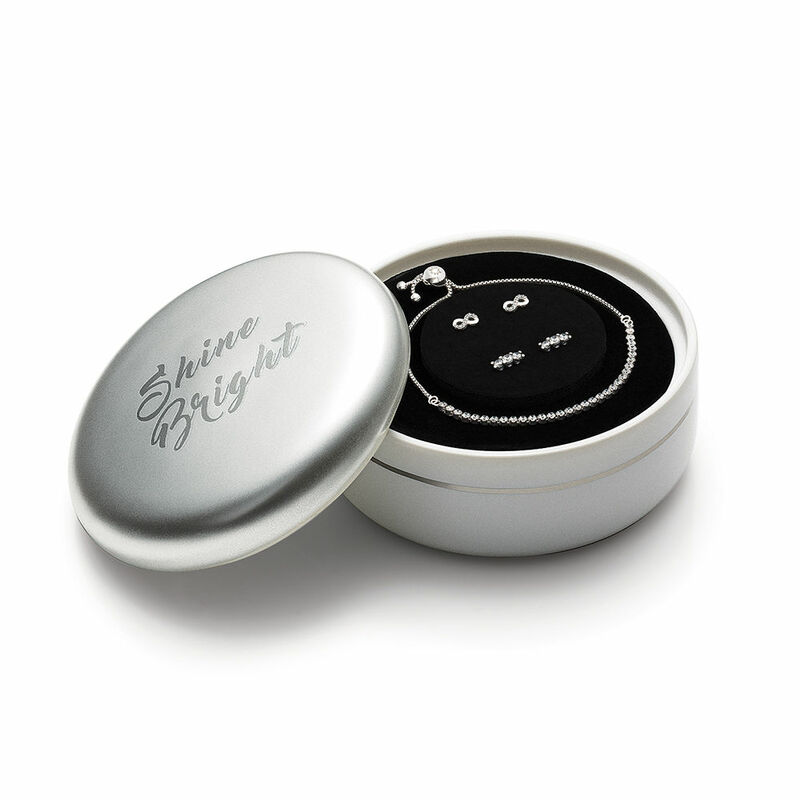 It is also presented in the Shine Bright ceramic keepsake box. Individually priced, these pieces would retail for $230, but the set is priced at $179 for a savings of $51. 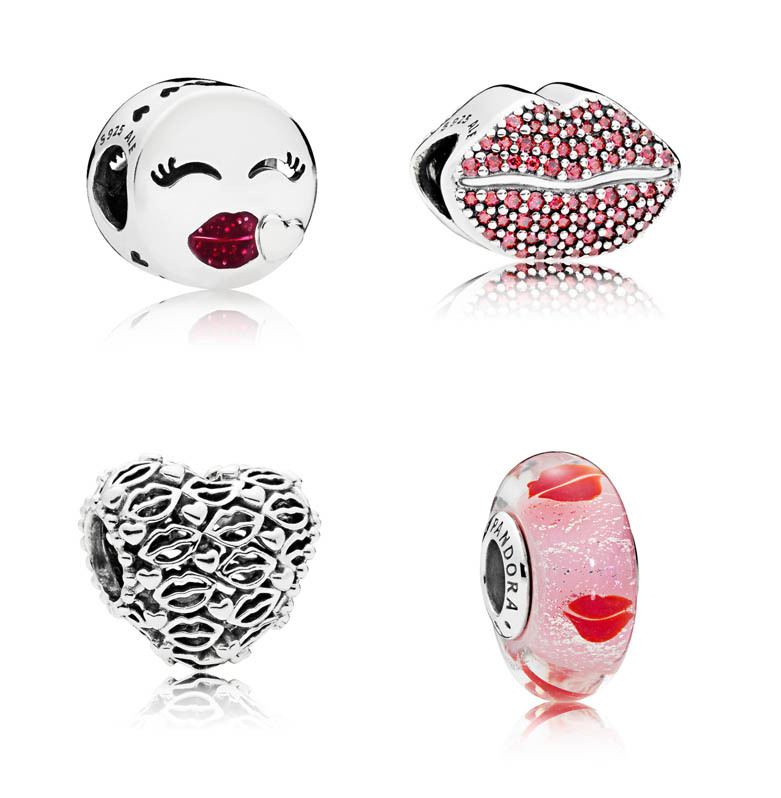 Look out collectors, this Holiday season, Pandora has introduced three Limited Edition charms! The first of these charms is the Engraved Stocking charm. Engraved with the year across the top of the stocking, this charm is a special edition of the red enamel stocking charm that will remain a part of the permanent Pandora collection. Presented in a special dark green box, this is a great charm for the Christmas collector who prefers bright silver to sparkle. This charm retails for $65. The next Limited Edition charm is a real treat! This year, Pandora has sponsored the Radio City Music Hall Rockettes in their Christmas Spectacular. 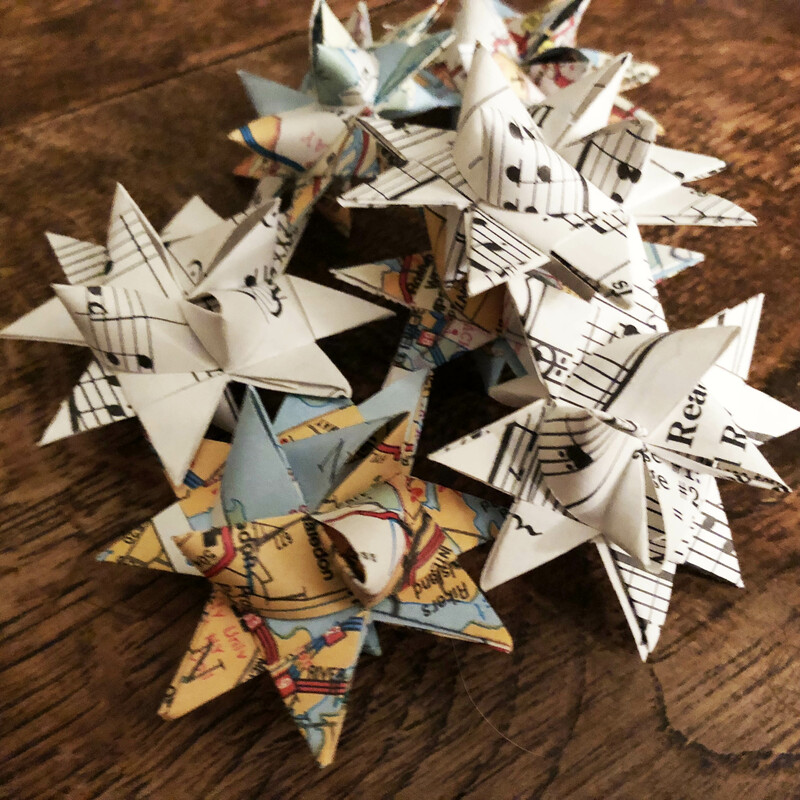 To celebrate, the Bright Ornament charm has been released. 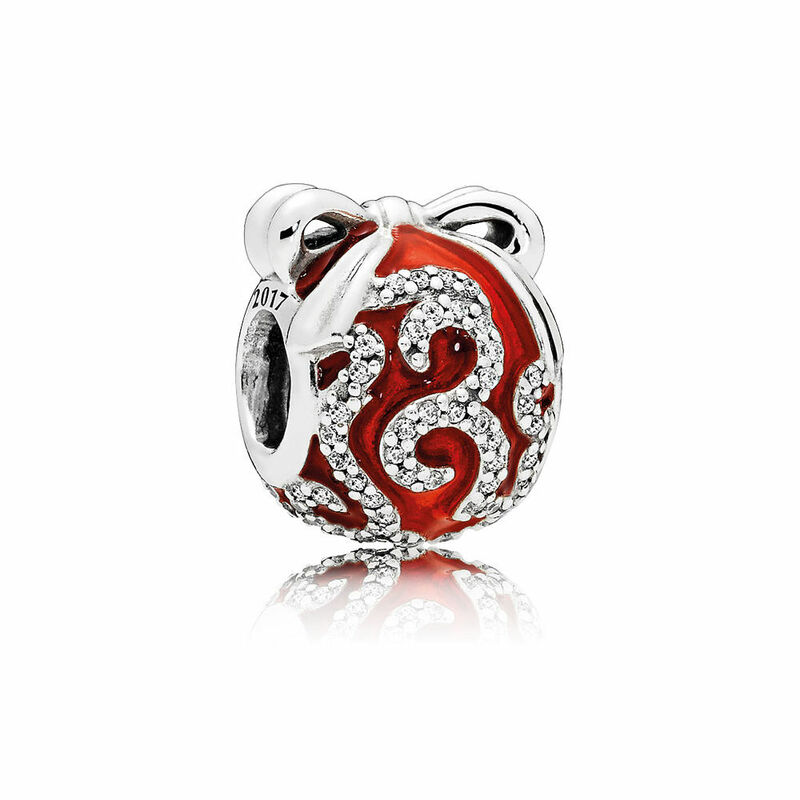 This charm has the year engraved on the side and has a bright red enamel with sparkling stones. The charm is packaged in a beautiful keepsake ornament with similar bright enamel. 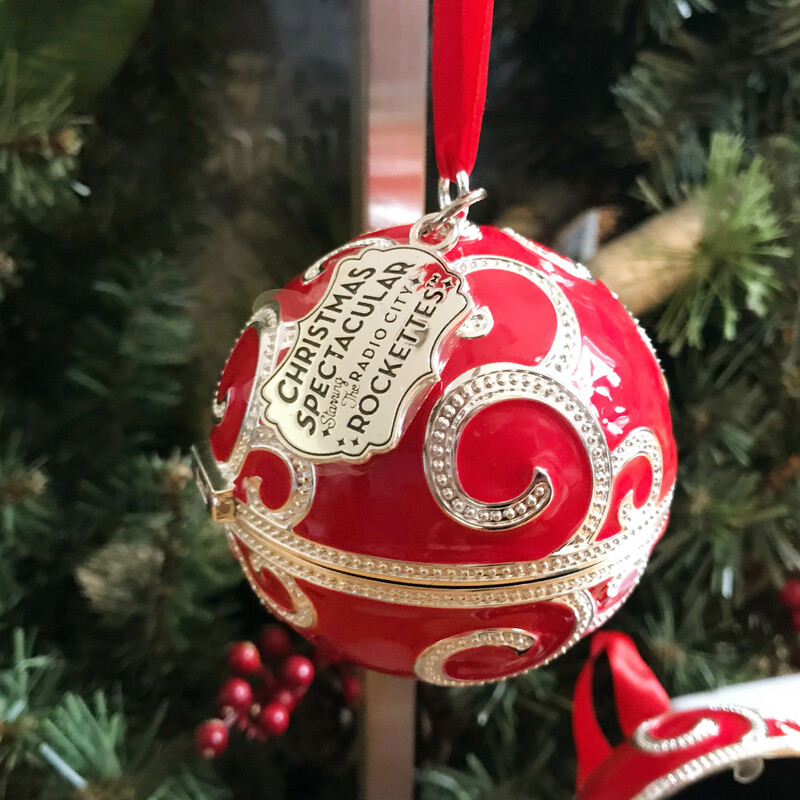 The ornament has a strong magnetic closure and opens to reveal a black velvet interior with a spot to hide the charm! The charm with ornament retails for $85. Finally, this year’s Limited Edition Disney holiday charm is the Mickey & Minnie Love Icons charm. 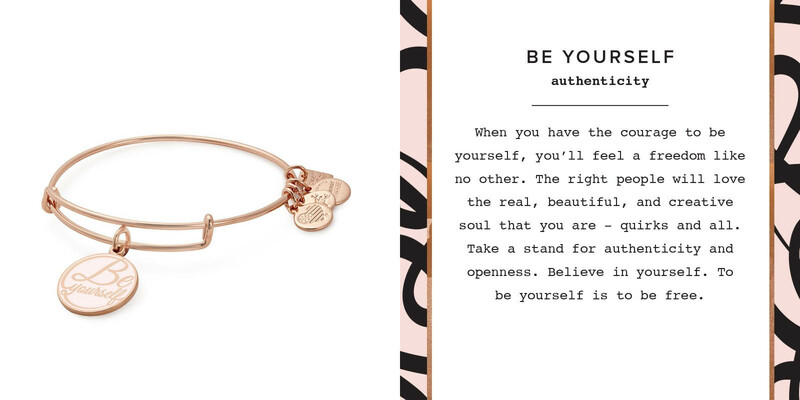 One side of the charm features a 14k gold Mickey silhouette and the other features a 14k gold Minnie silhouette. 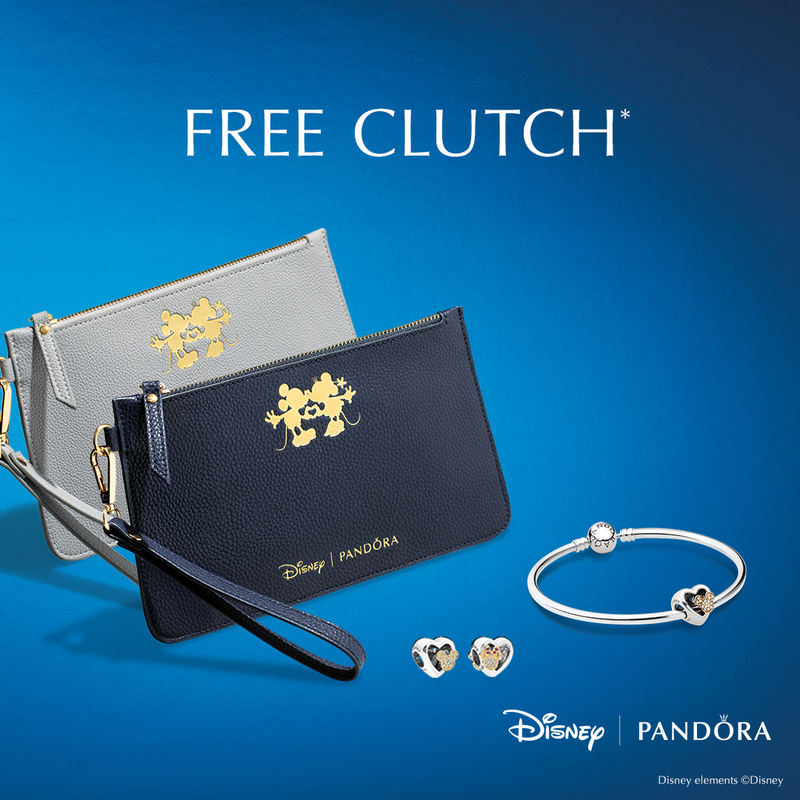 Included with the charm is a free Limited Edition clutch in grey or navy! This charm retails for $125.